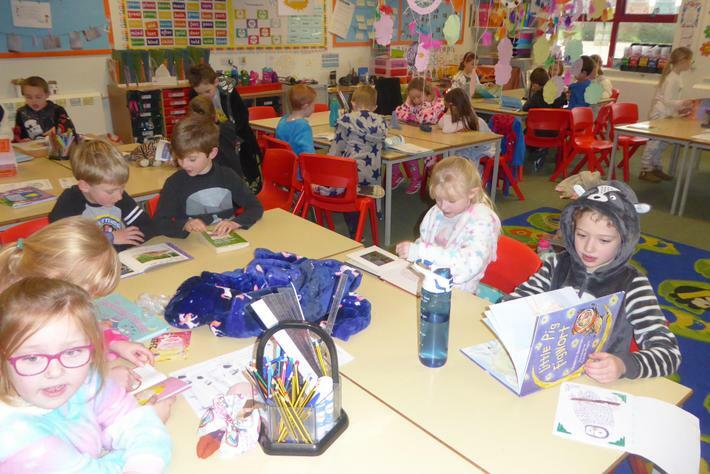 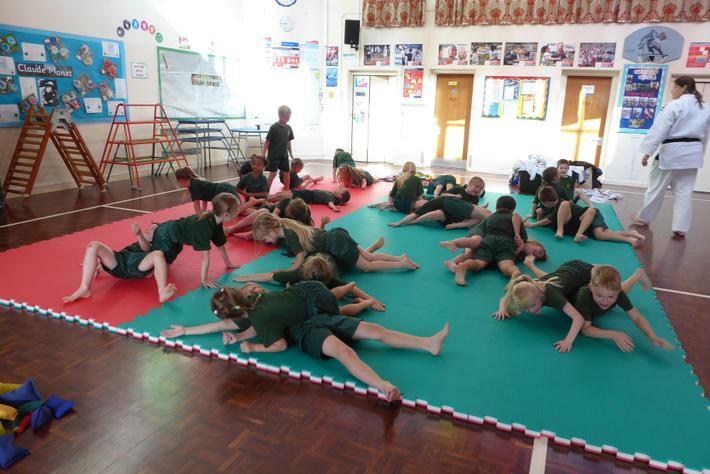 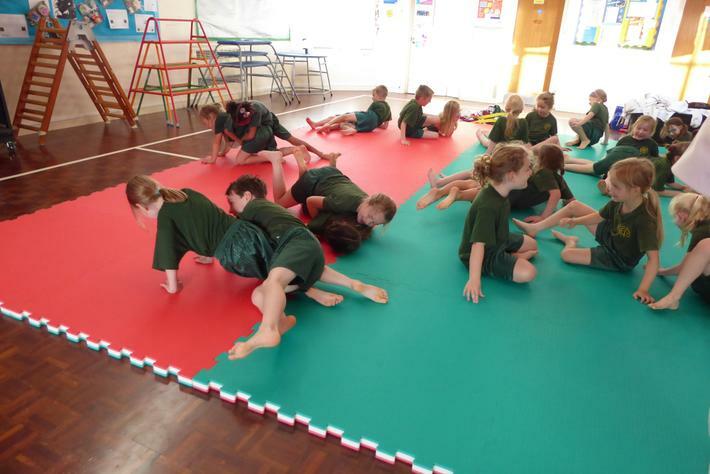 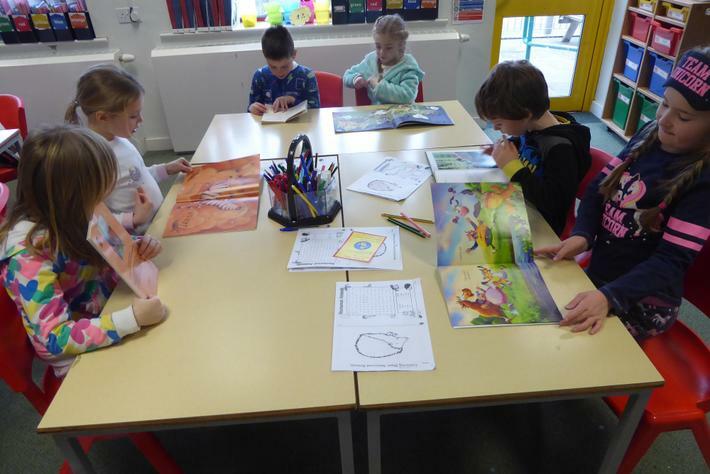 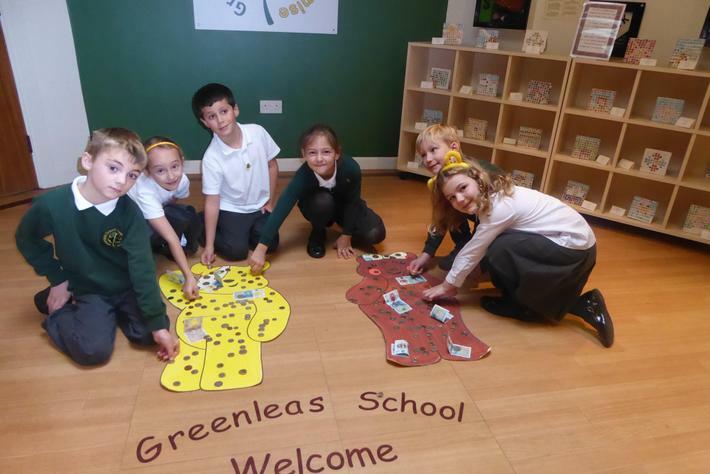 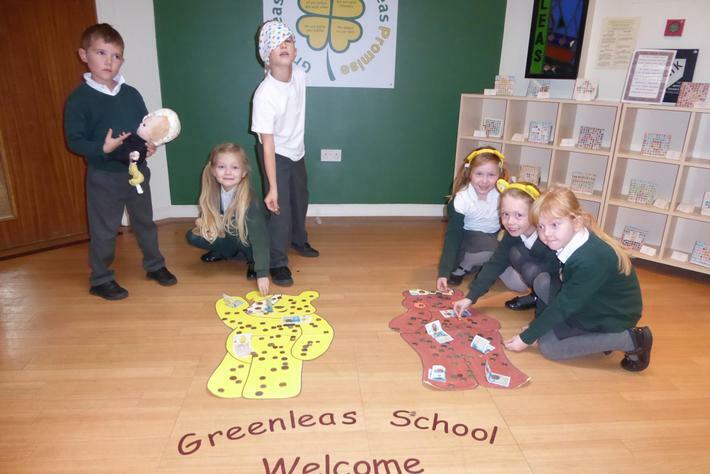 Welcome to Swallow Class at Greenleas Derwent Road. 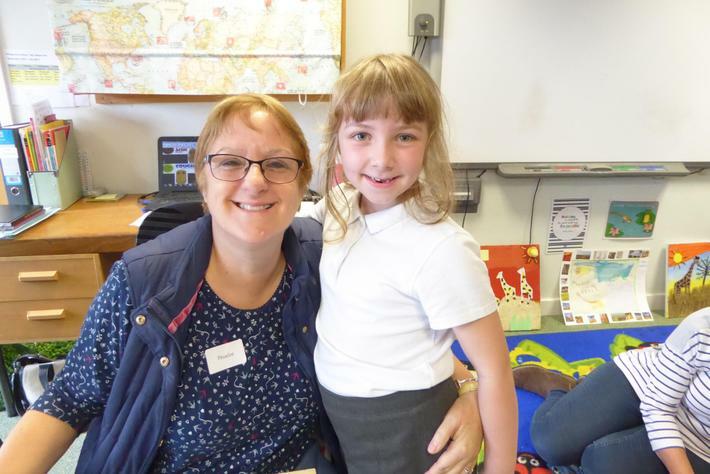 Both myself, Miss Roche-Jones (Class Teacher), and Mrs Chapman (Class Teaching Assistant) are pleased to welcome you to our class page. 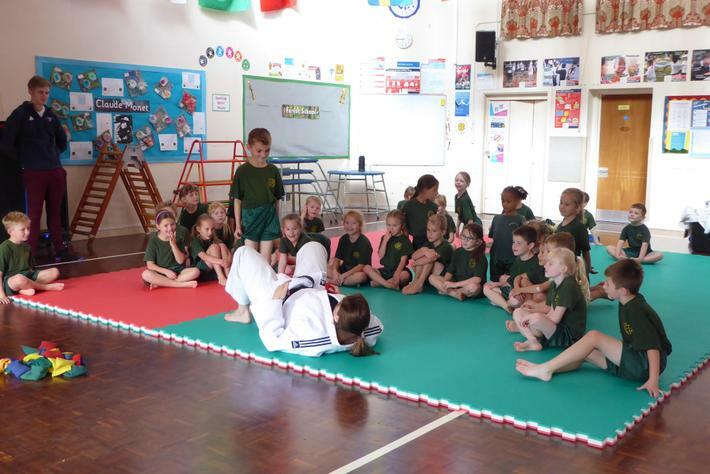 Please come and talk to us to discuss your children's celebrations and achievements. 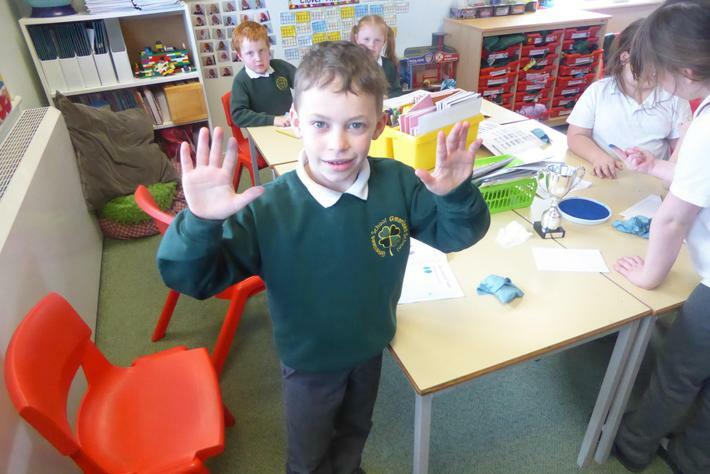 We are happy to answer any questions that you may have. 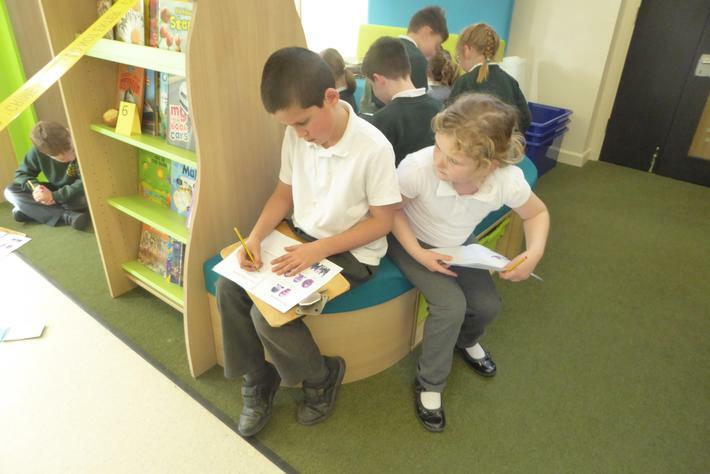 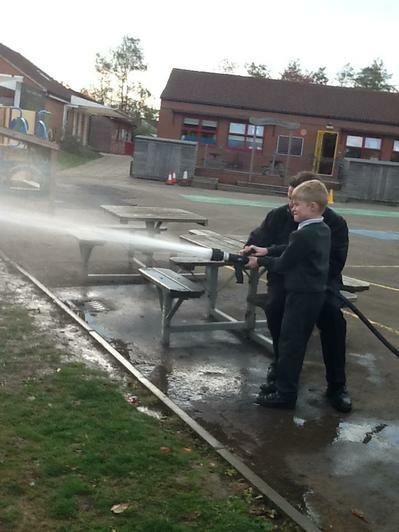 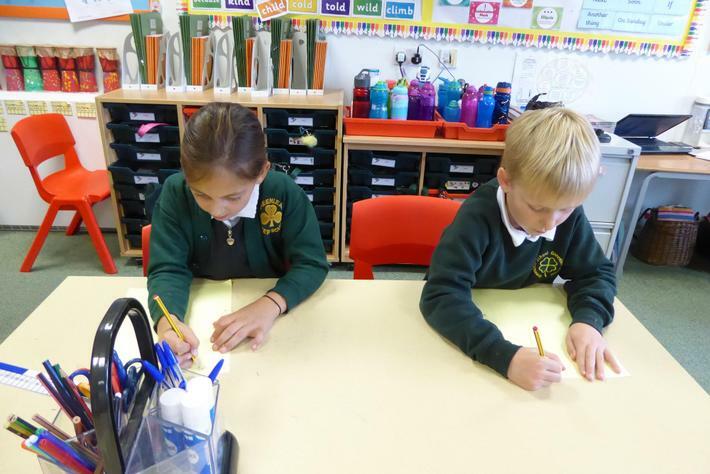 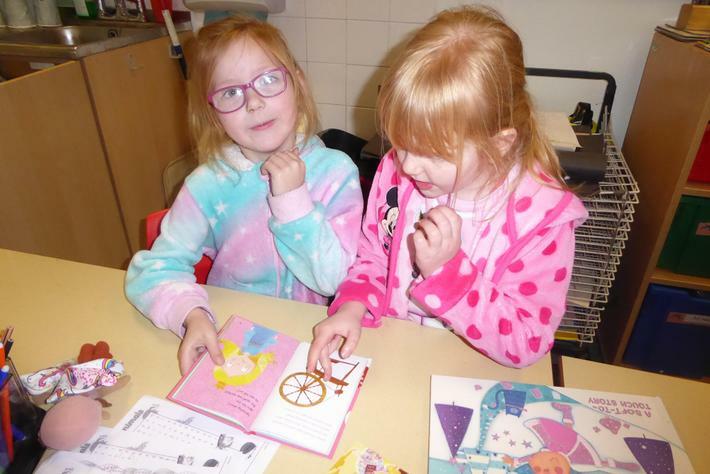 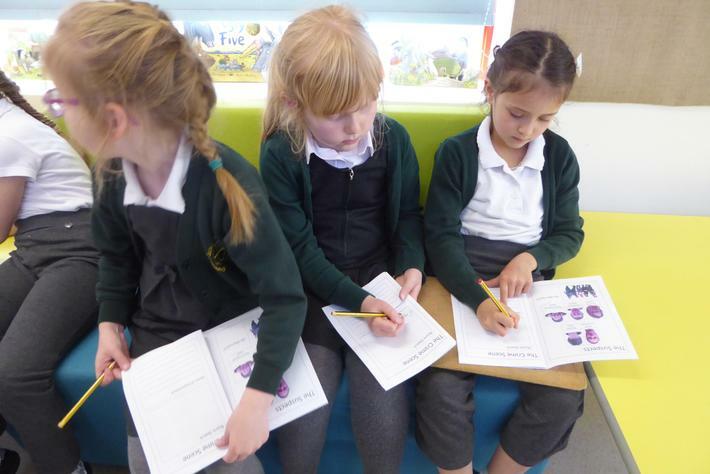 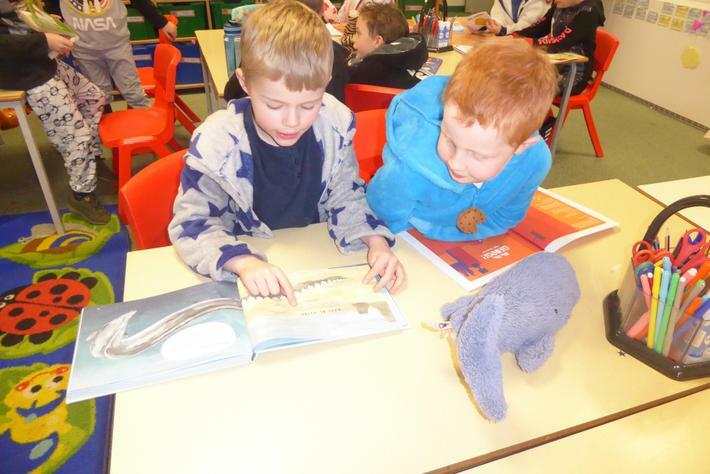 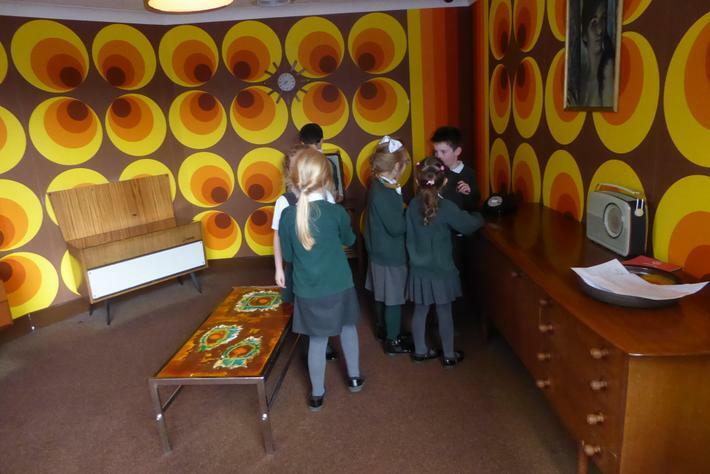 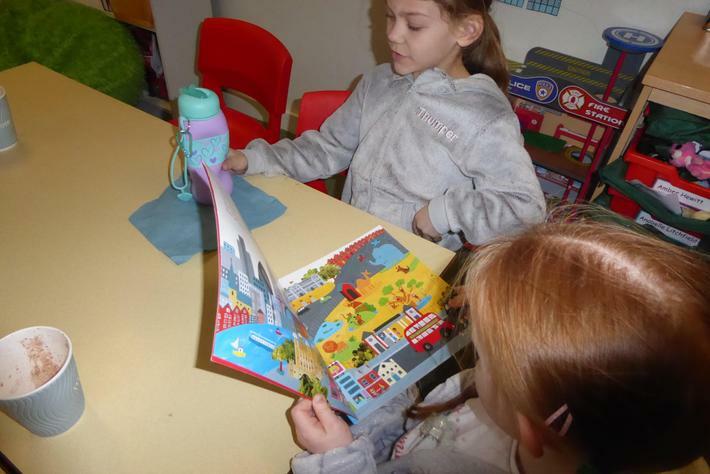 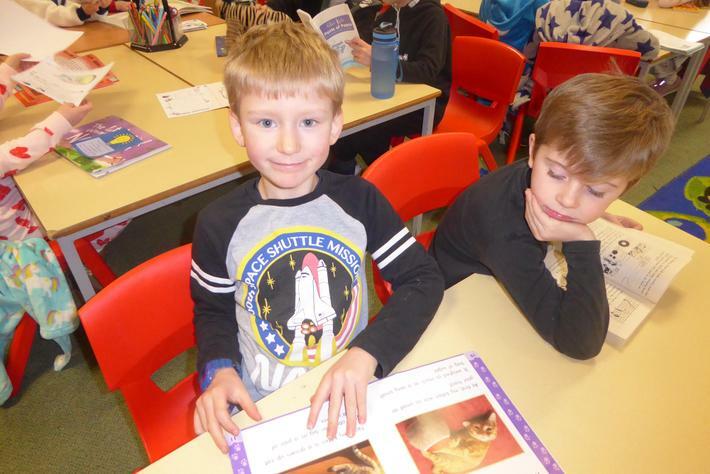 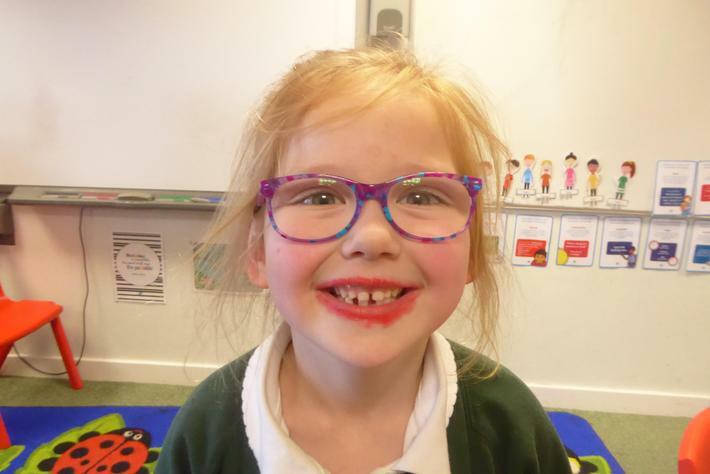 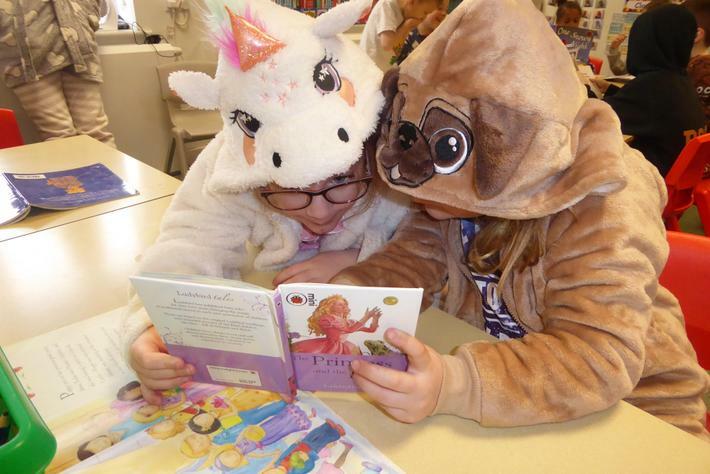 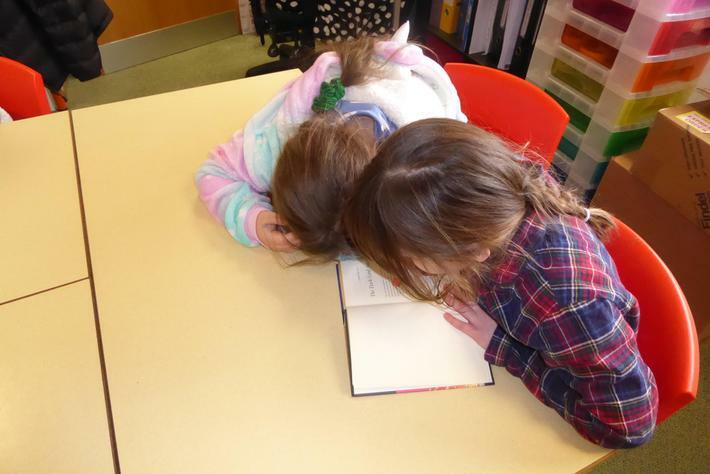 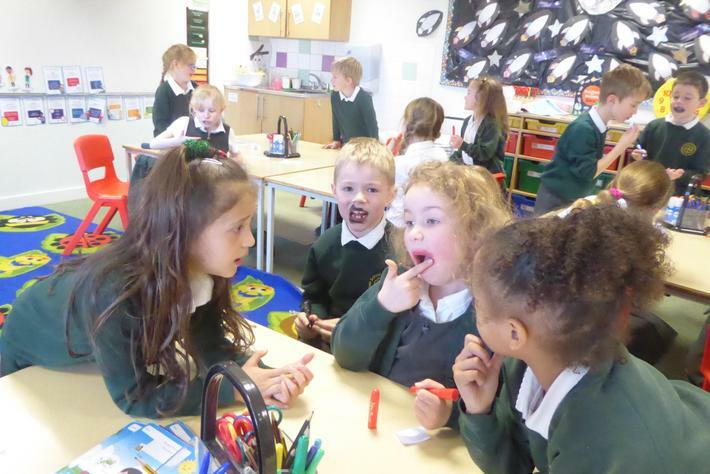 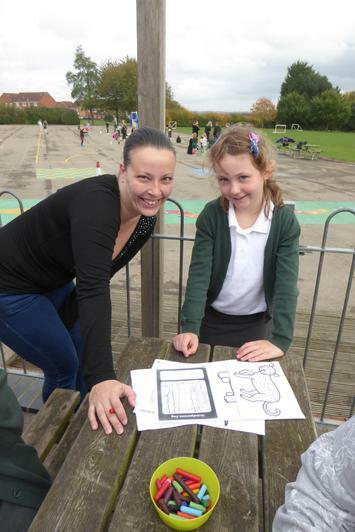 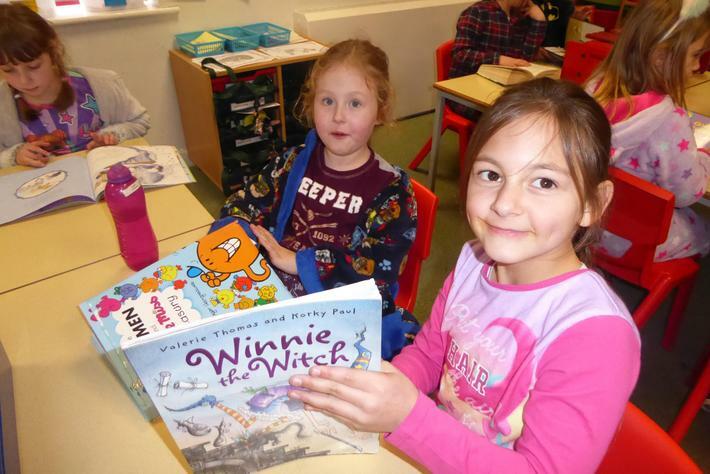 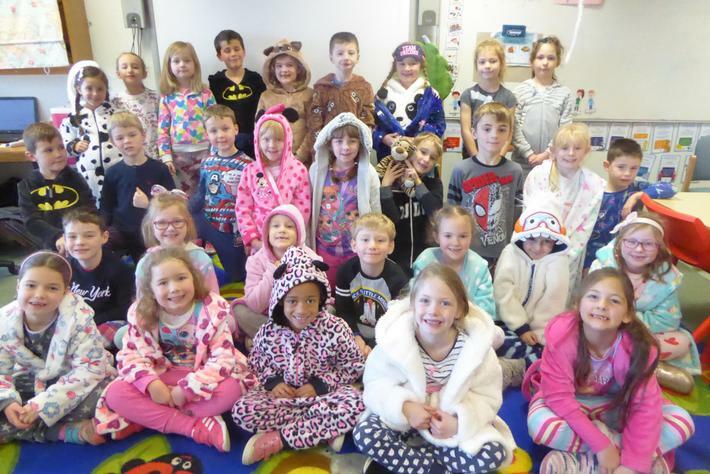 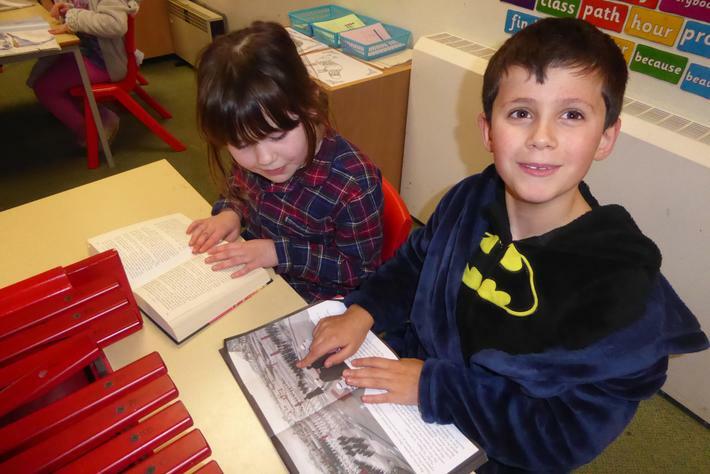 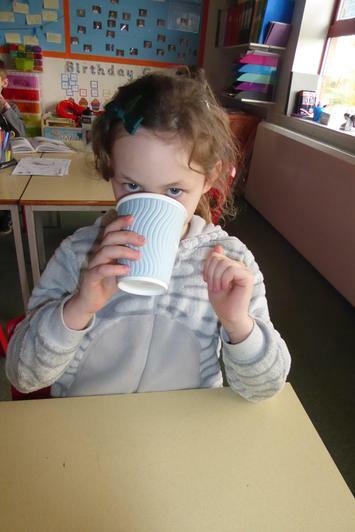 Please find below a photo learning journey that shows some of the exciting activities we have been getting up to. 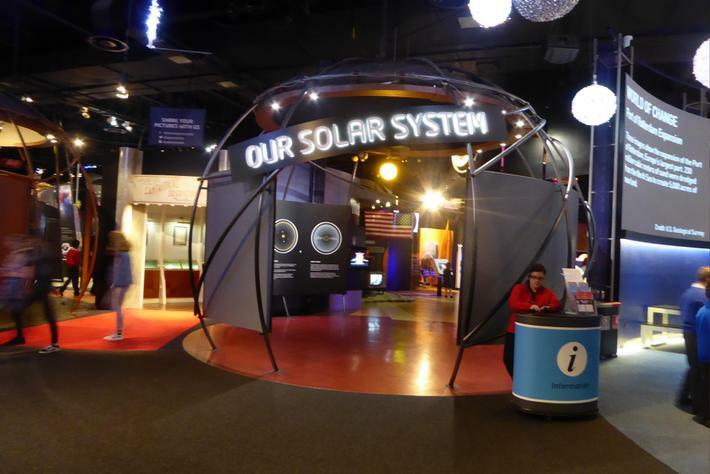 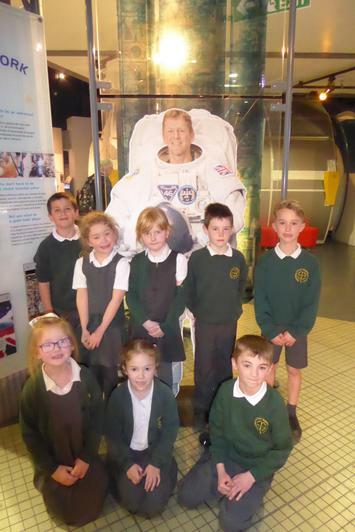 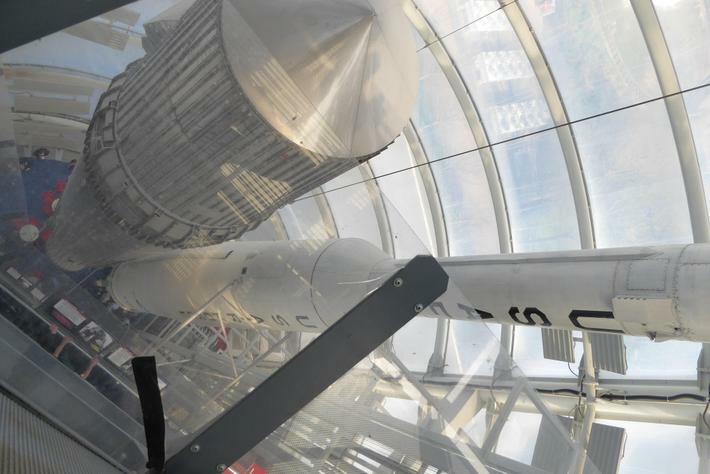 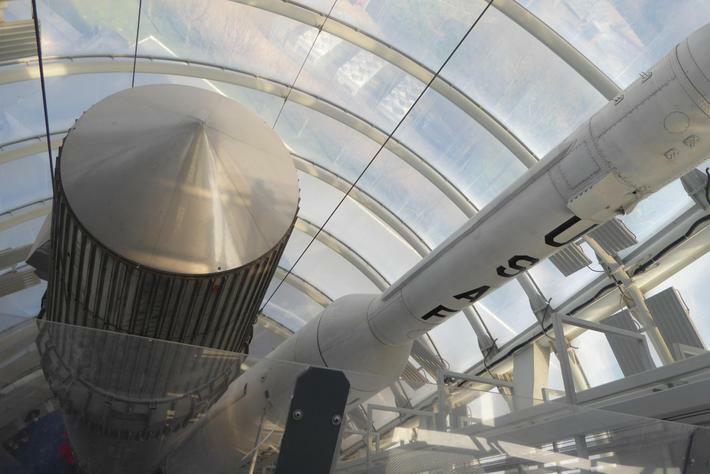 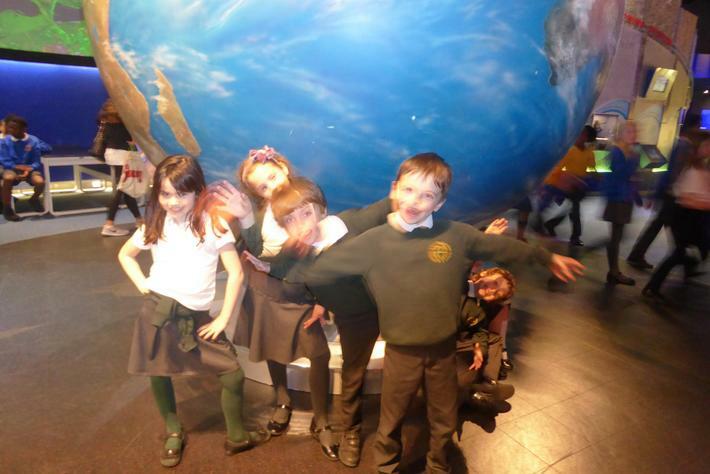 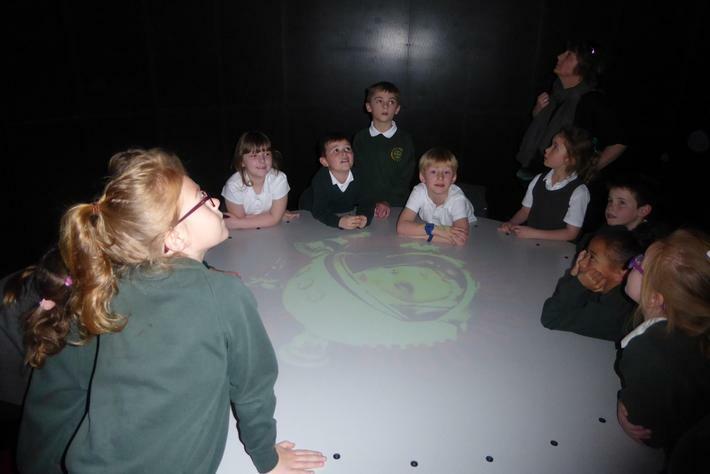 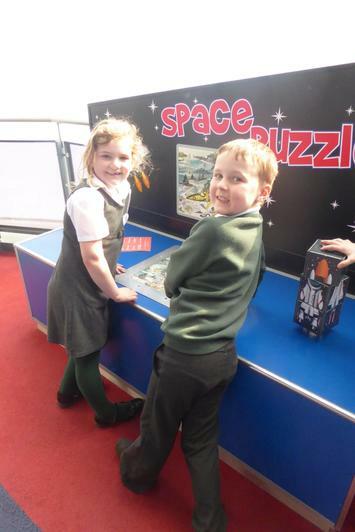 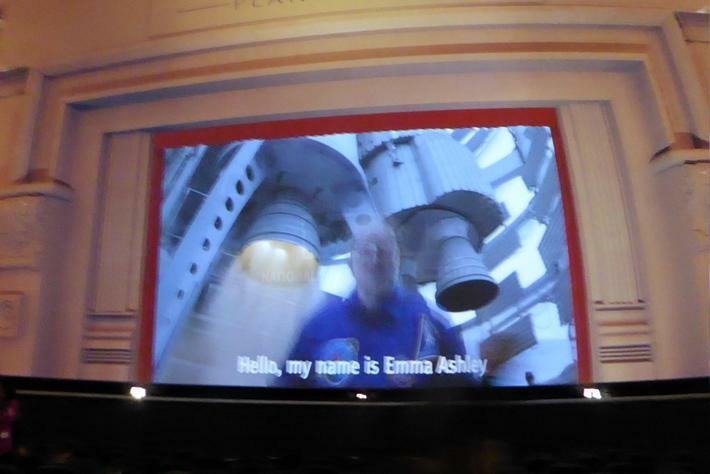 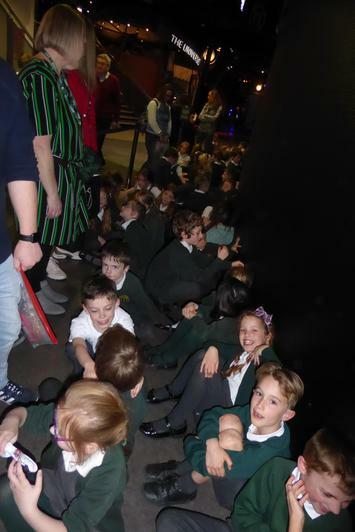 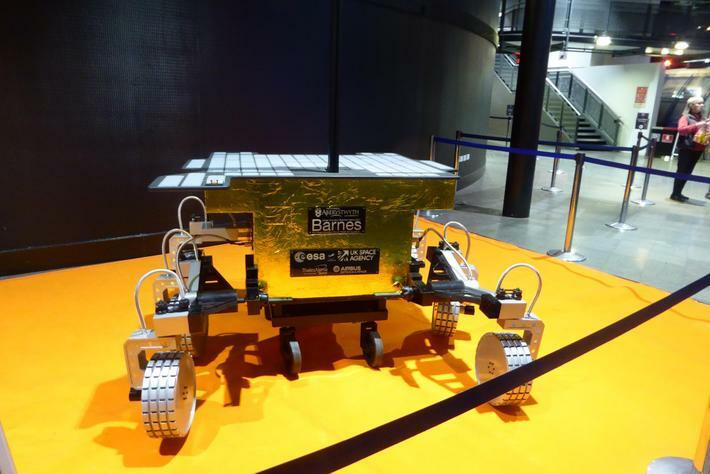 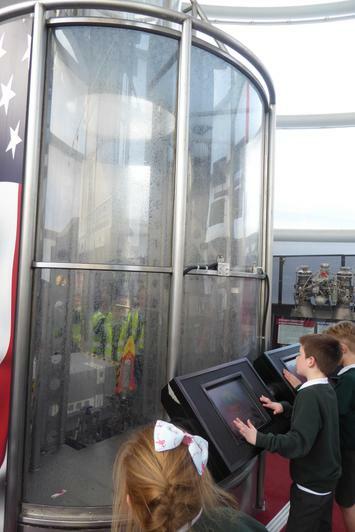 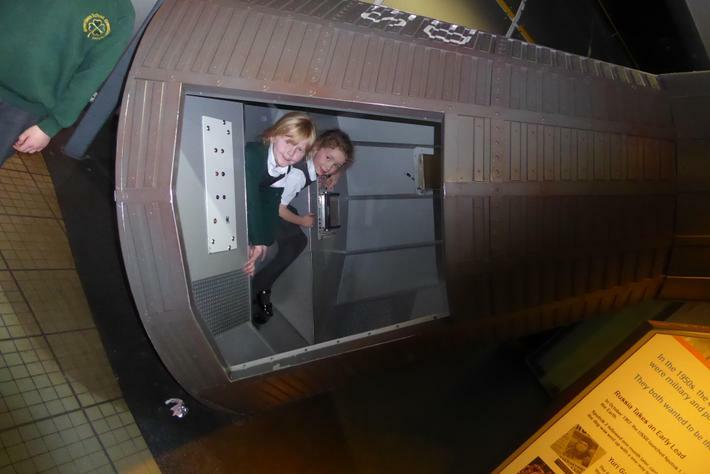 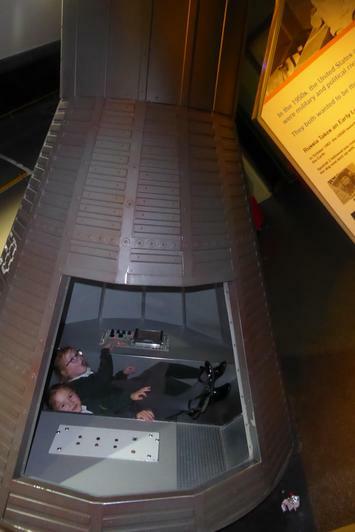 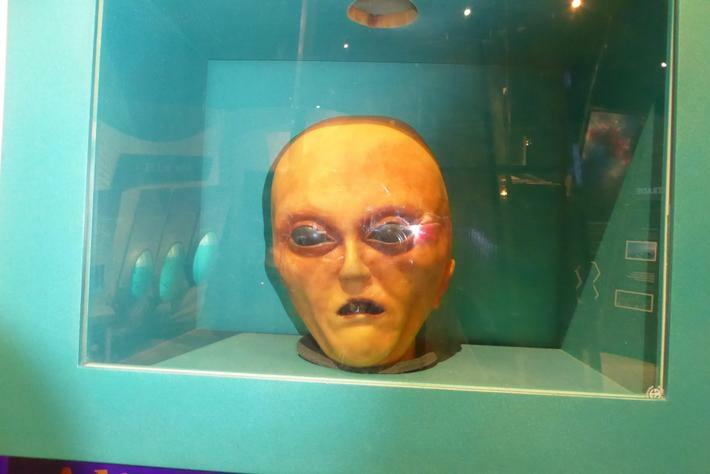 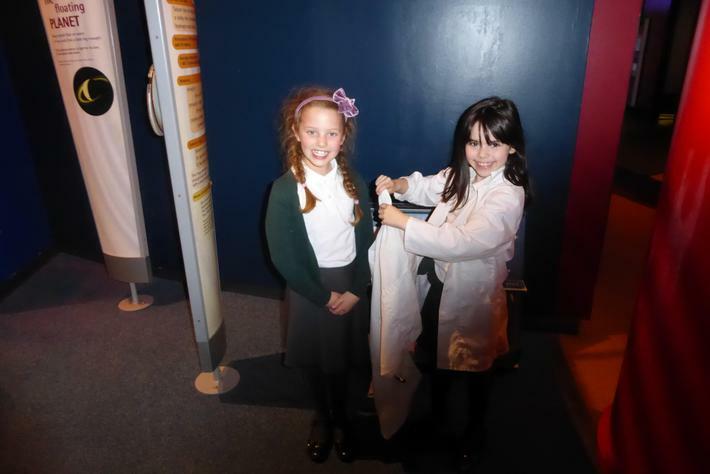 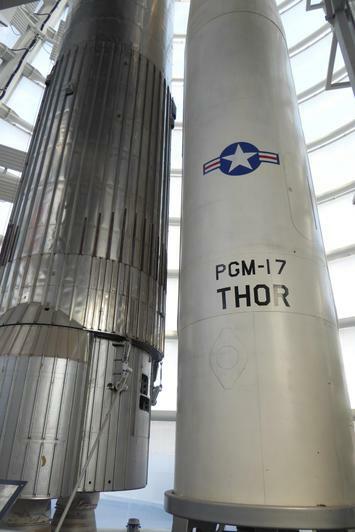 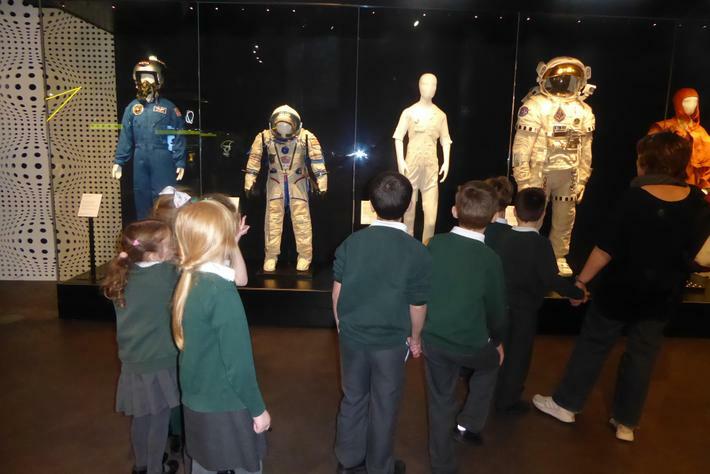 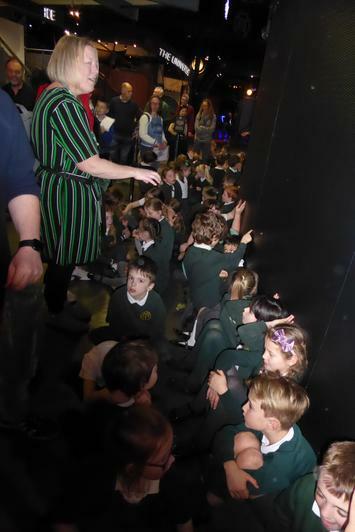 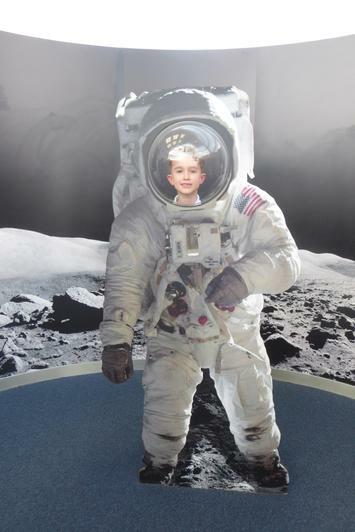 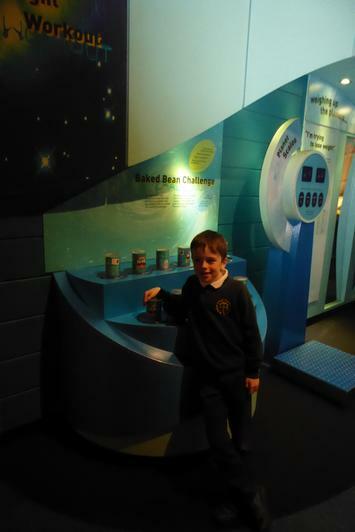 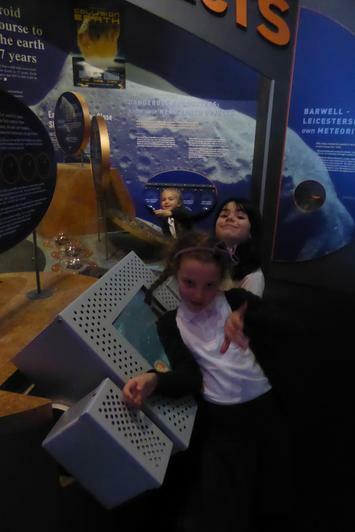 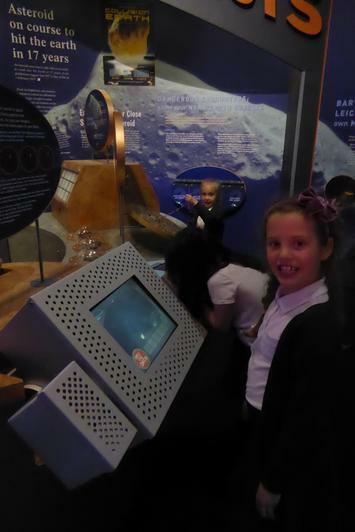 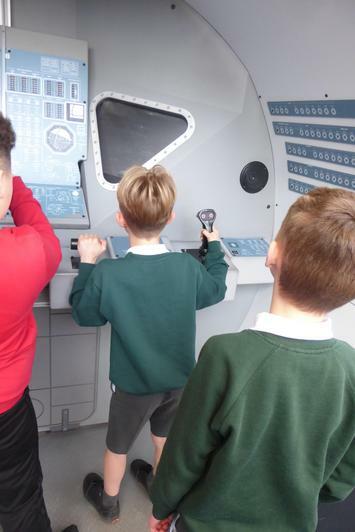 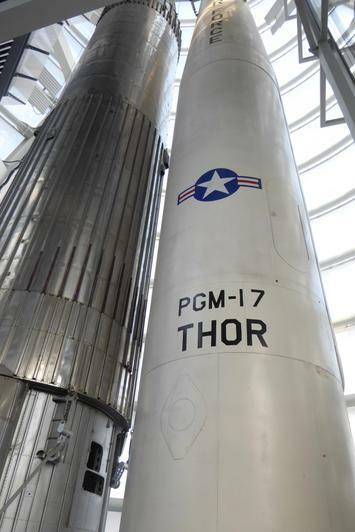 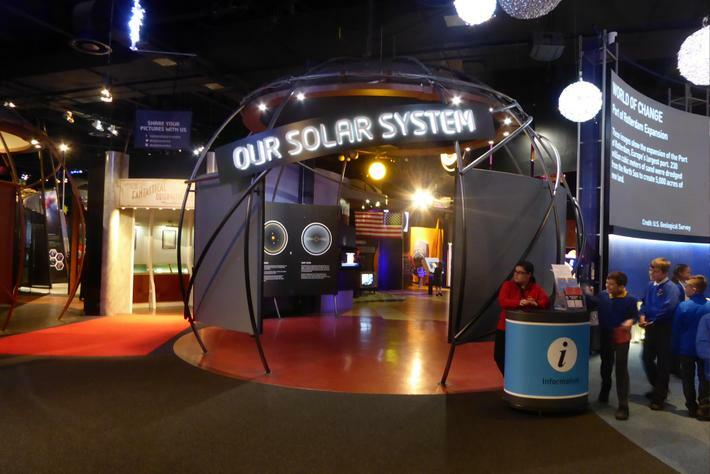 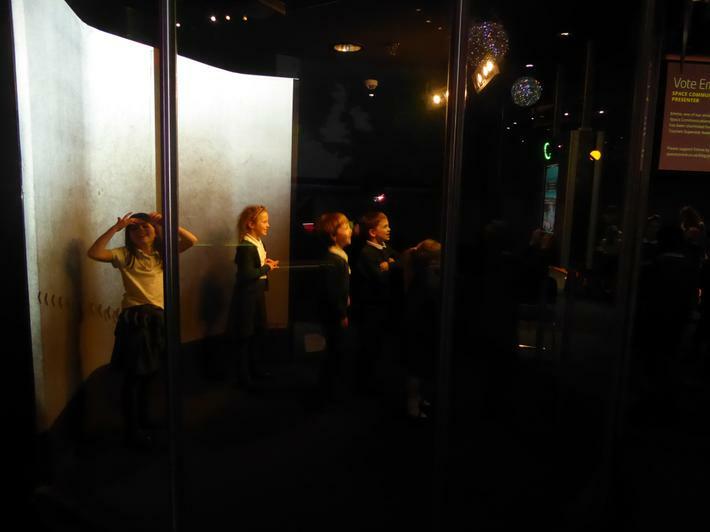 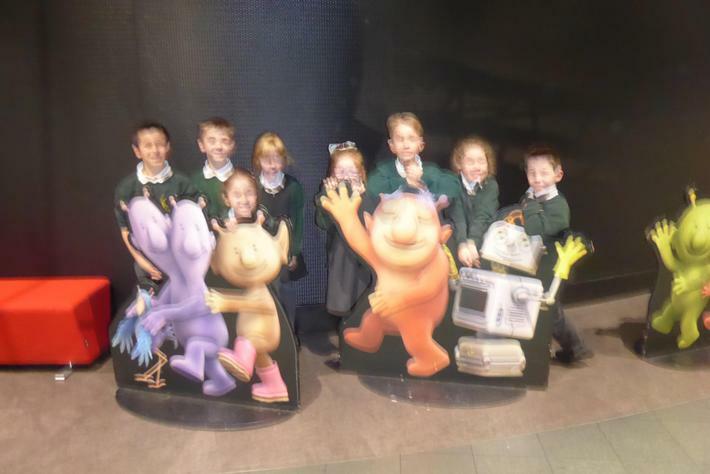 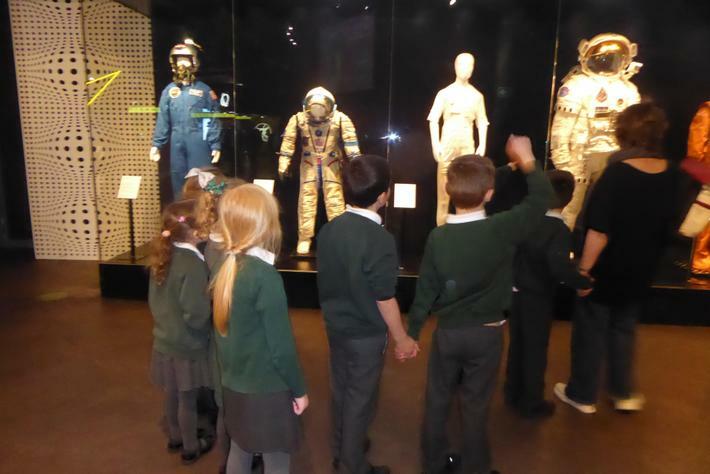 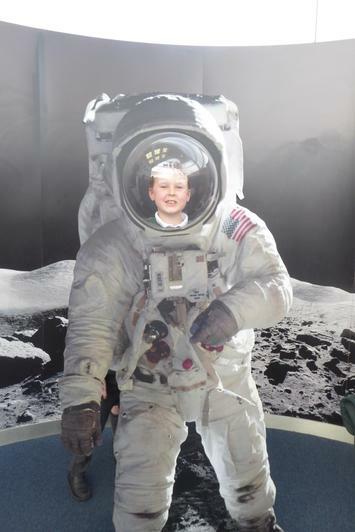 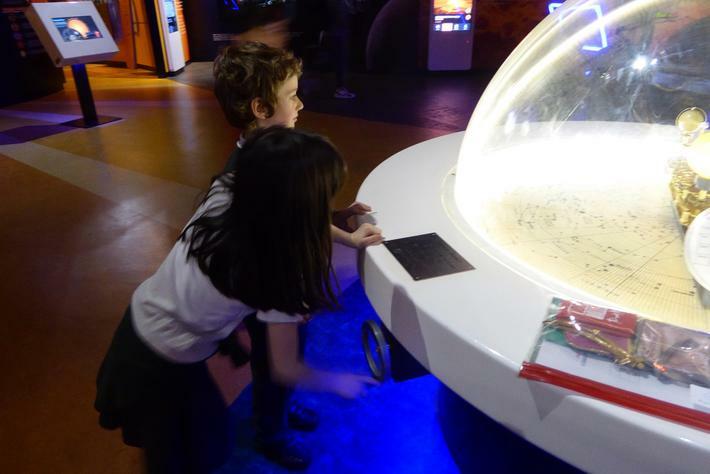 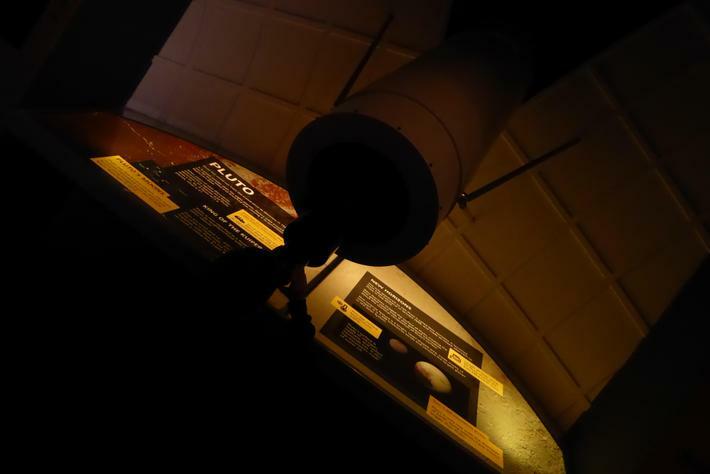 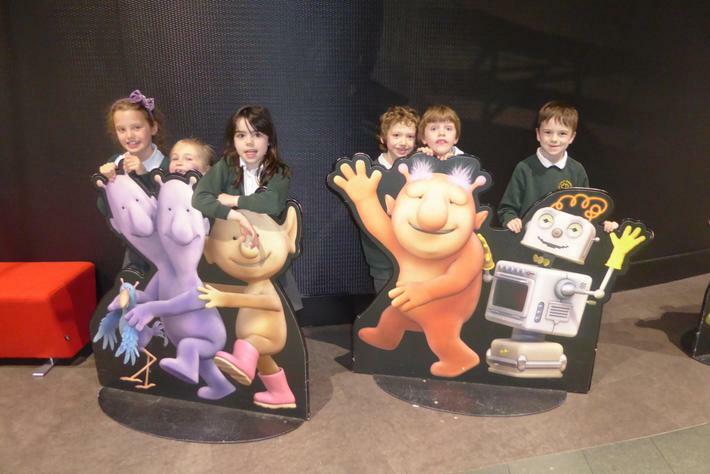 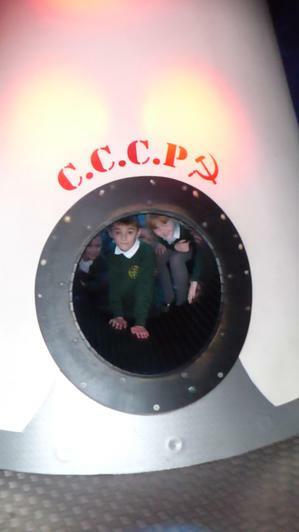 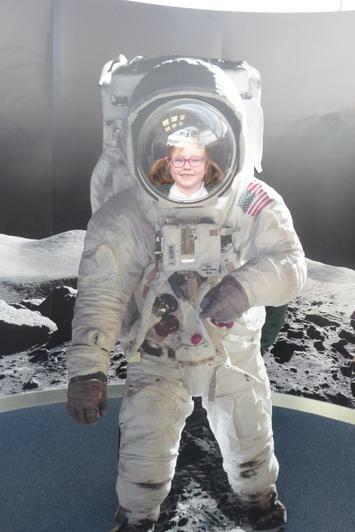 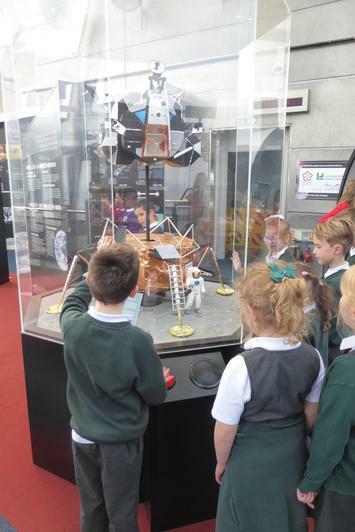 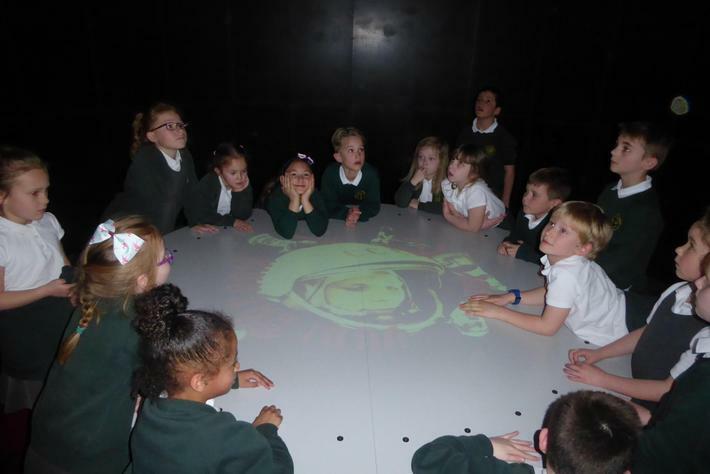 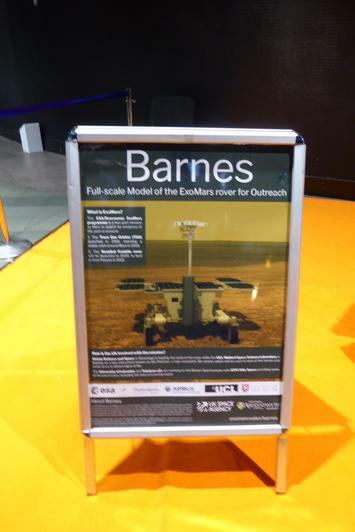 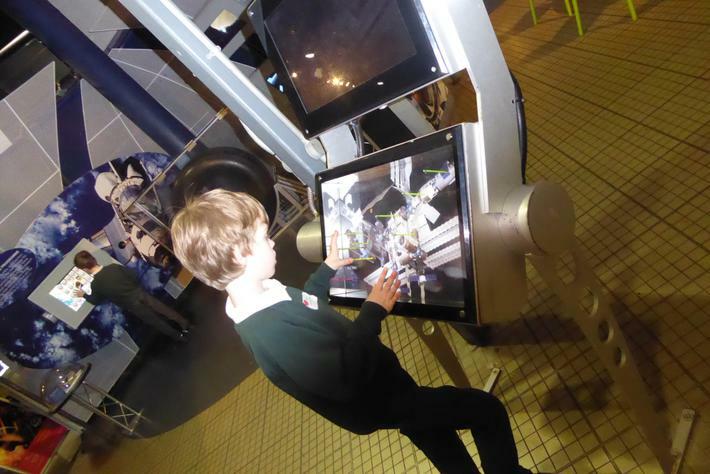 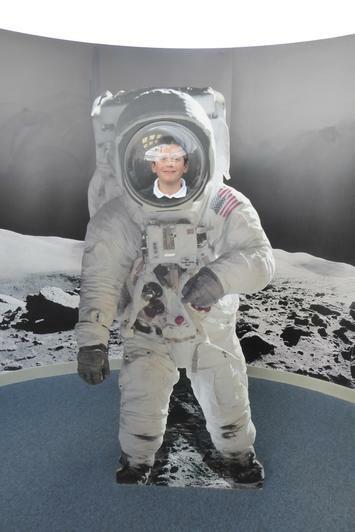 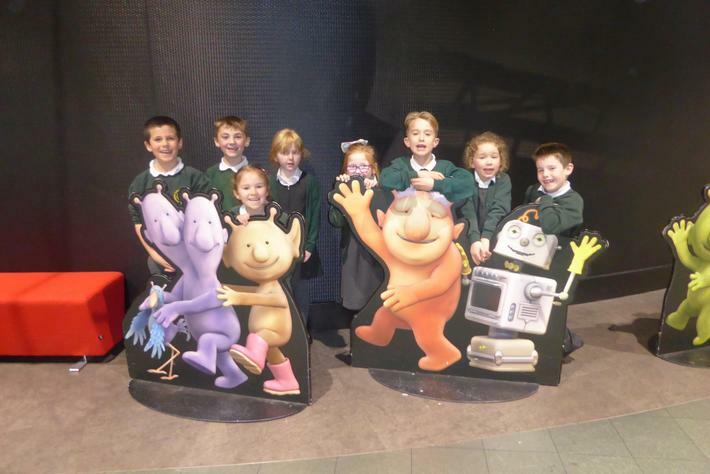 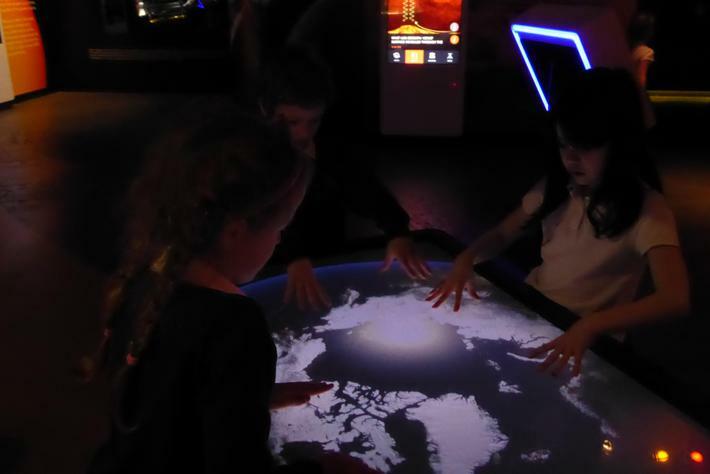 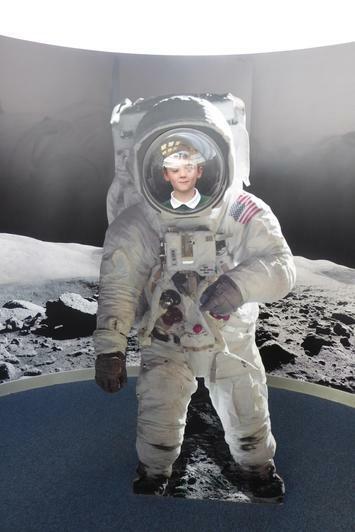 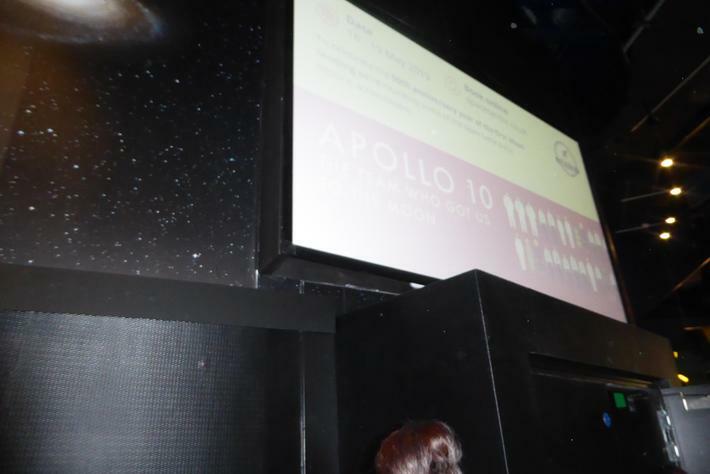 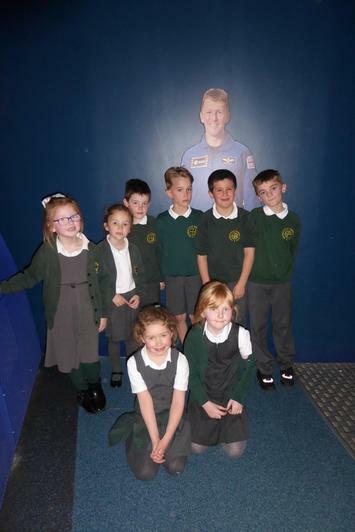 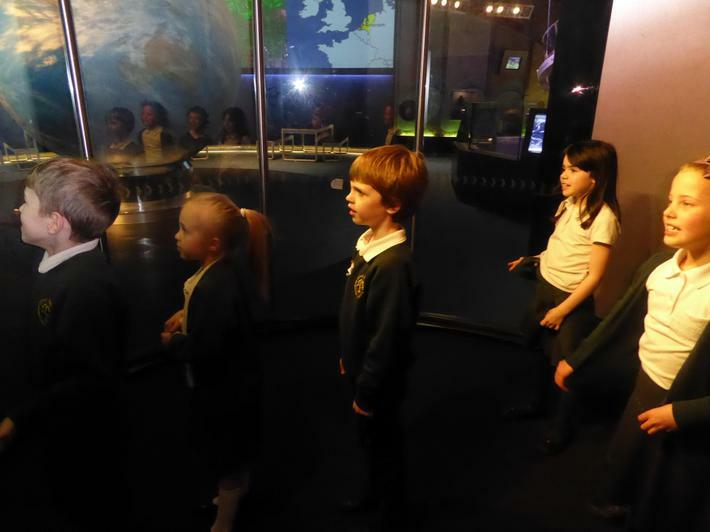 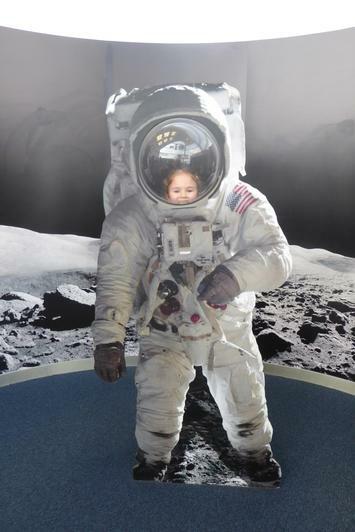 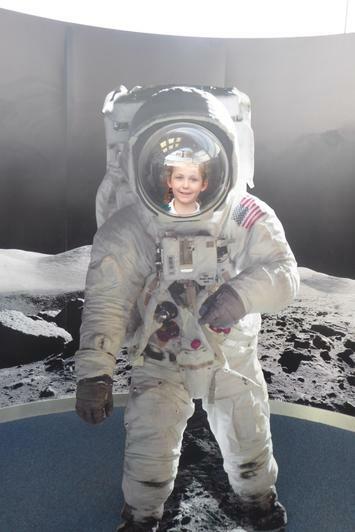 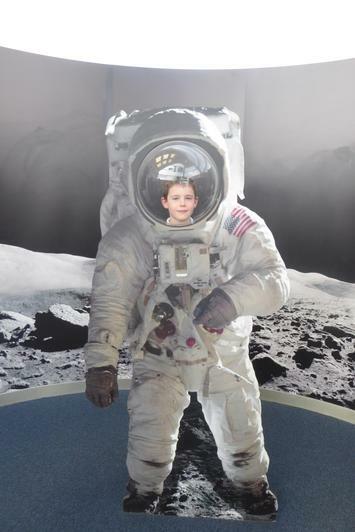 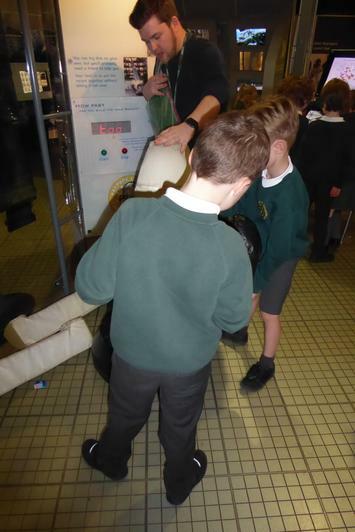 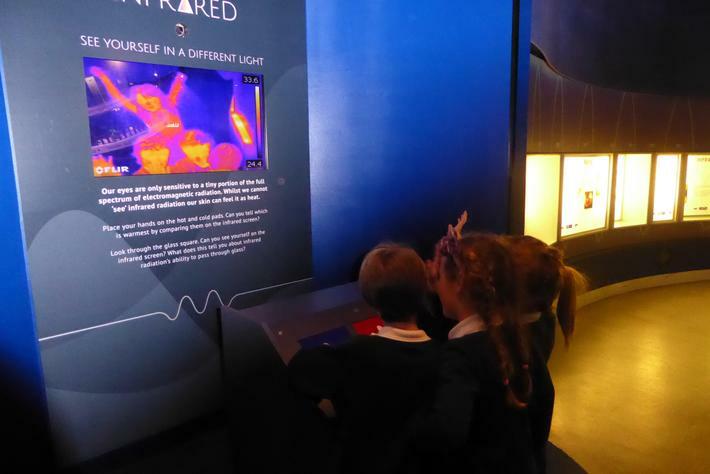 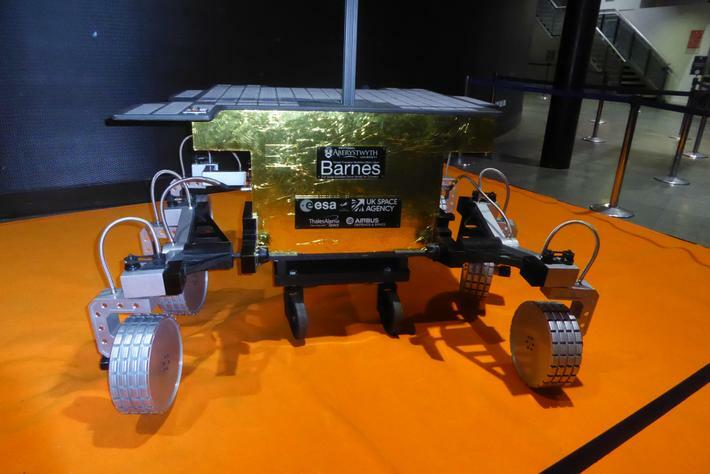 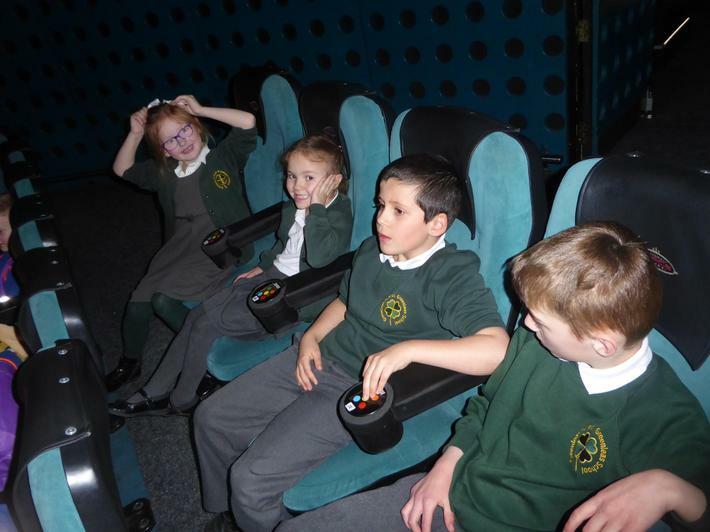 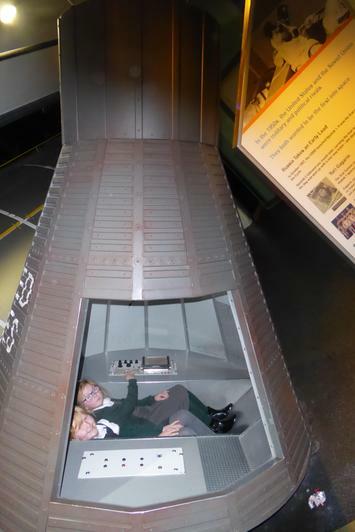 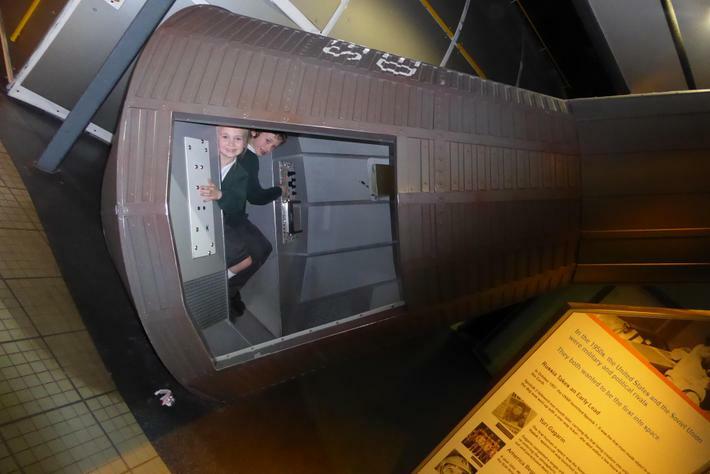 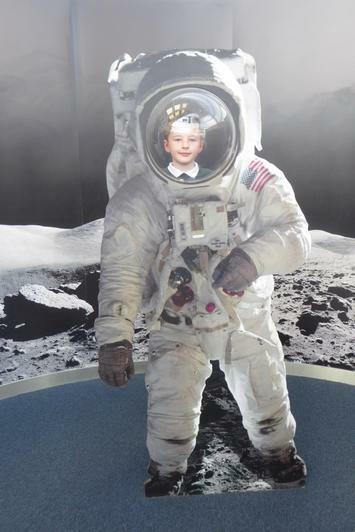 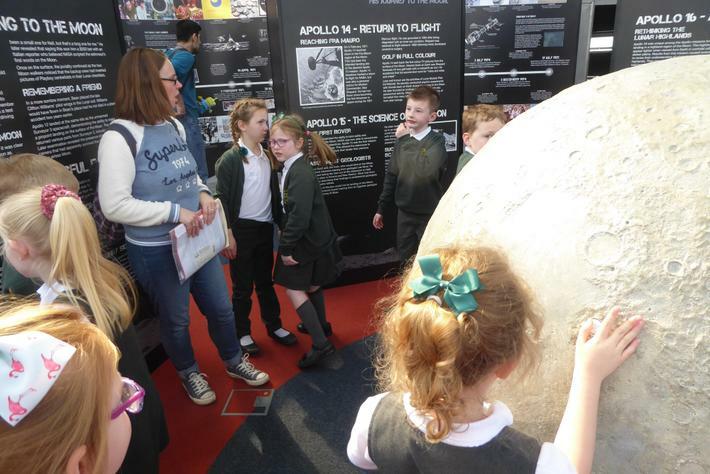 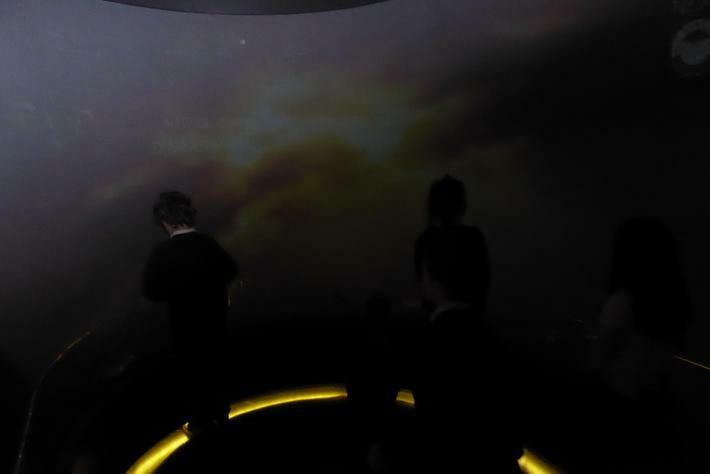 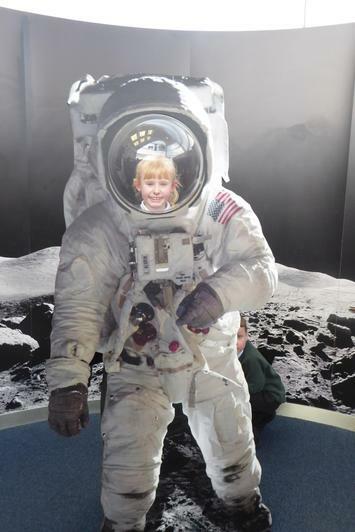 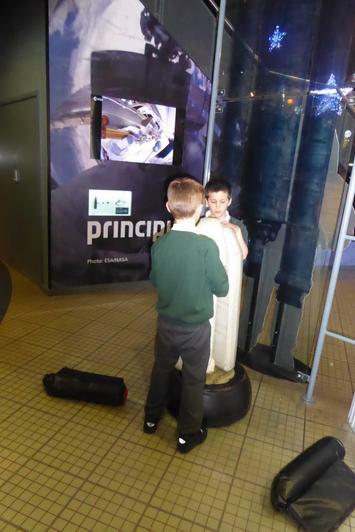 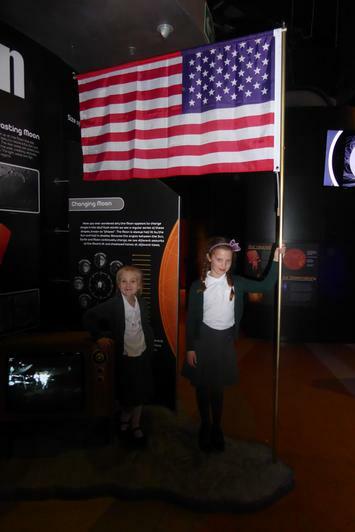 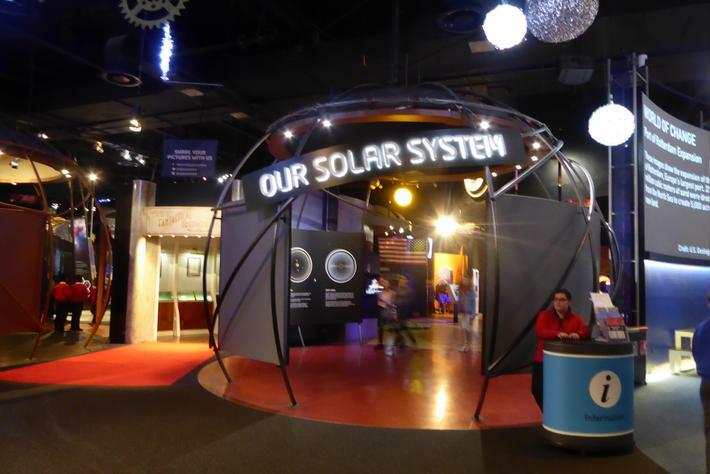 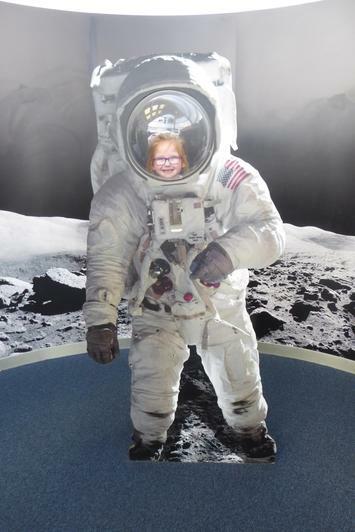 On Thursday 28th March we visited the National Space Centre in Leicester. 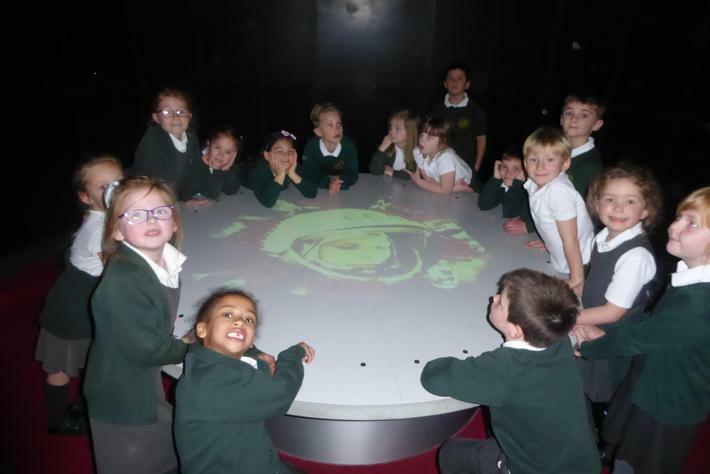 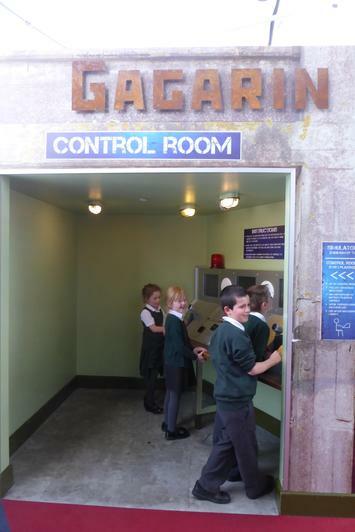 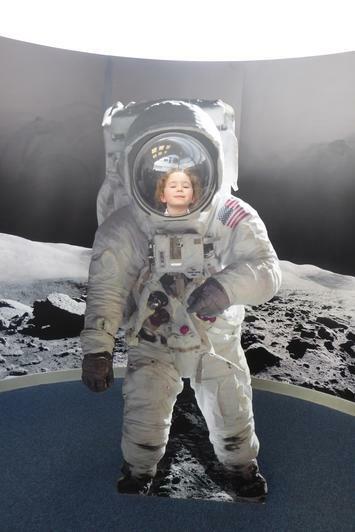 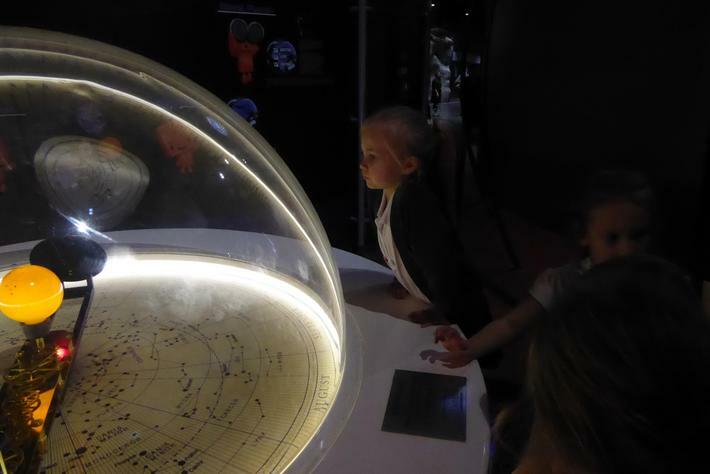 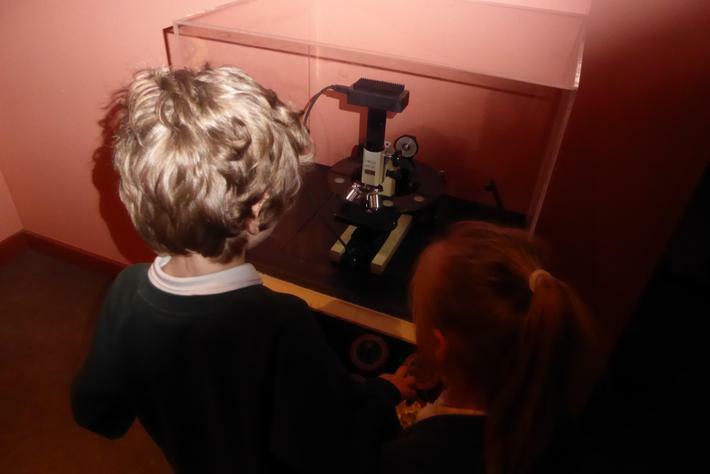 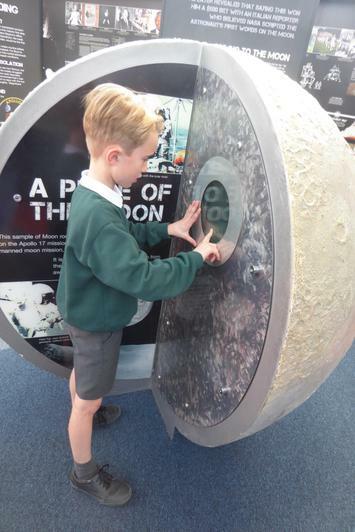 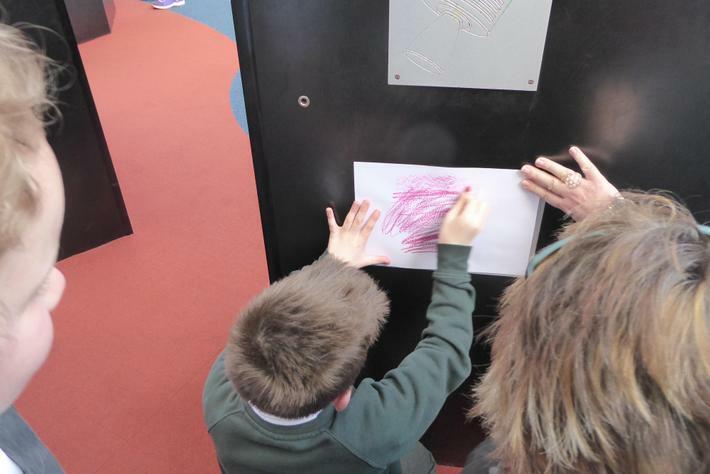 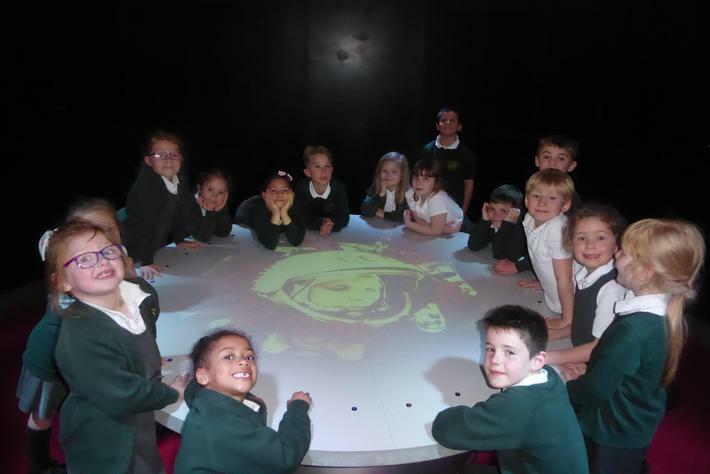 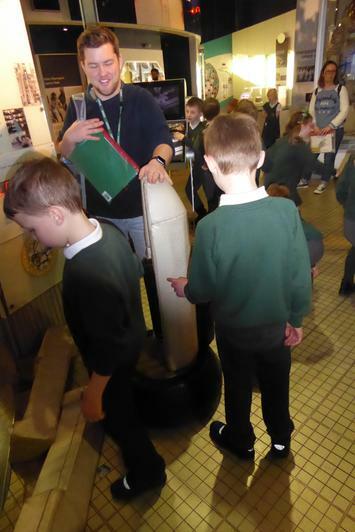 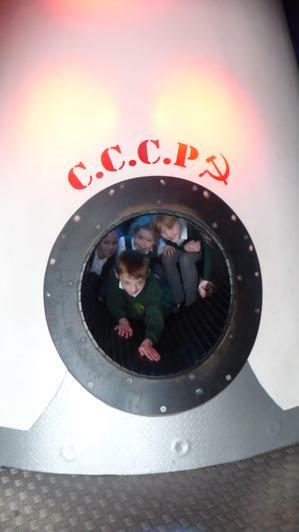 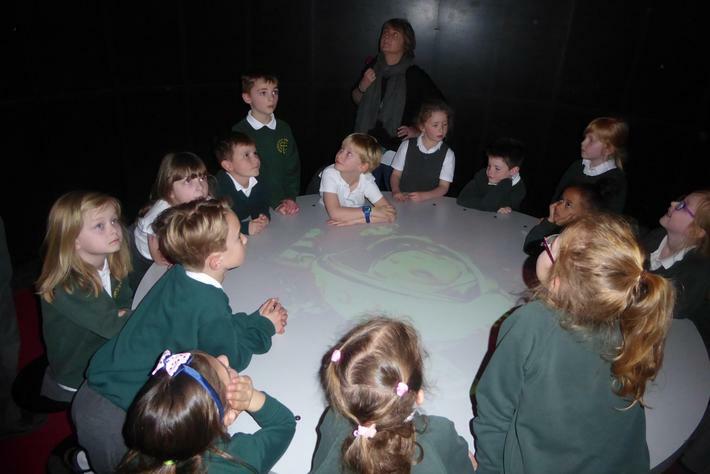 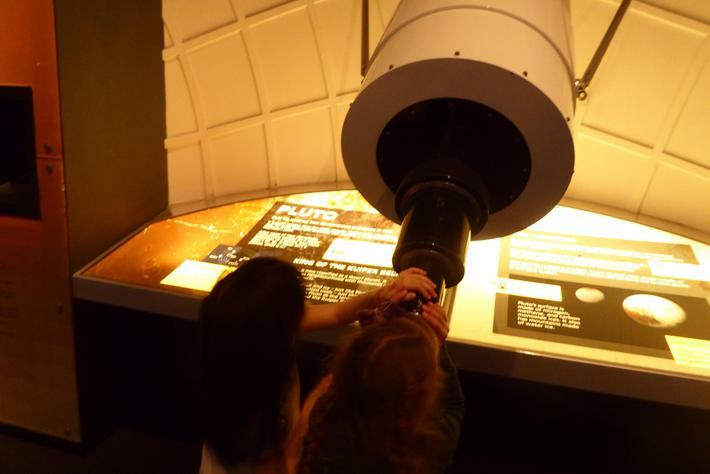 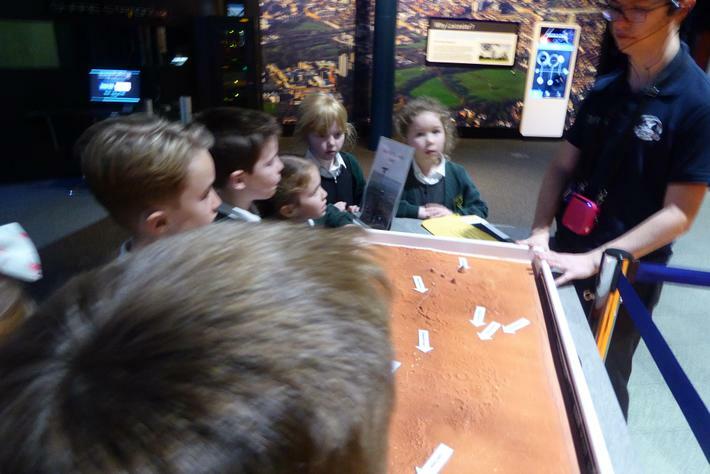 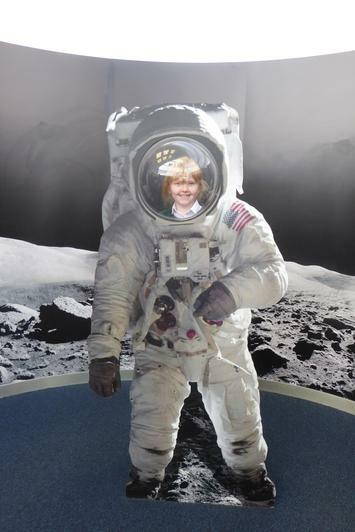 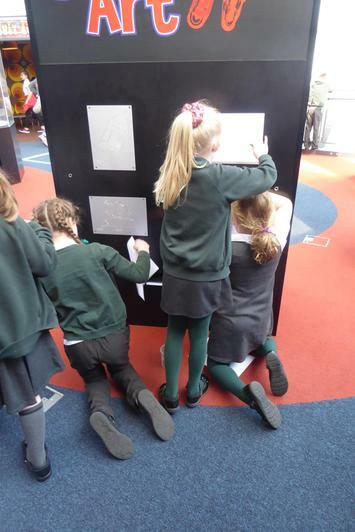 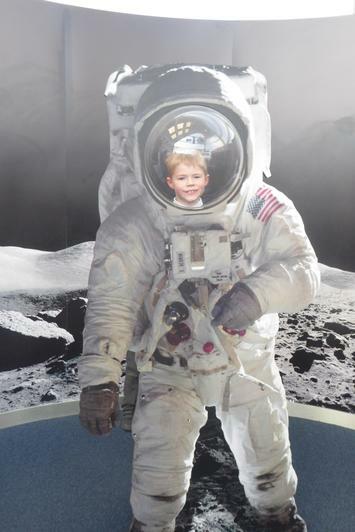 We had great fun exploring the space galleries and finding out lots about space. 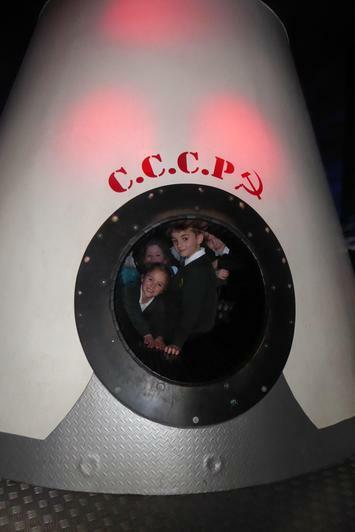 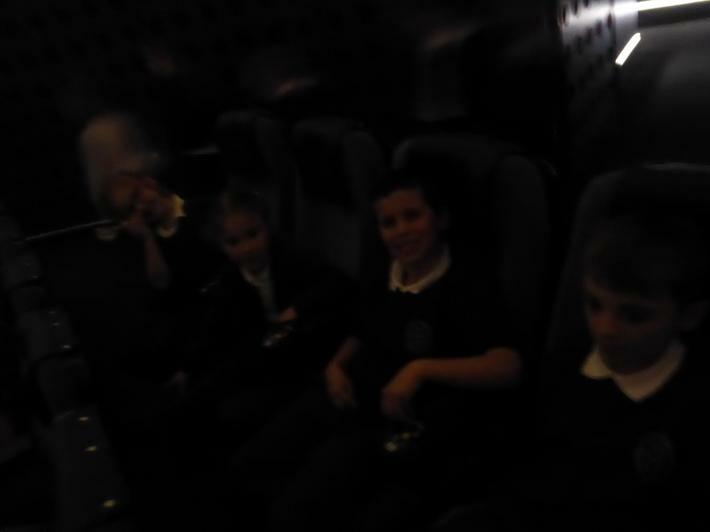 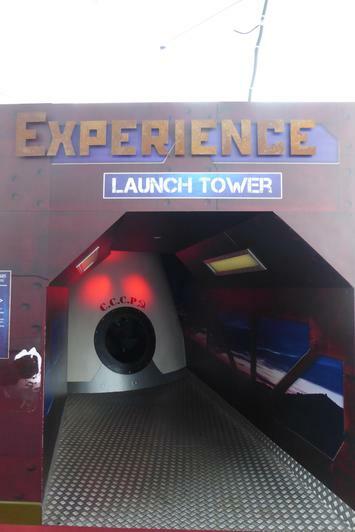 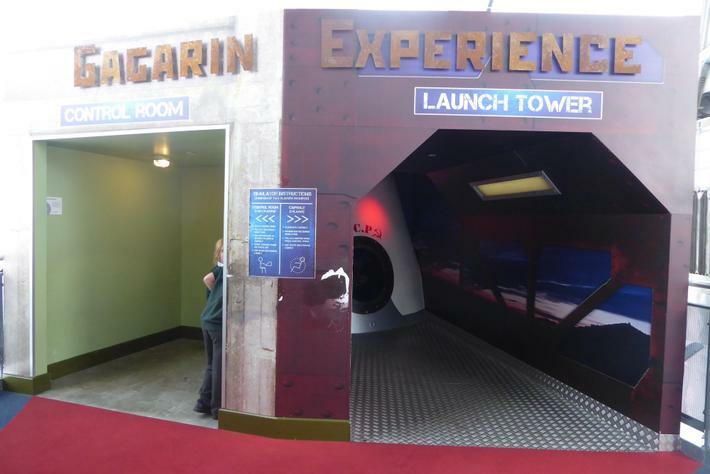 We went up the rocket tower, created our own weather video and had chance to sit in a space rocket chair and drive it around. 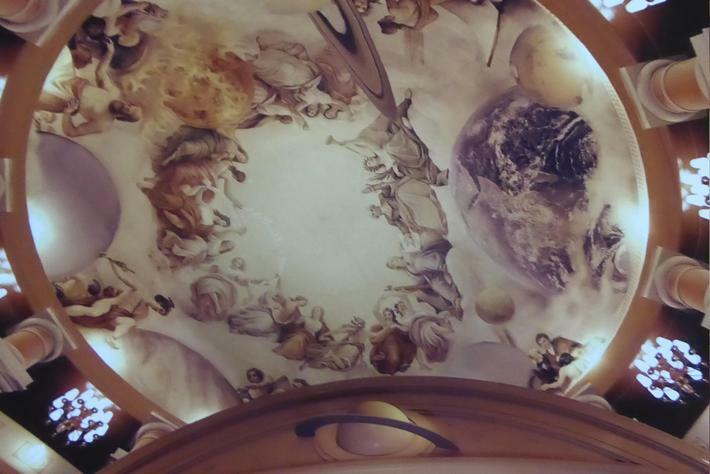 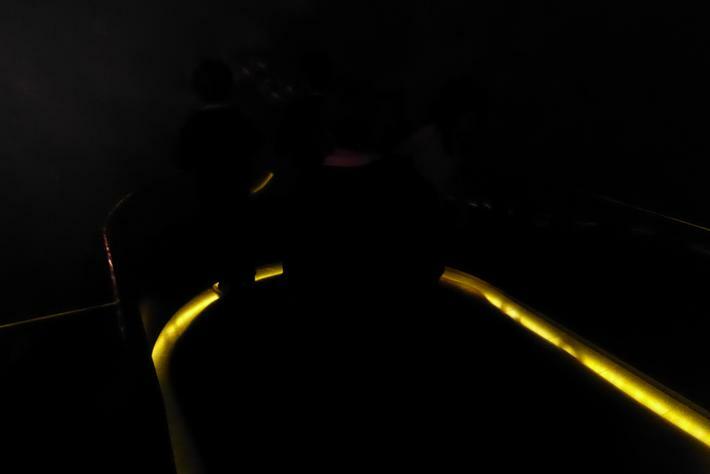 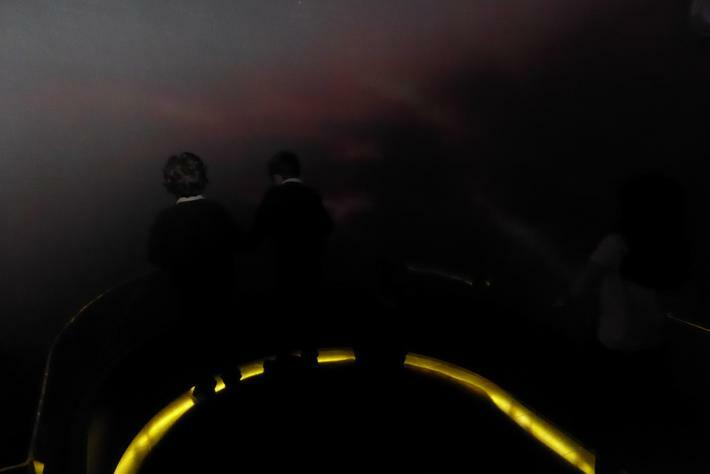 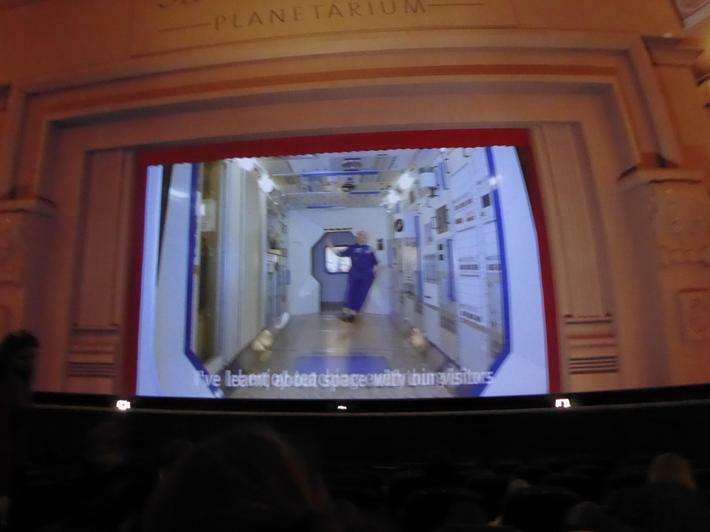 One of the best parts of our trip was when we got to go inside the planetarium and watch the day and night show. 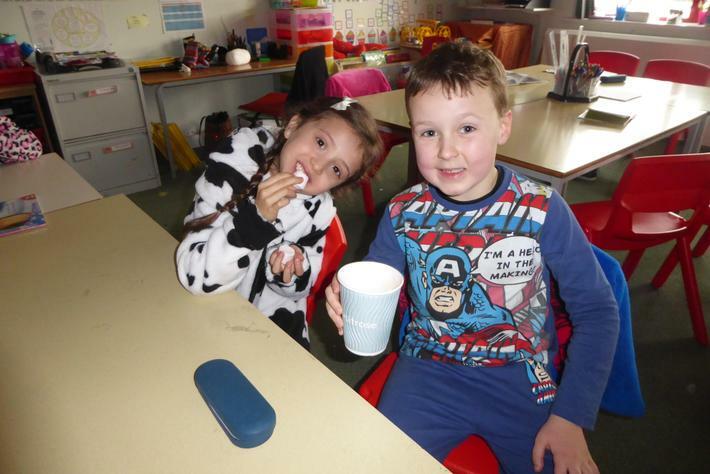 When we got back to School we were very tired, but we had a great day! 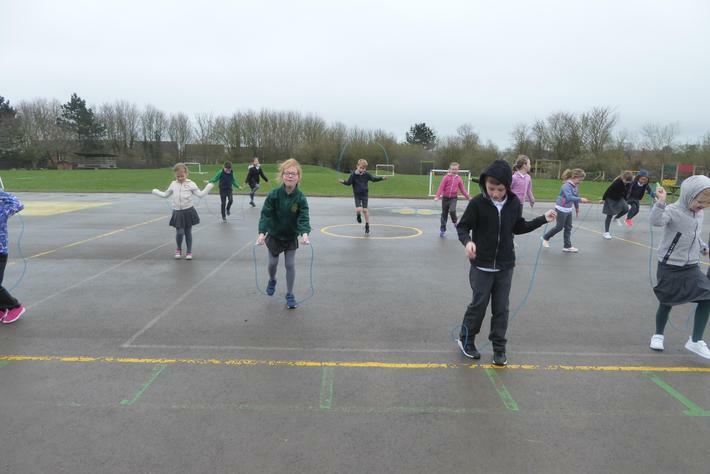 On Wednesday we enjoyed a Skip Hop session. 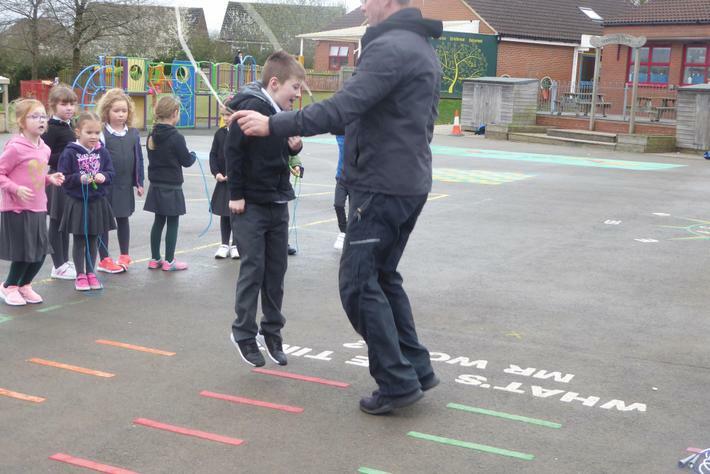 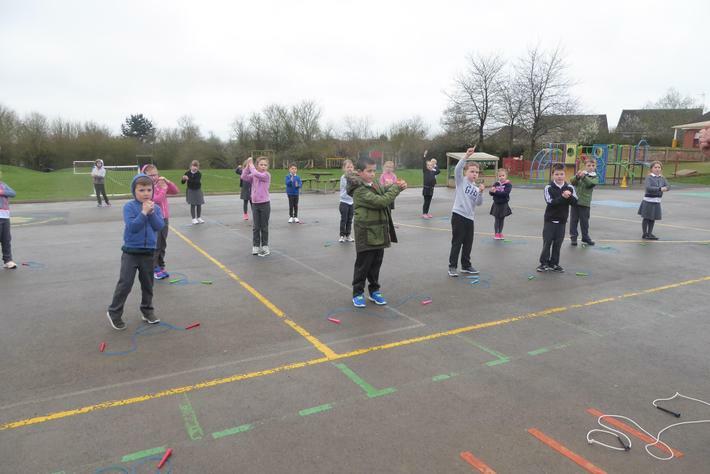 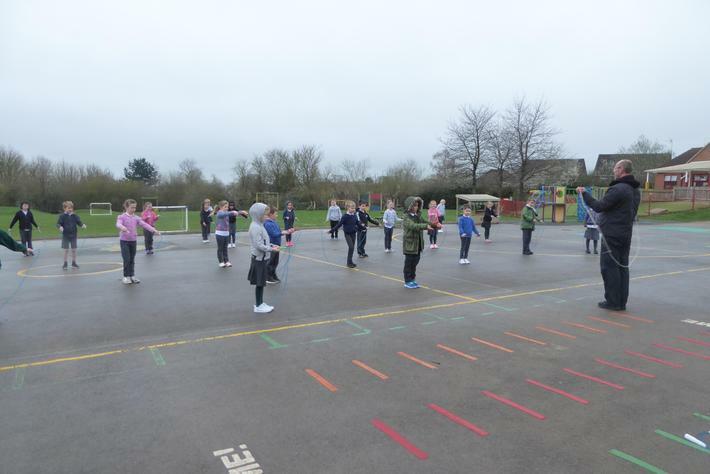 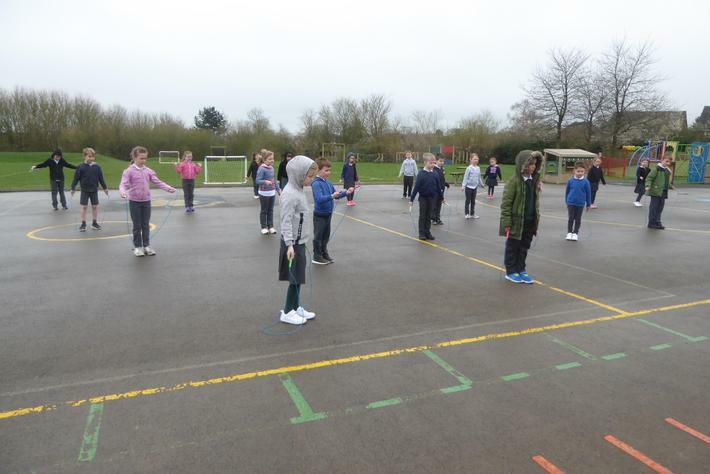 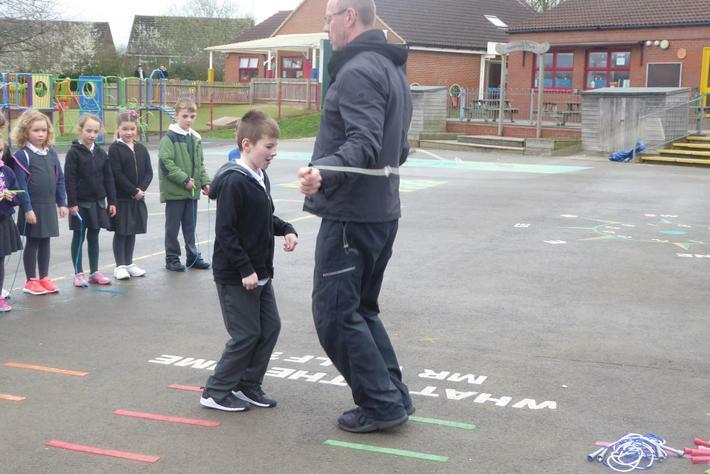 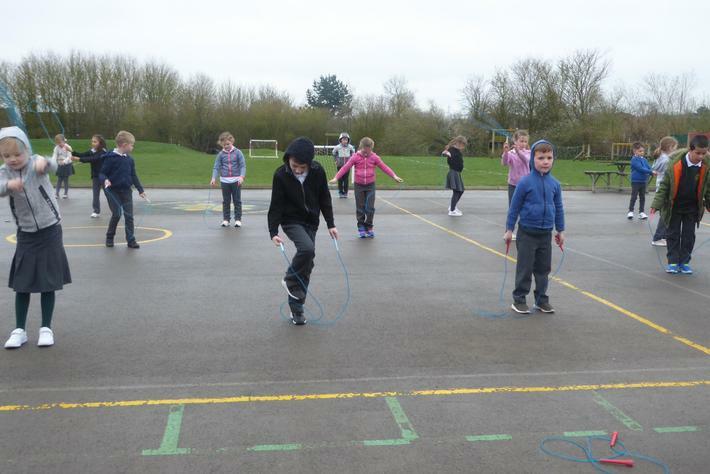 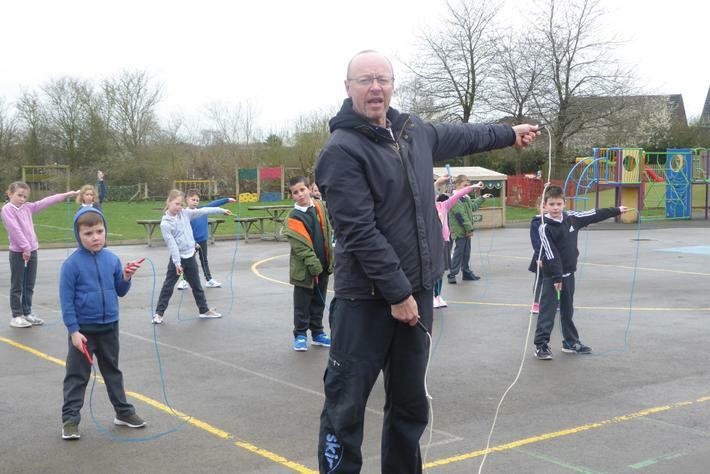 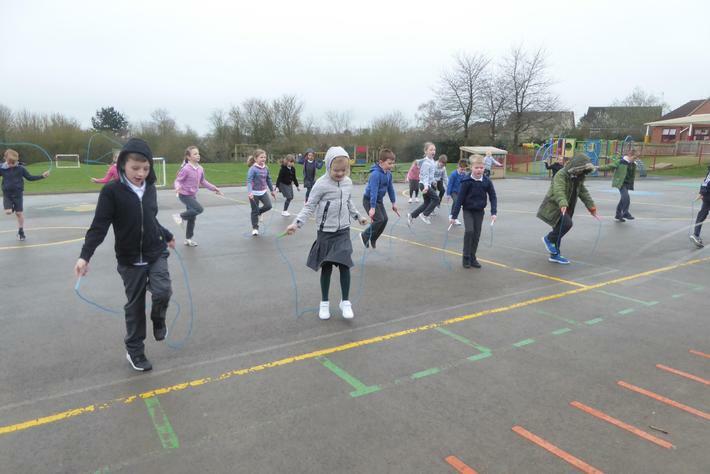 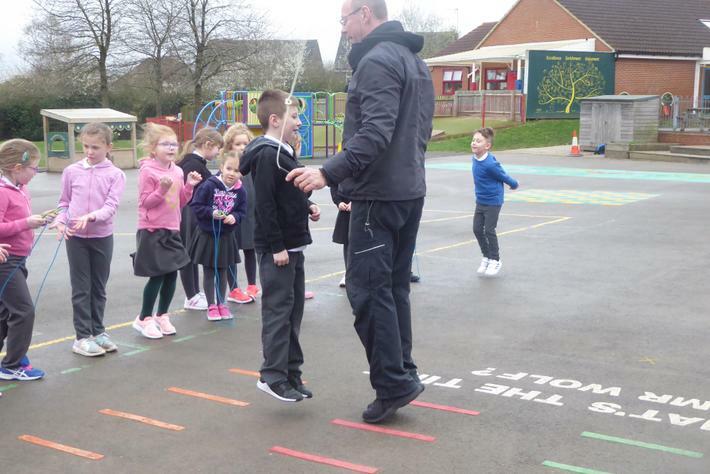 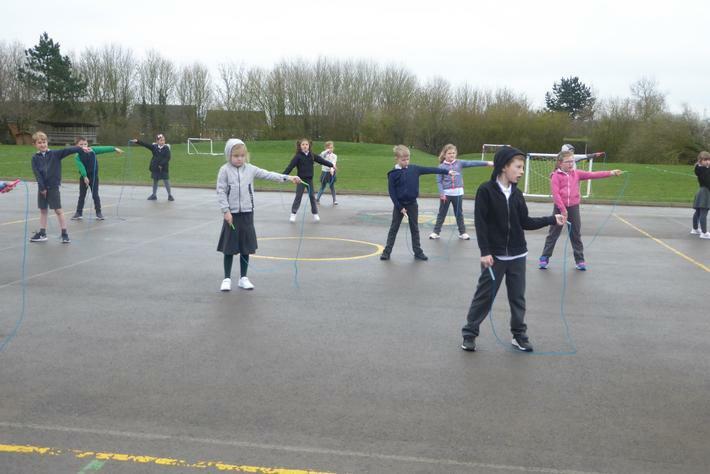 We learnt lots of new skipping tricks including Cross-over and Double Dutch. 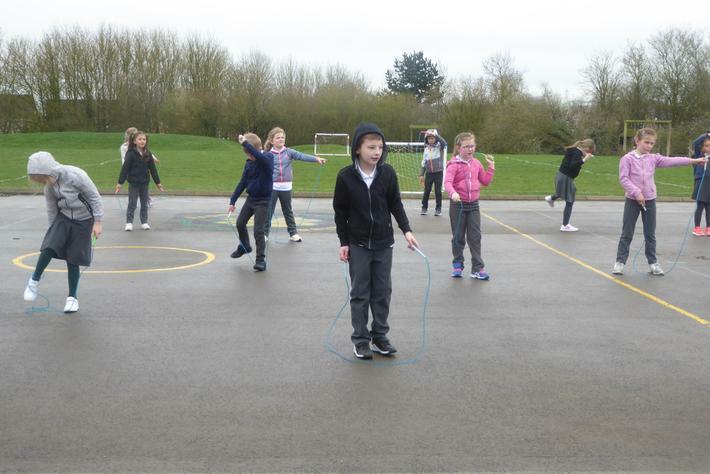 We practiced lots of the playground and got to do partner skipping and individual skipping. 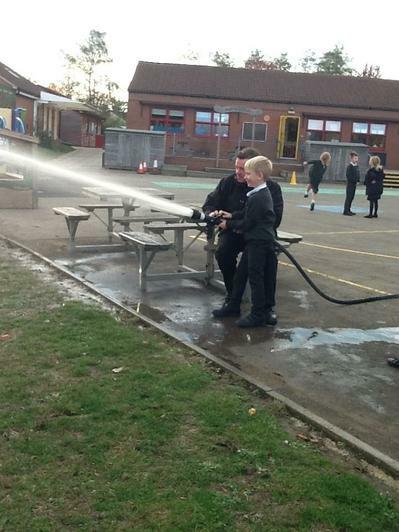 Even the teachers had a go. 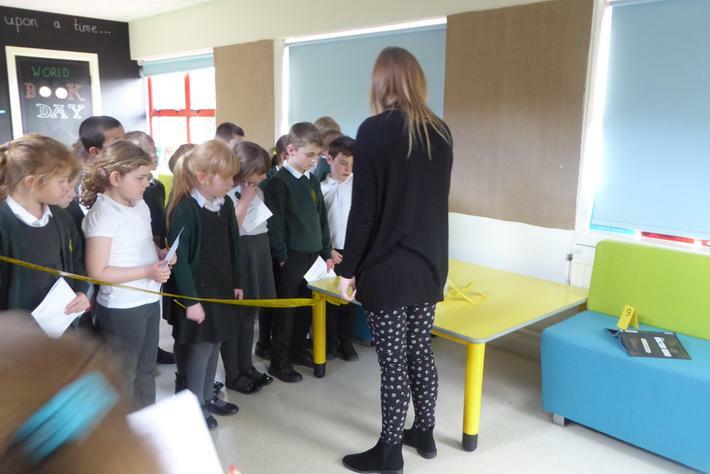 See our very exciting photos below. 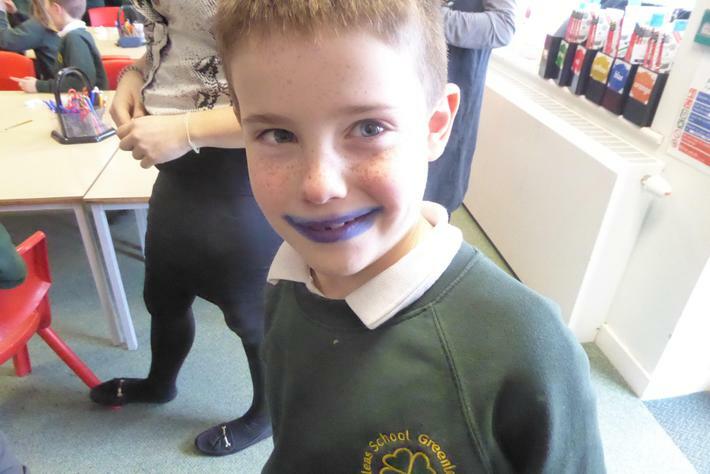 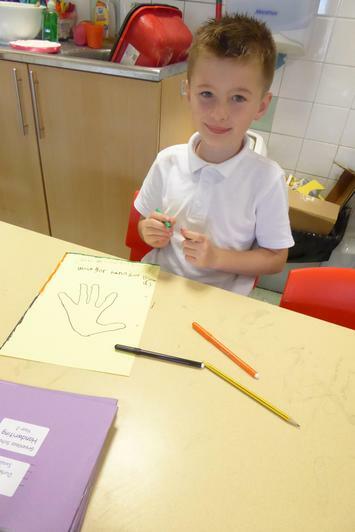 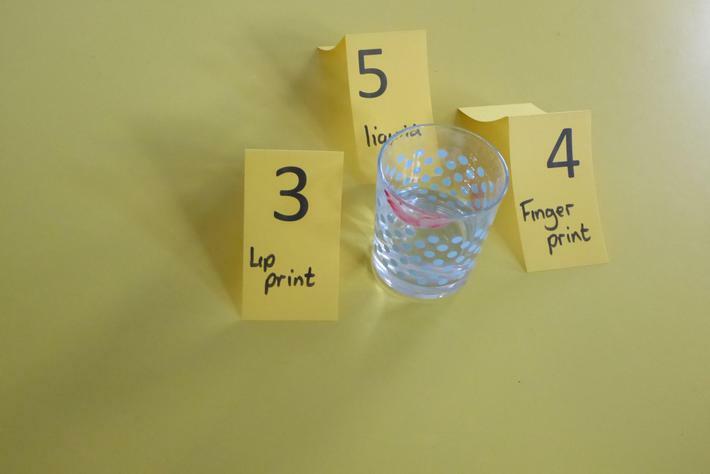 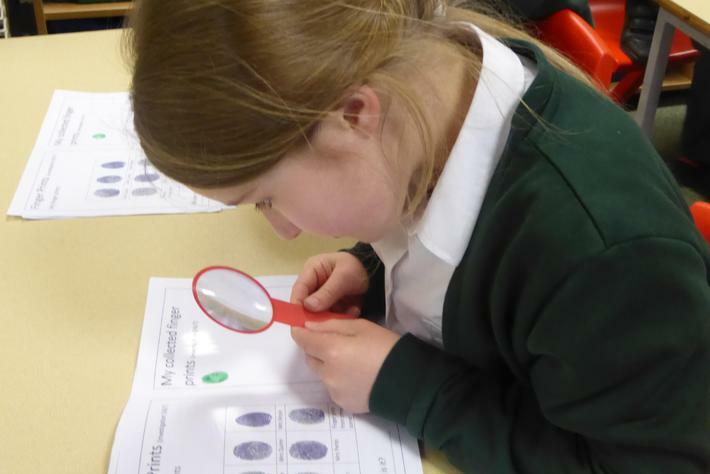 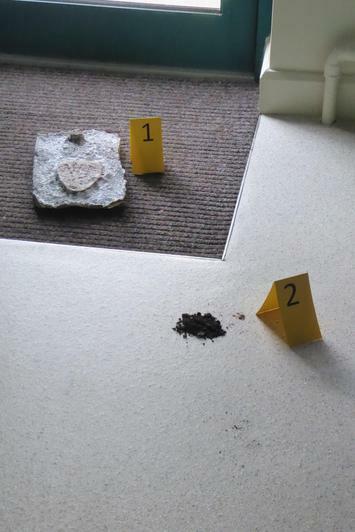 We had great fun during Science Week investigating forensic science. 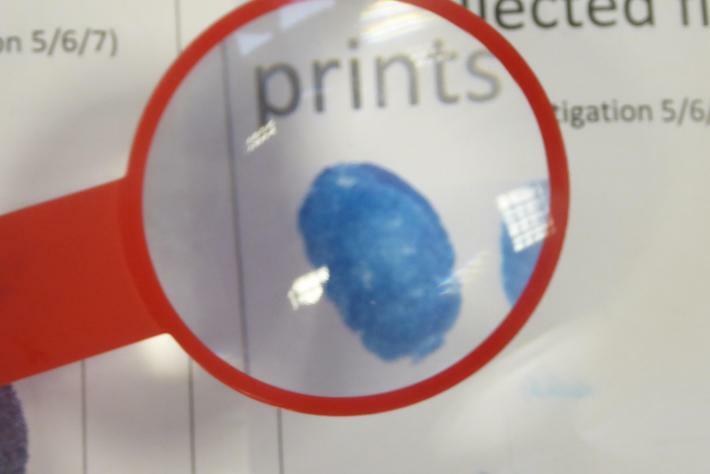 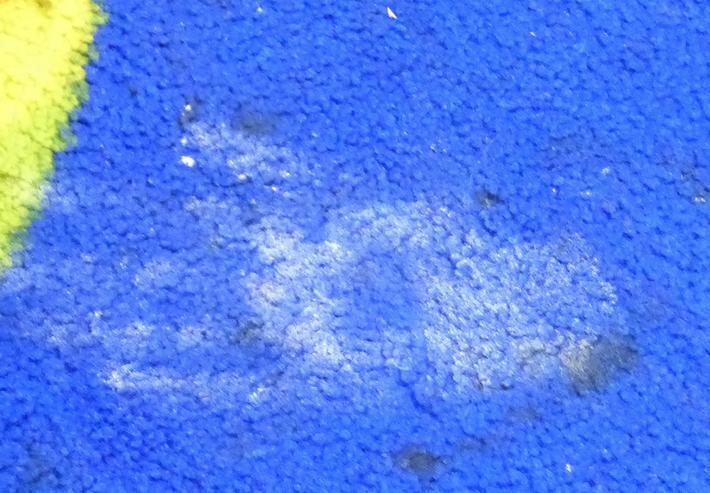 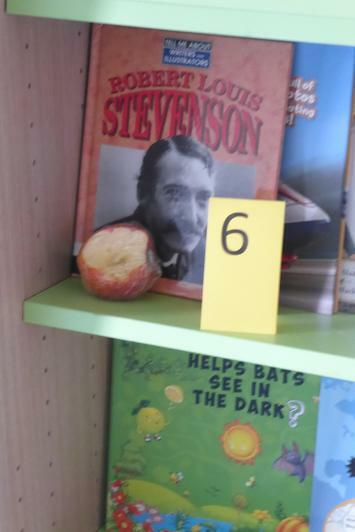 We looked at finger printing, lip printing, soil sampling and even got to investigate the Greenleas crime scene to find out who broke Sherlock Fidler's toe. 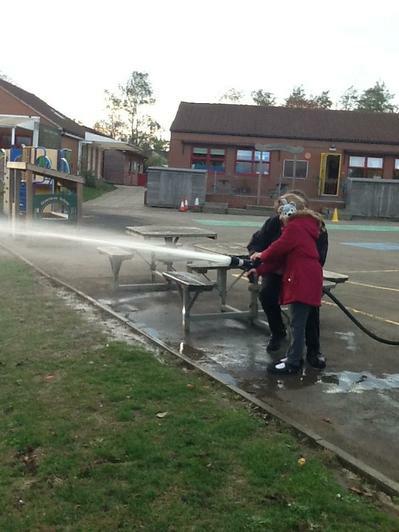 We had great fun on our Who Comes Out at Night? 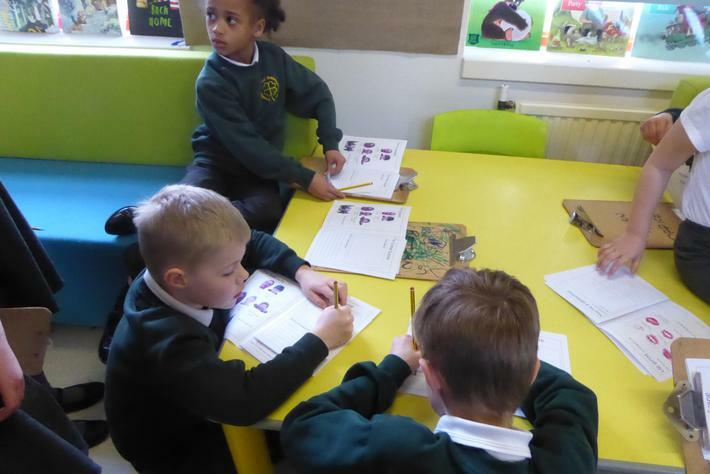 wow day learning all about Nocturnal Animals. 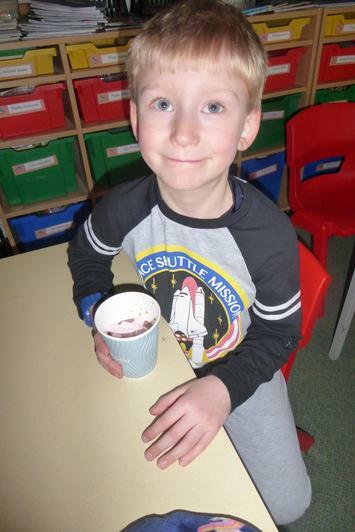 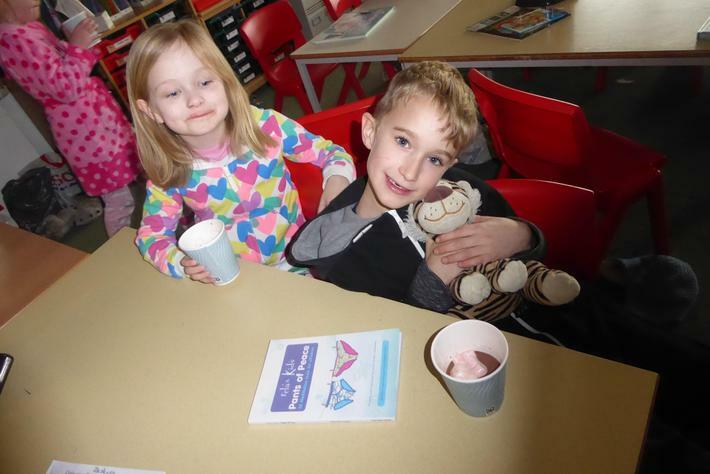 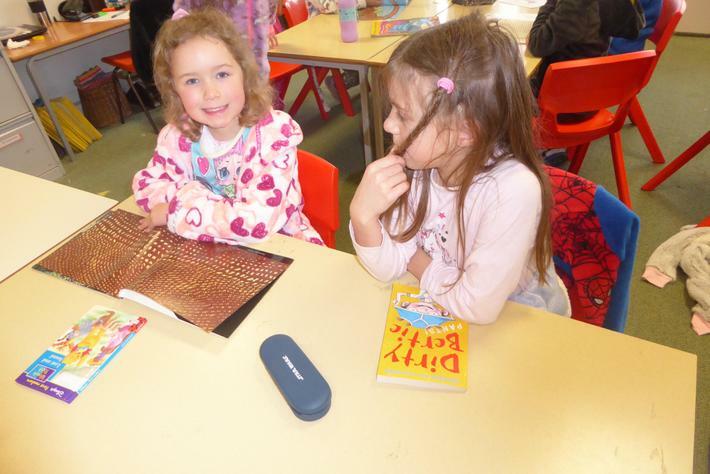 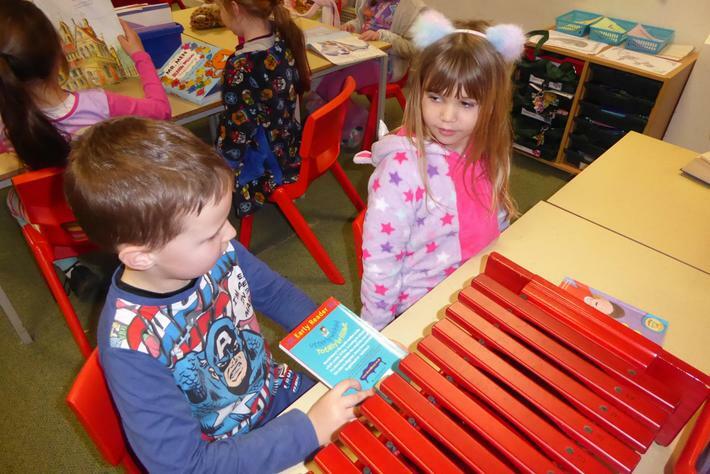 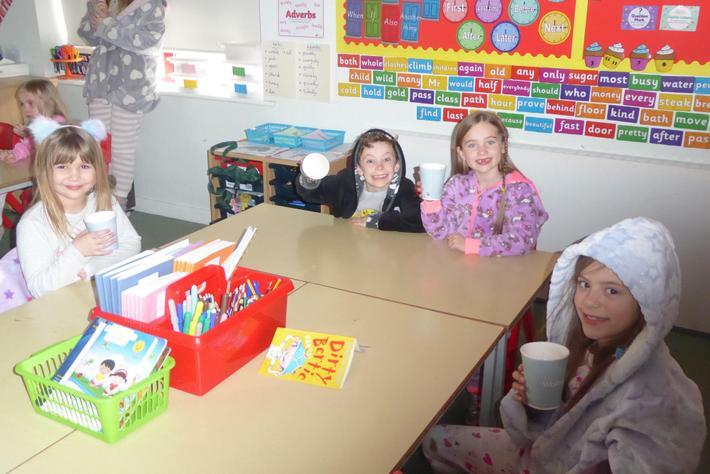 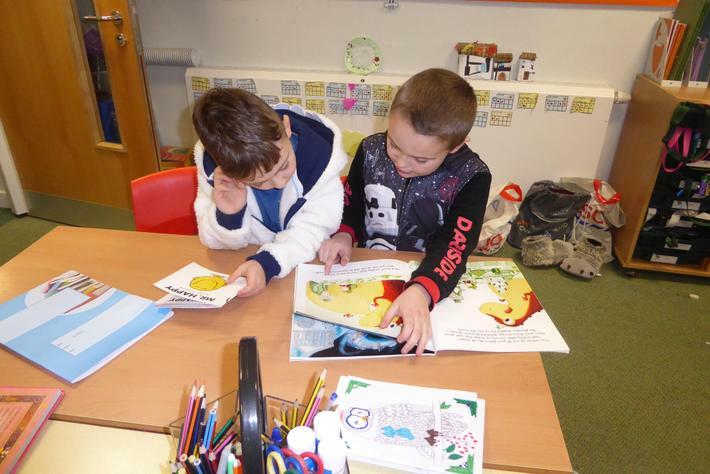 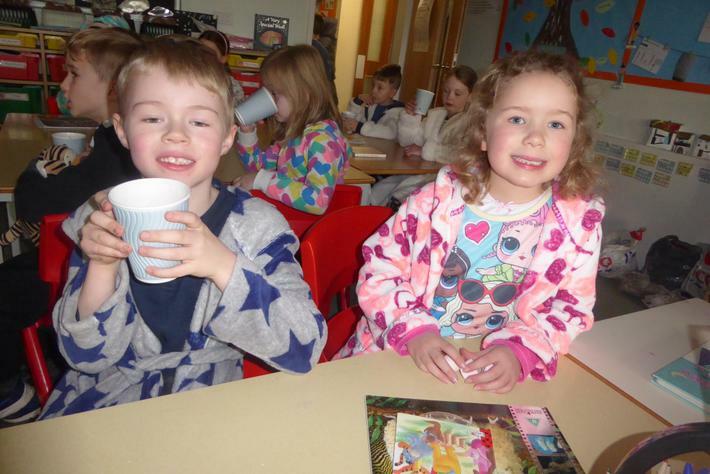 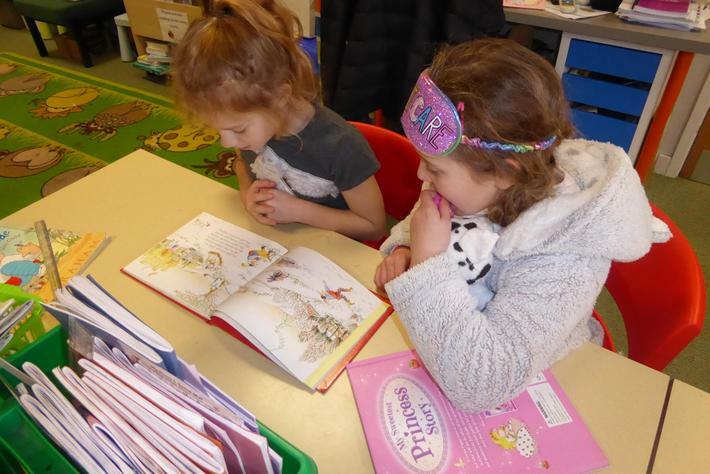 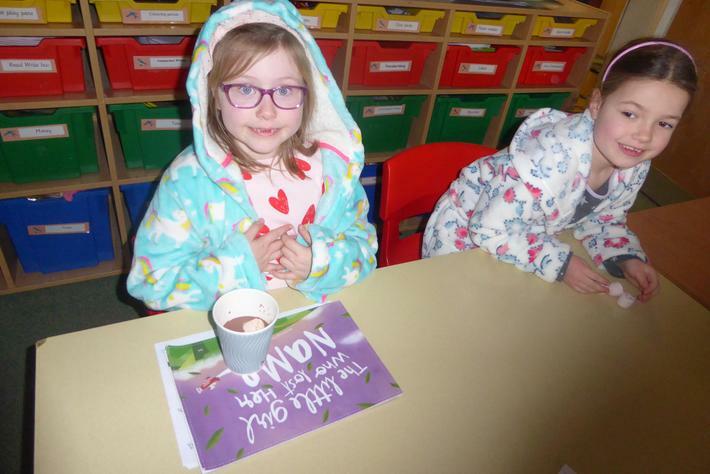 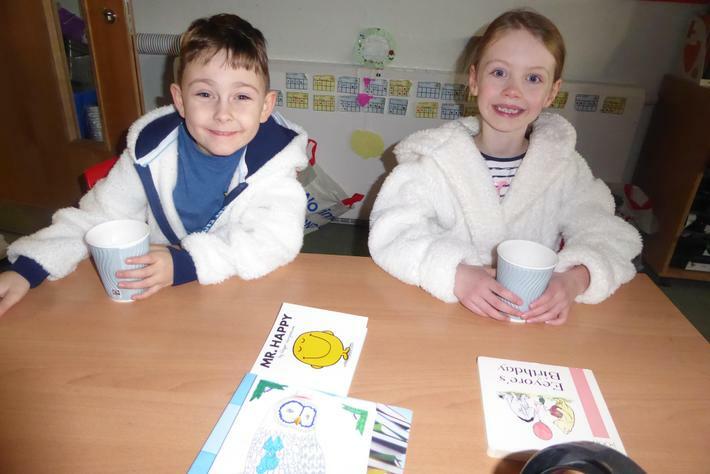 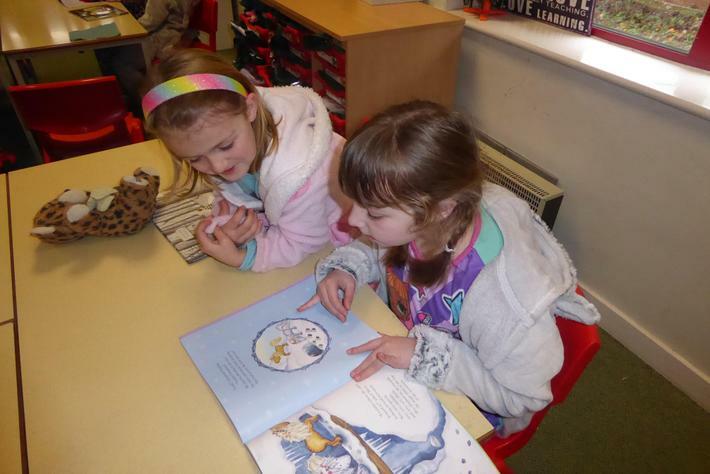 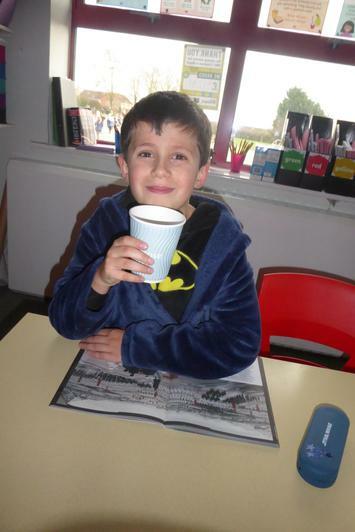 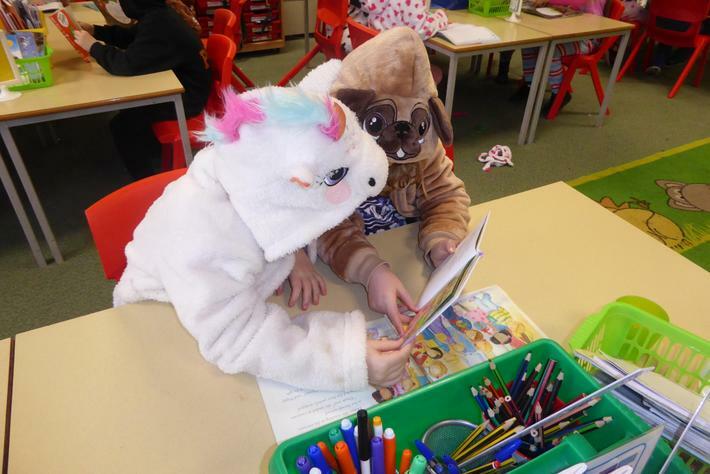 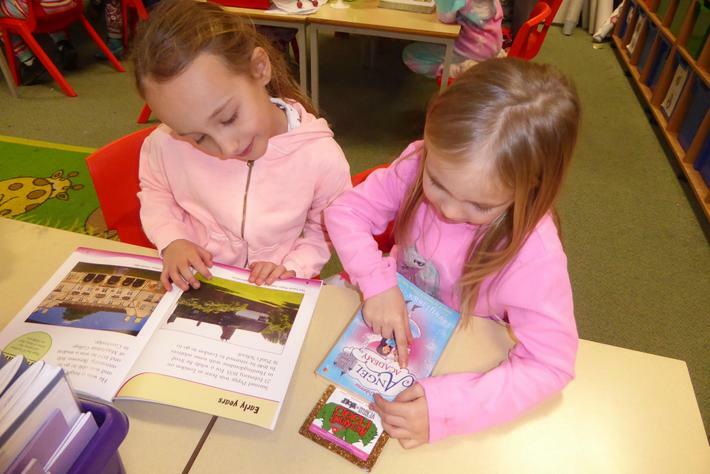 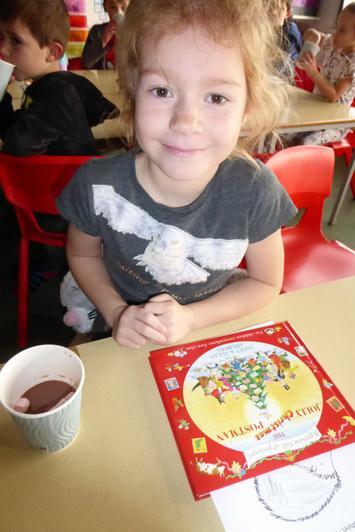 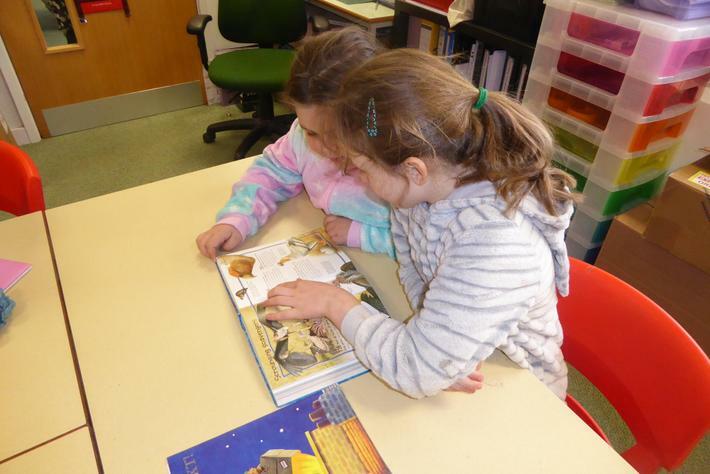 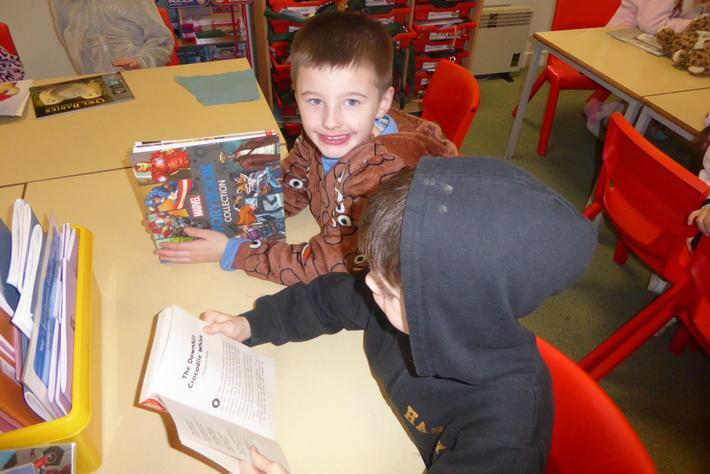 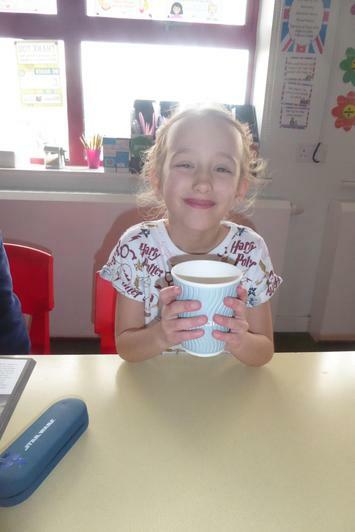 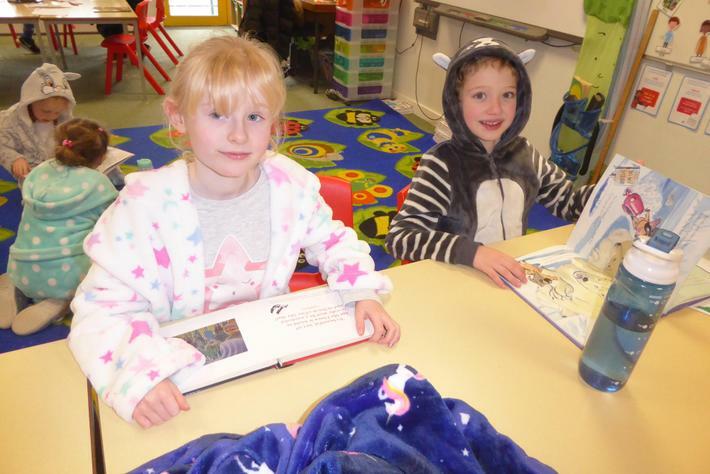 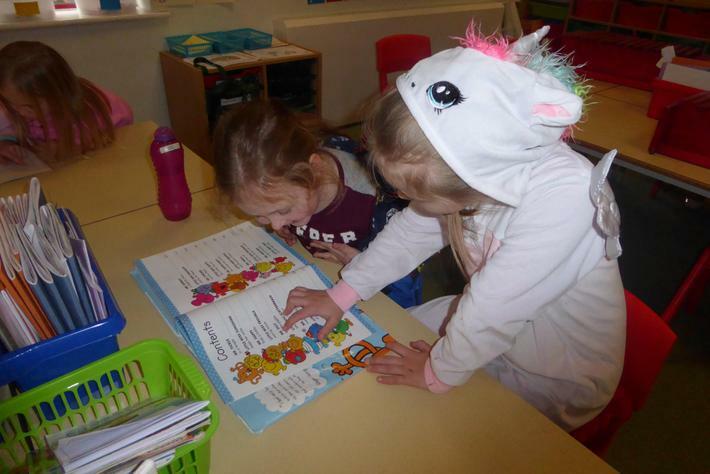 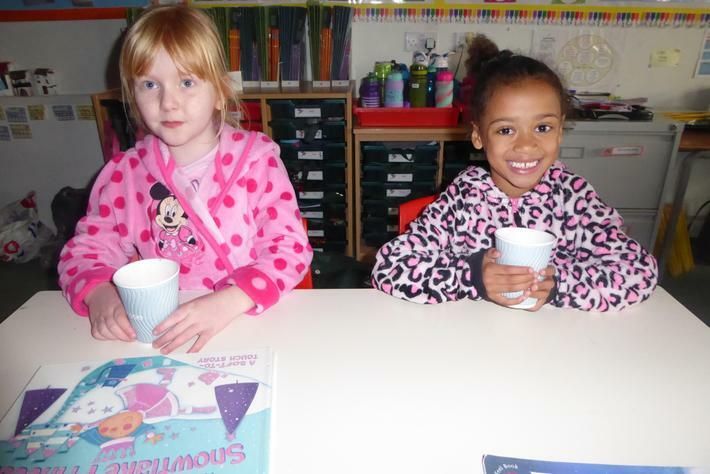 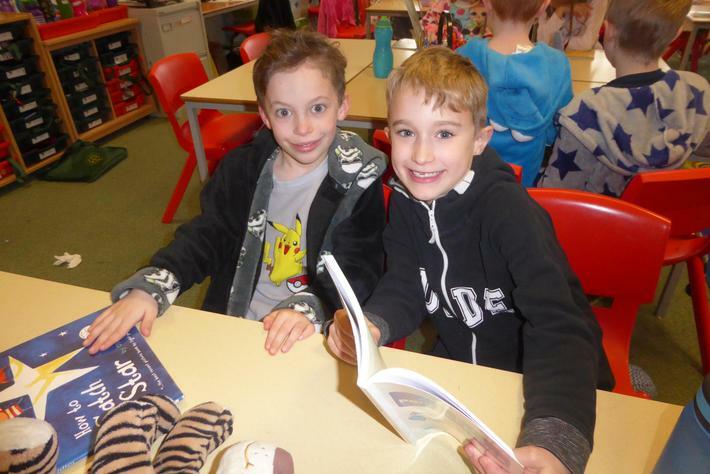 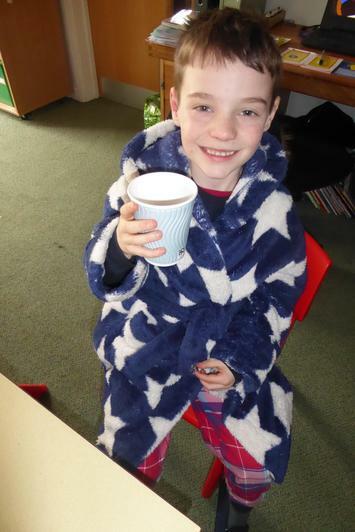 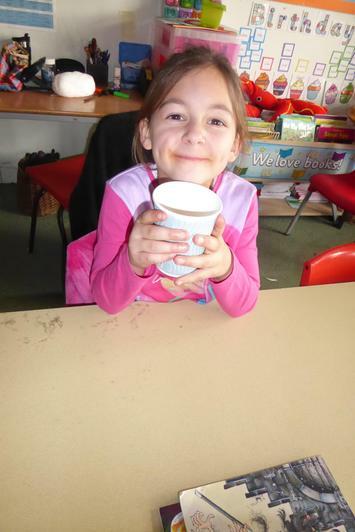 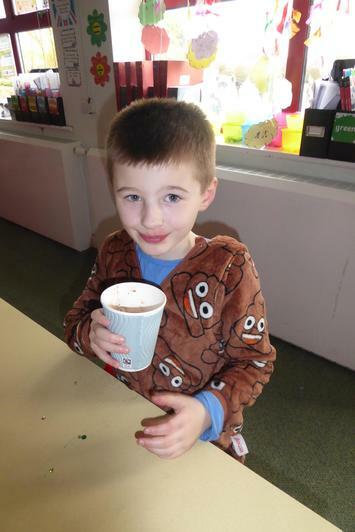 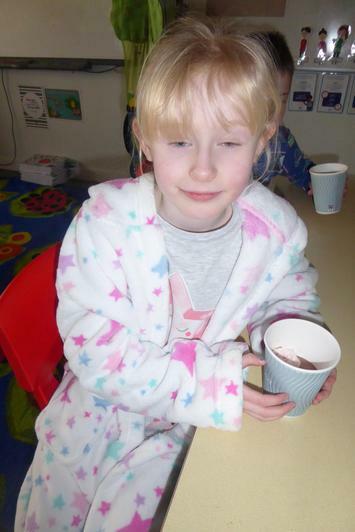 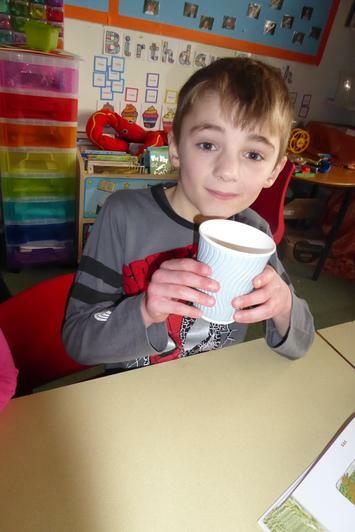 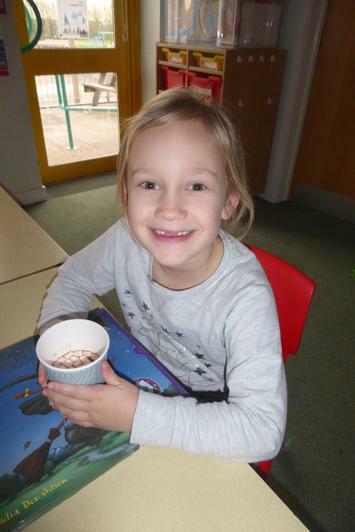 We paired up with Swallows to do some paired reading and enjoyed drinking our hot chocolate and marshmallows. 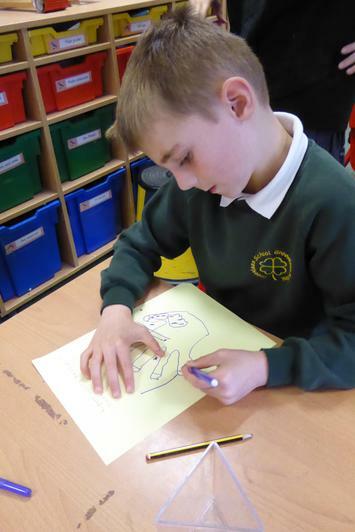 We also thought about what dreams we have and made our own dream catcher. 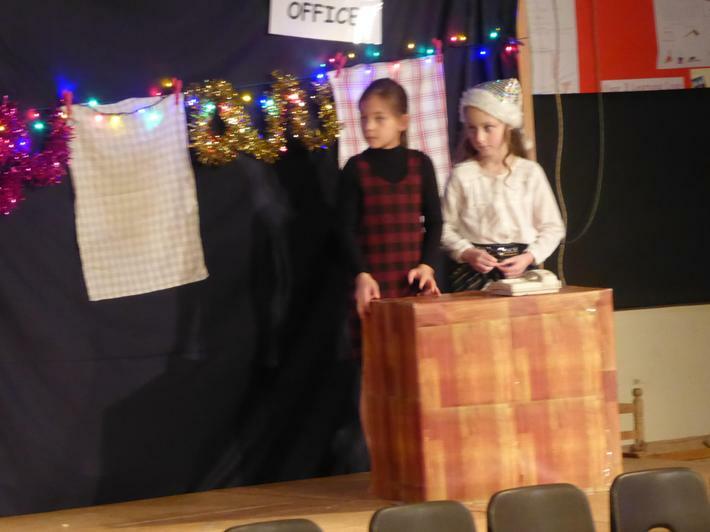 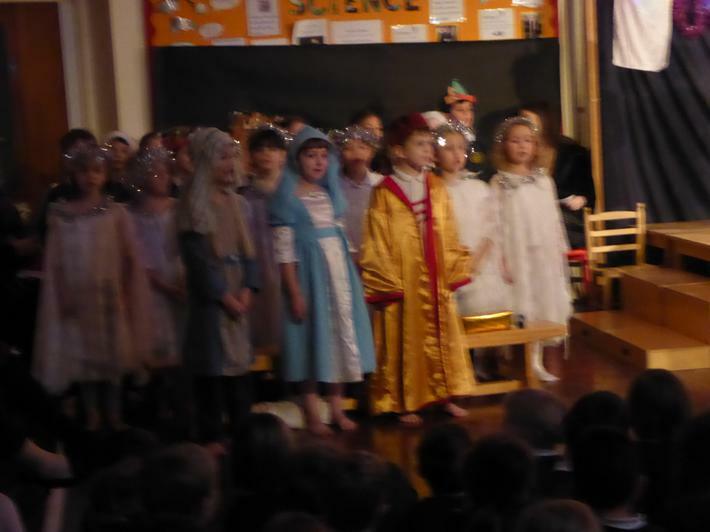 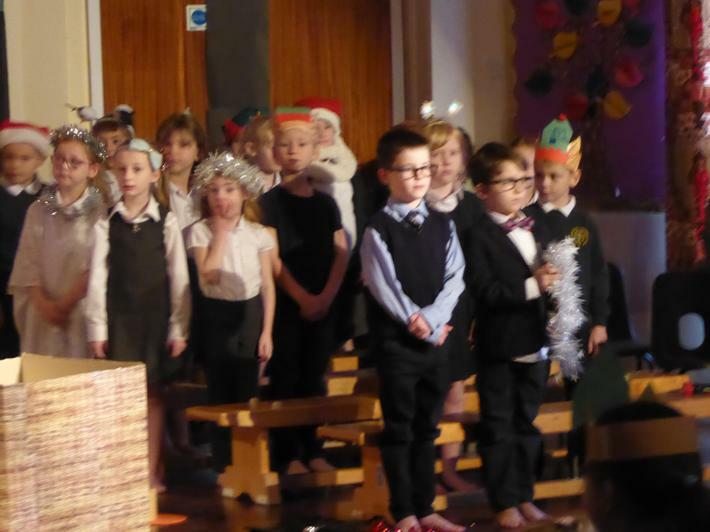 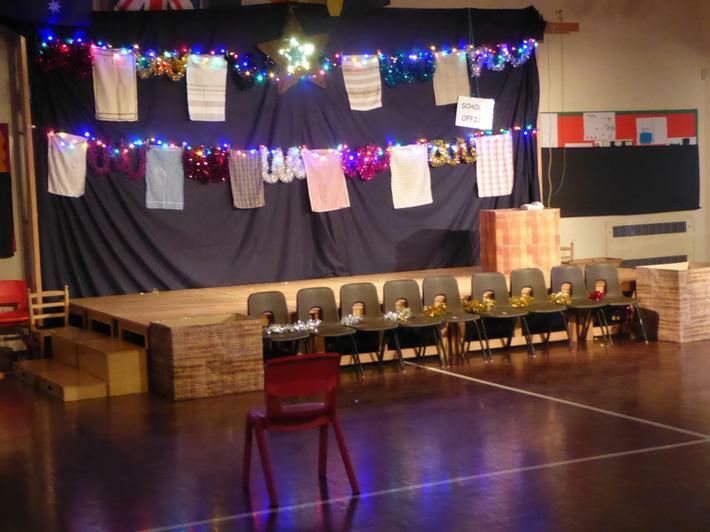 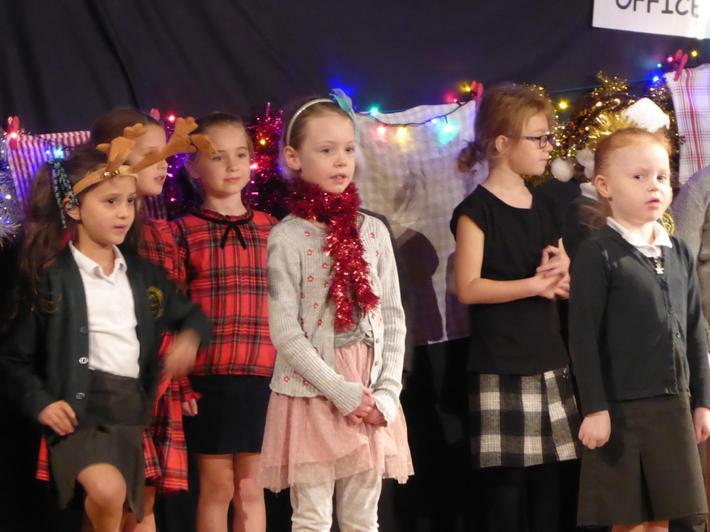 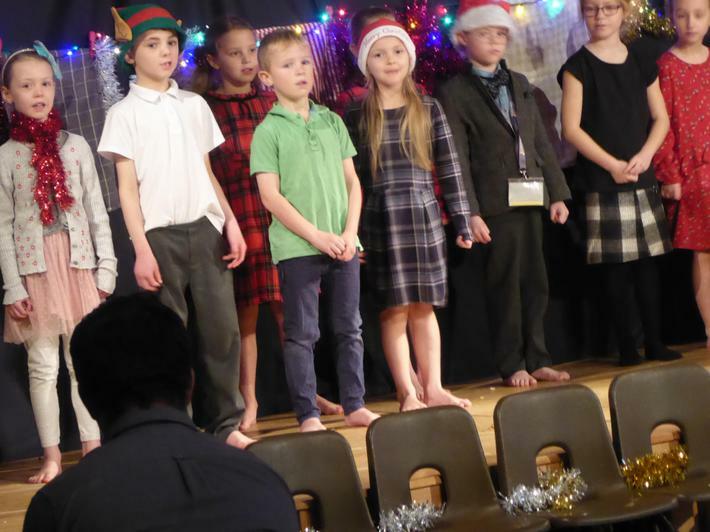 We had great fun performing our Christmas performance to our friends and family. 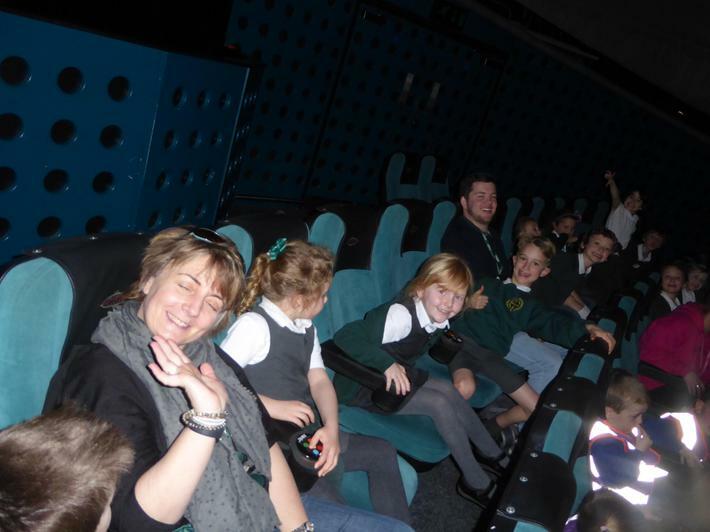 We hoped you enjoyed it and had a great time. 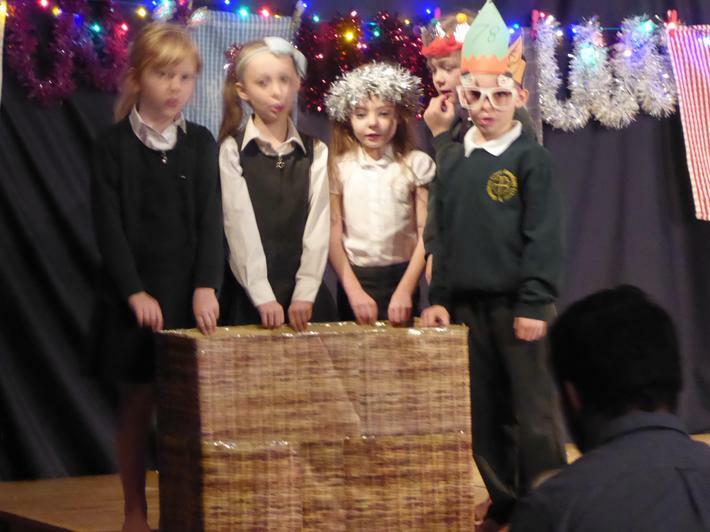 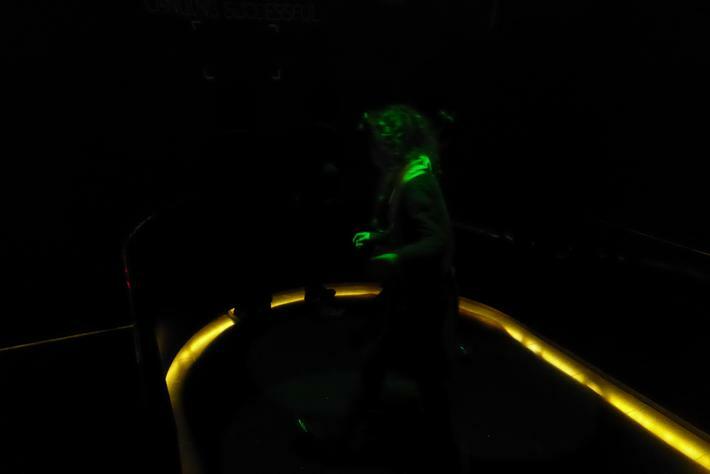 Have a look at some photos of our performance below. 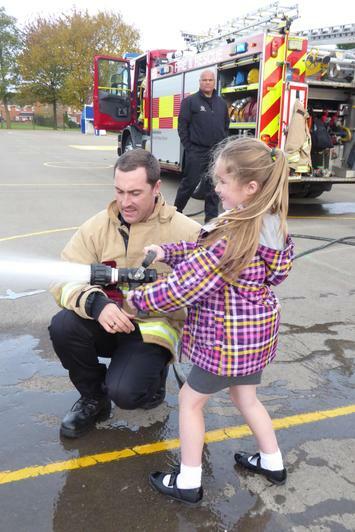 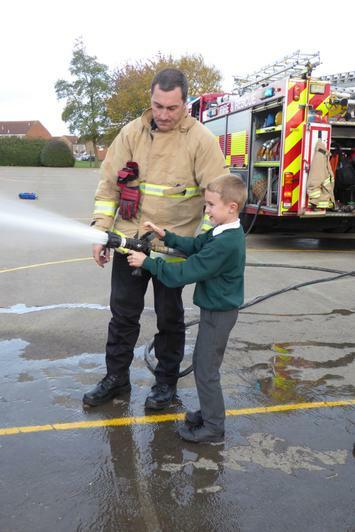 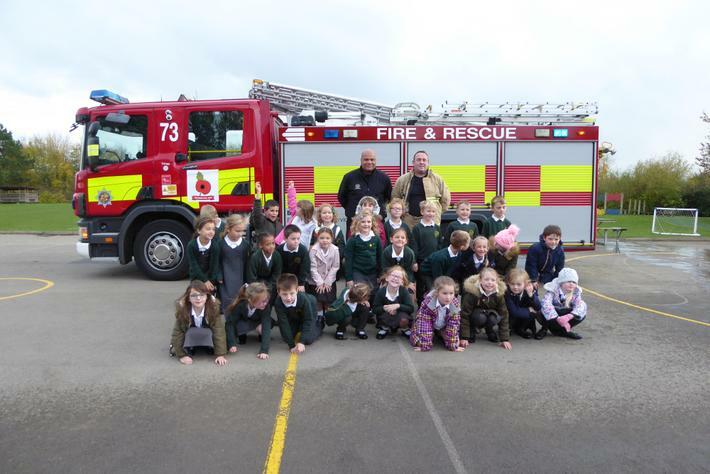 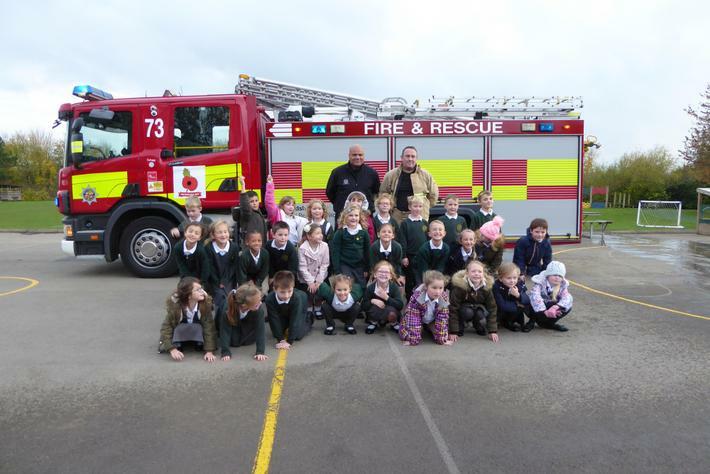 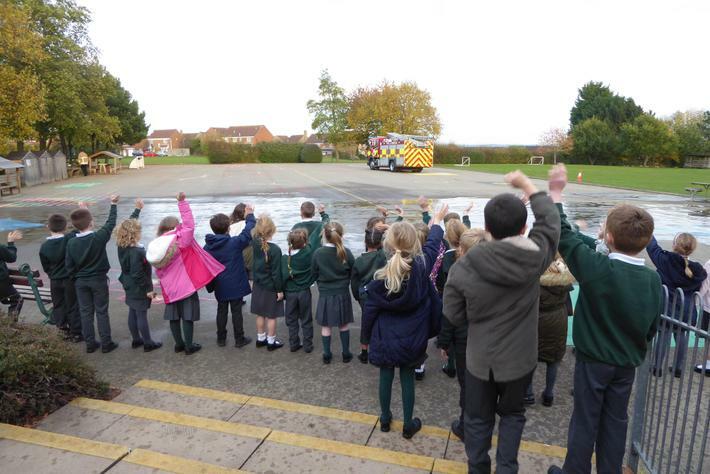 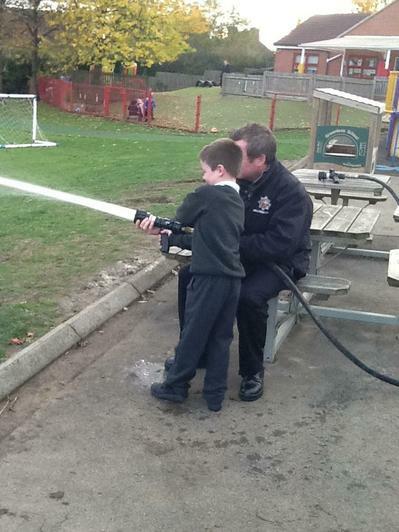 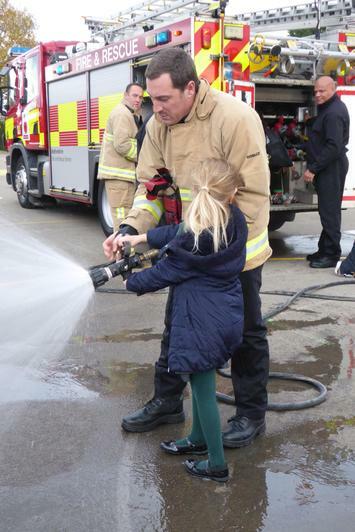 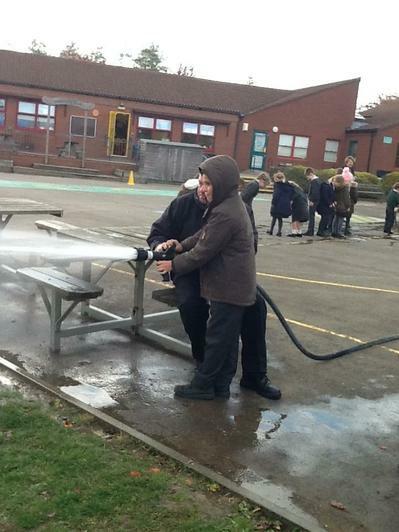 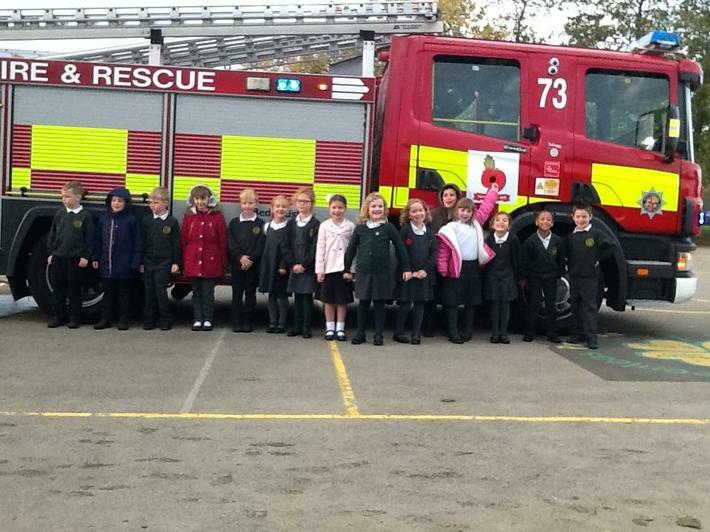 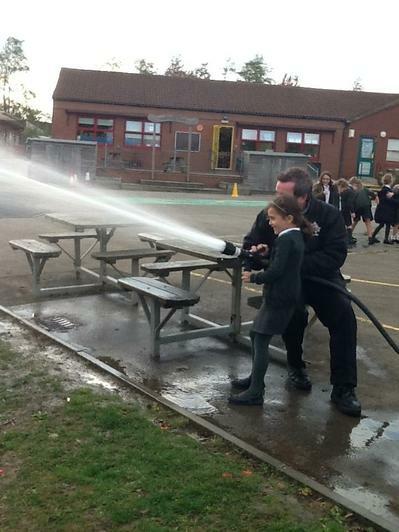 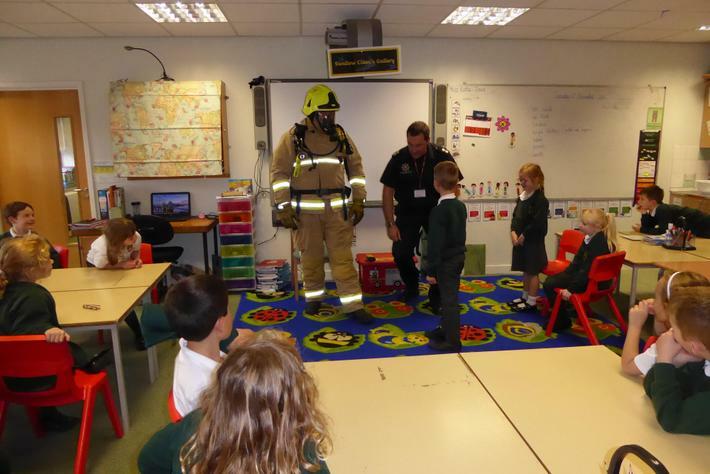 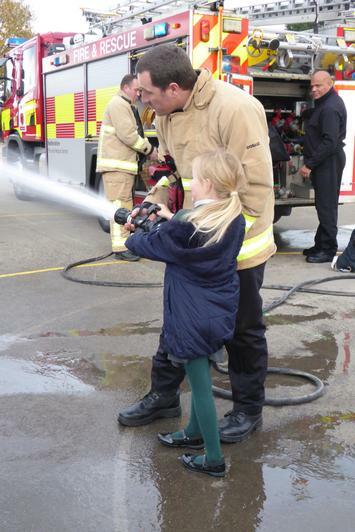 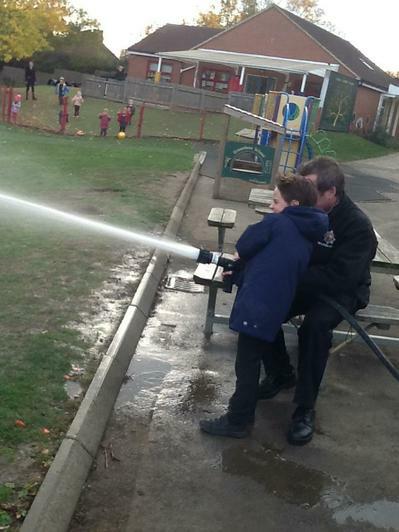 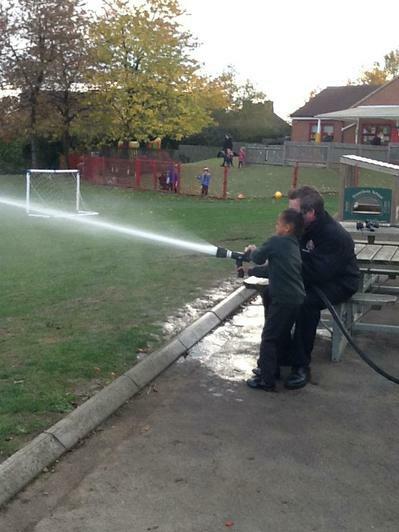 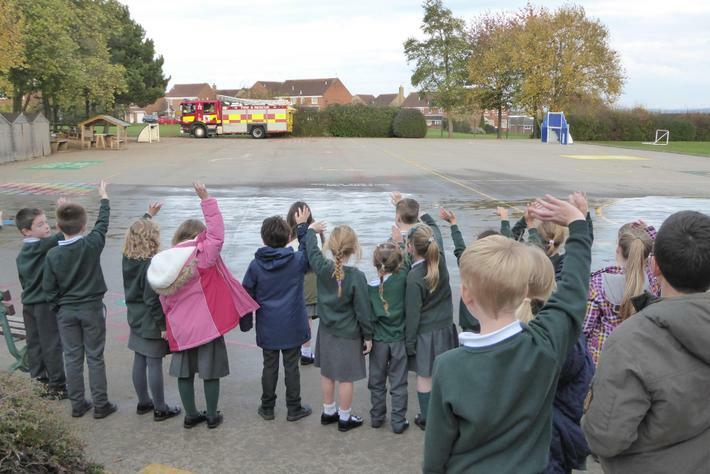 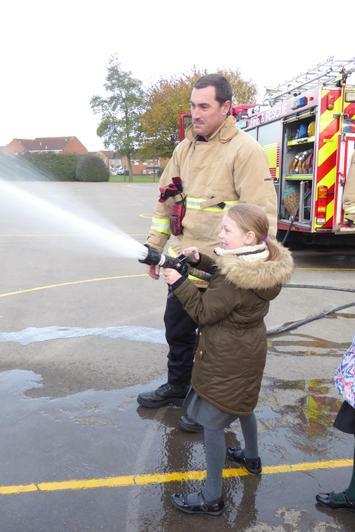 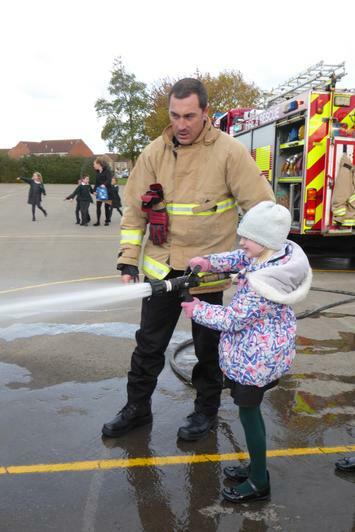 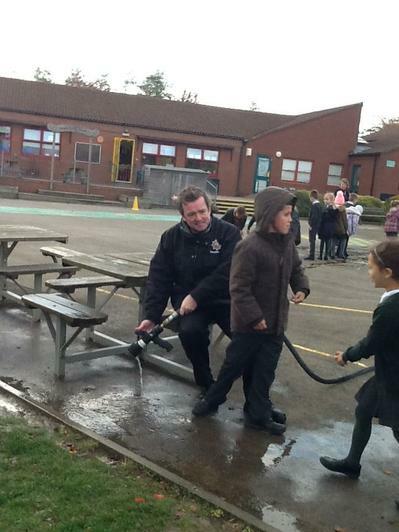 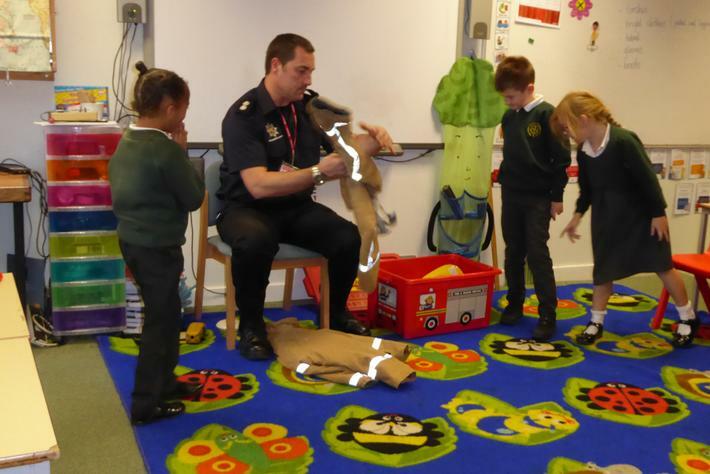 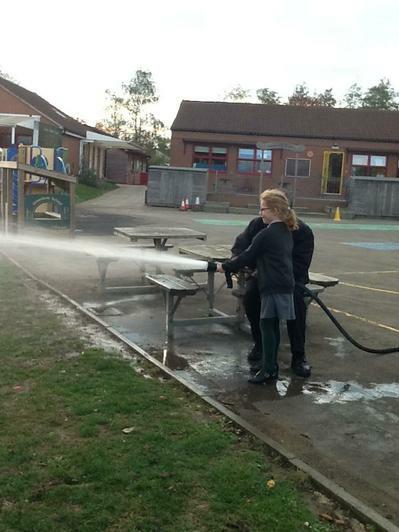 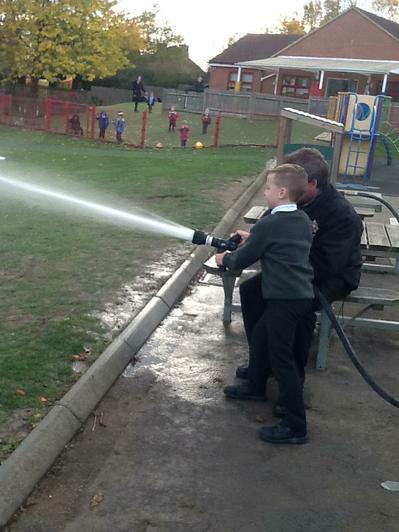 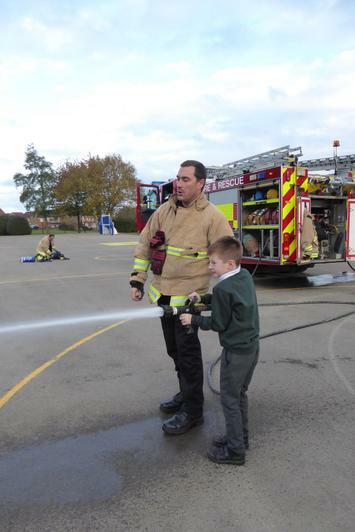 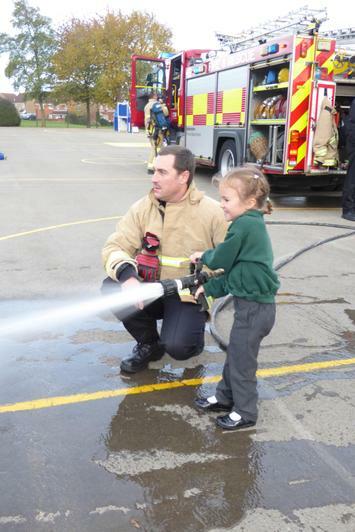 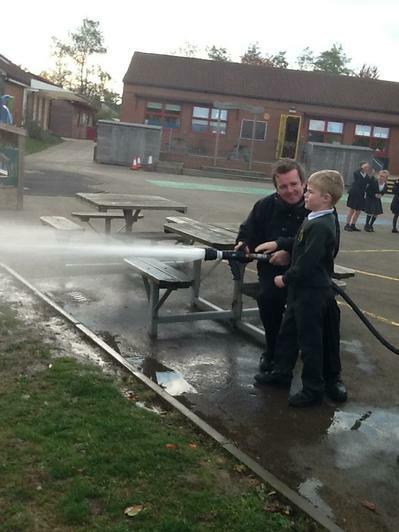 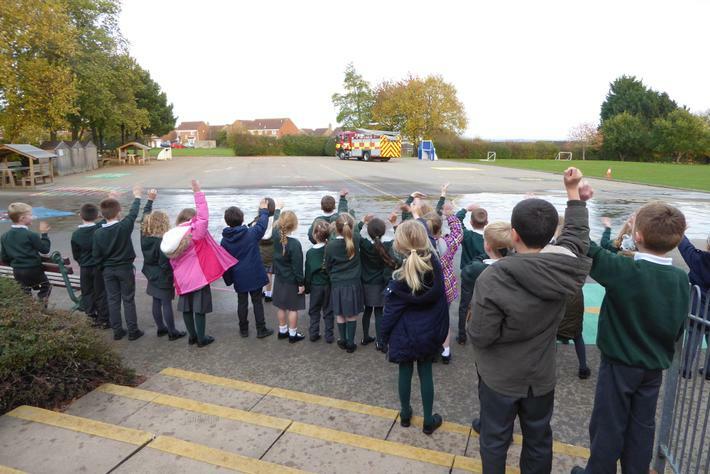 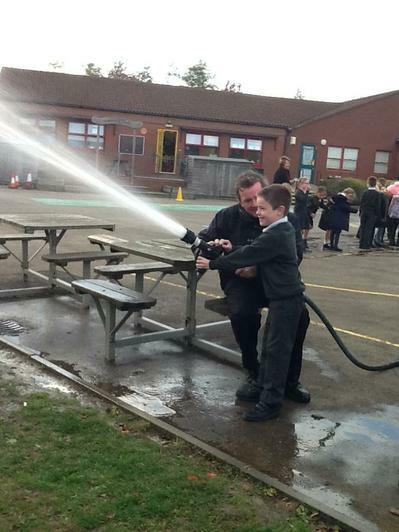 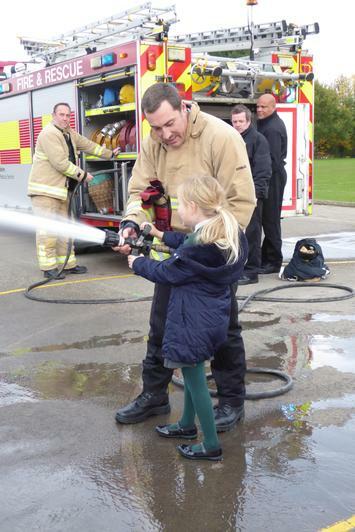 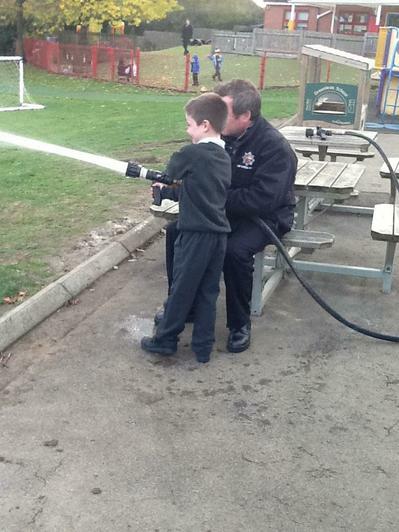 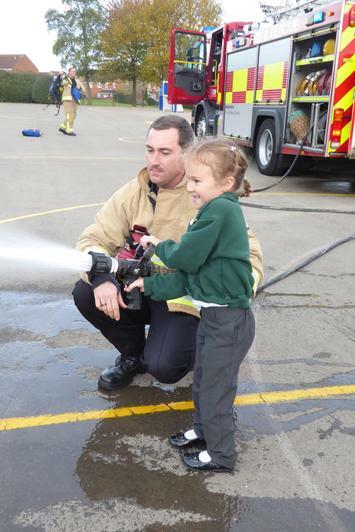 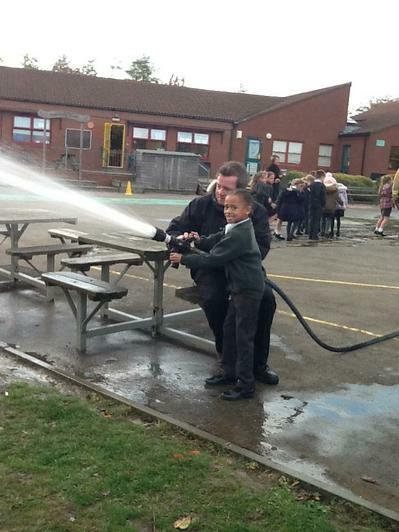 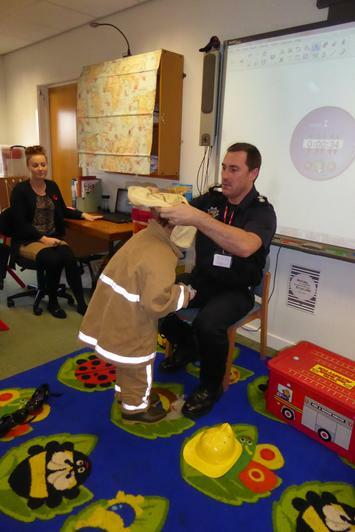 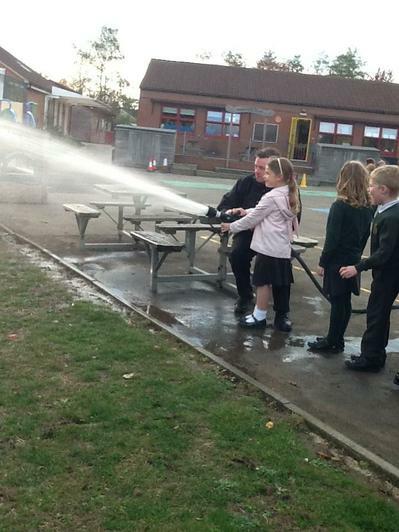 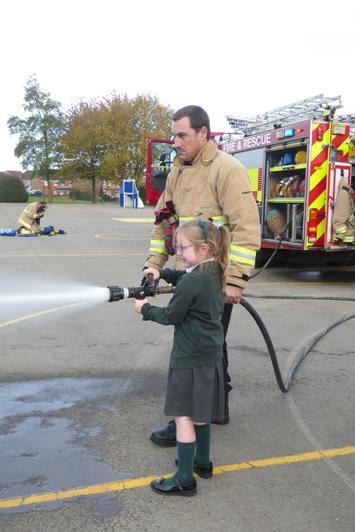 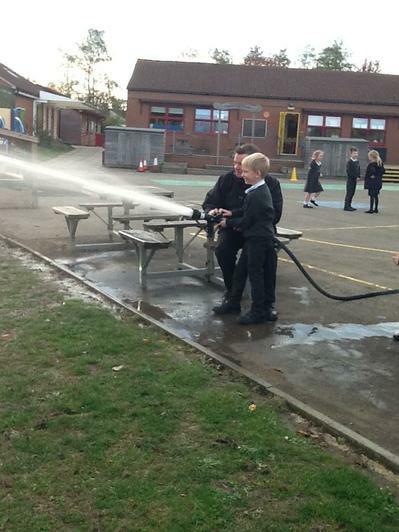 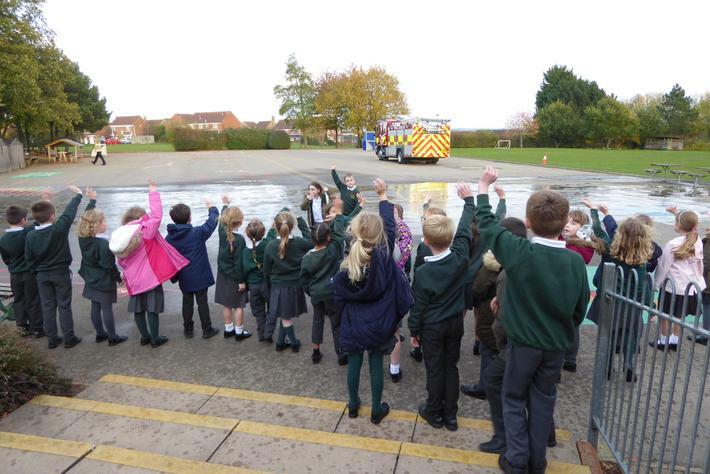 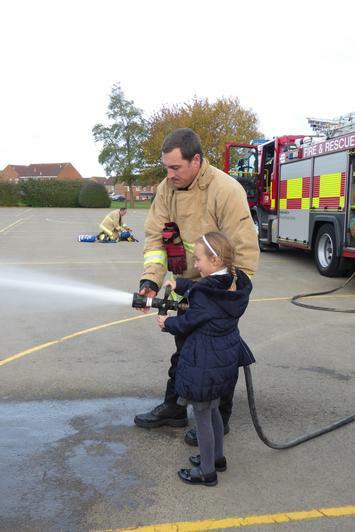 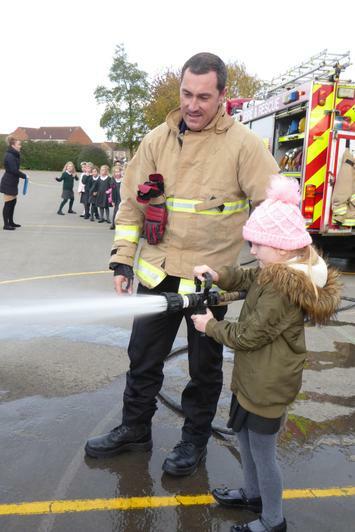 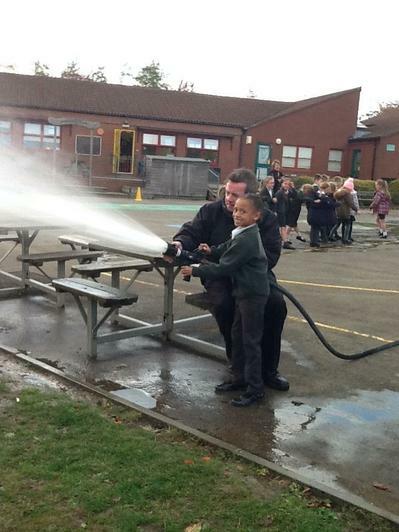 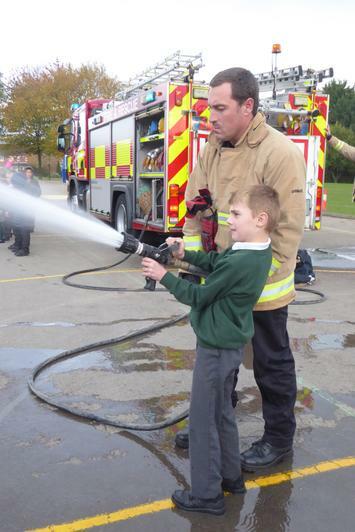 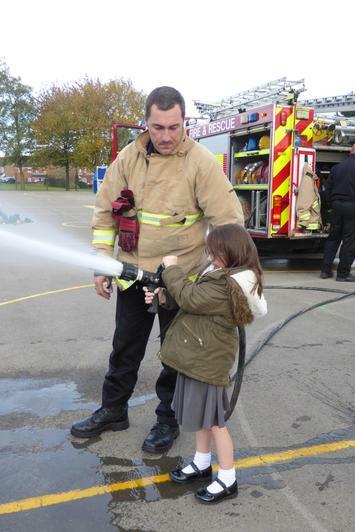 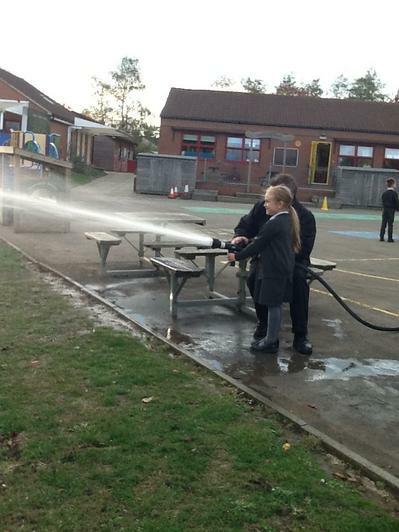 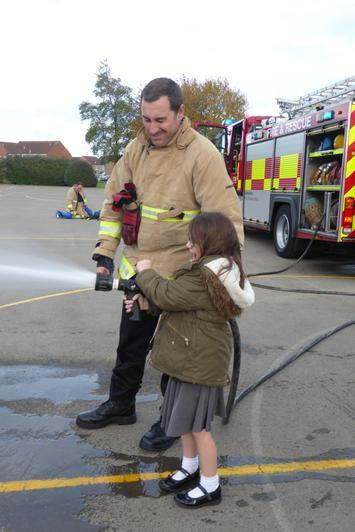 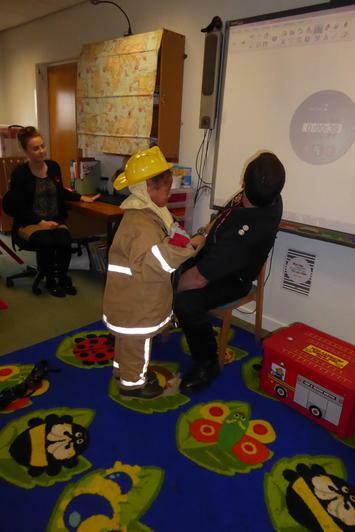 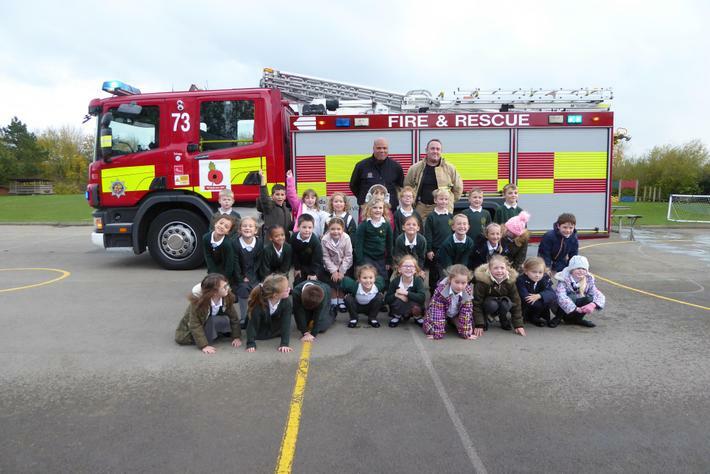 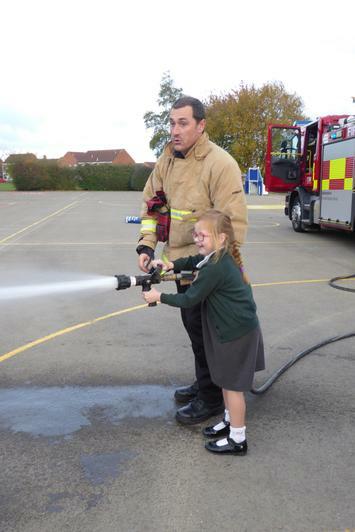 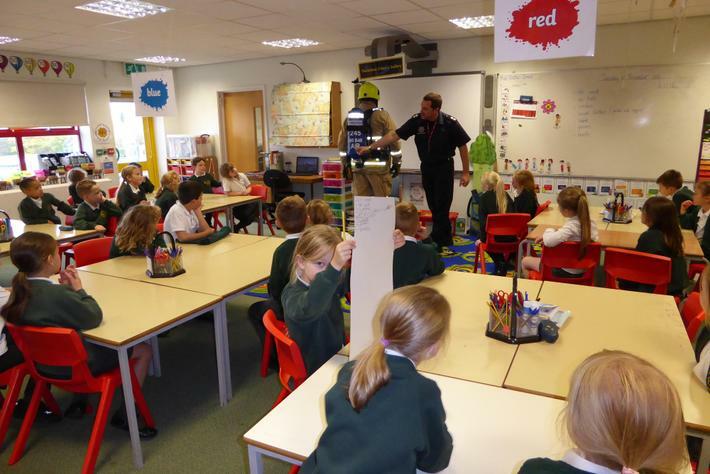 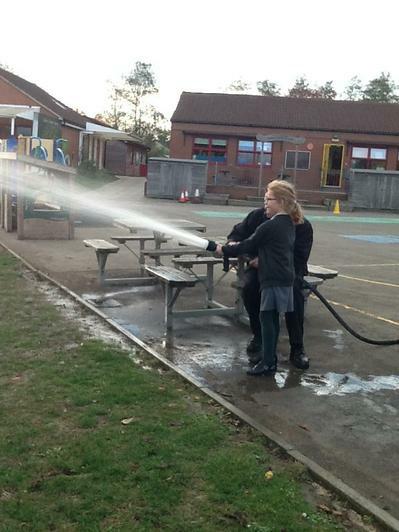 We had a super time with the Fire Service from Leighton Buzzard Fire Station. 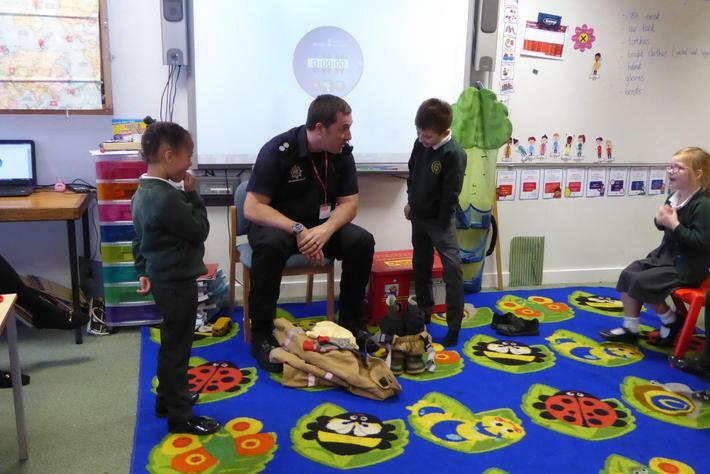 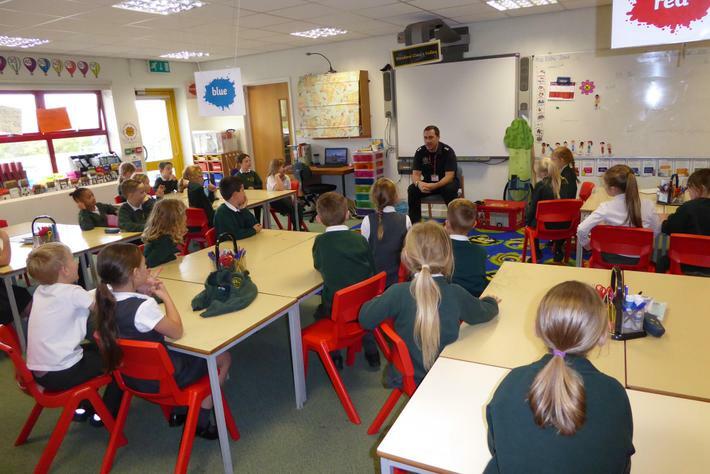 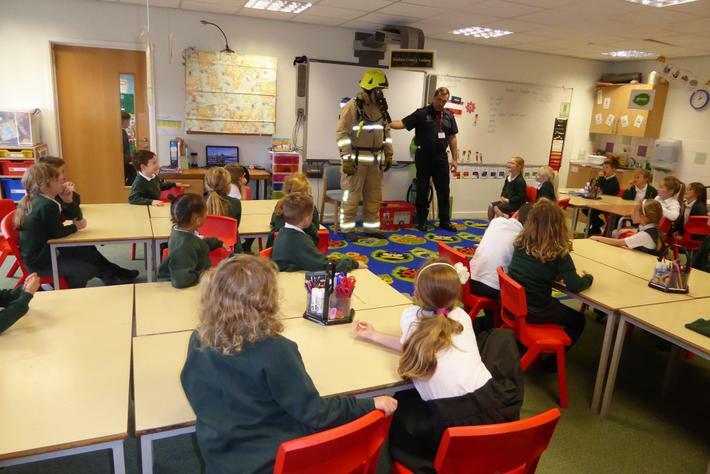 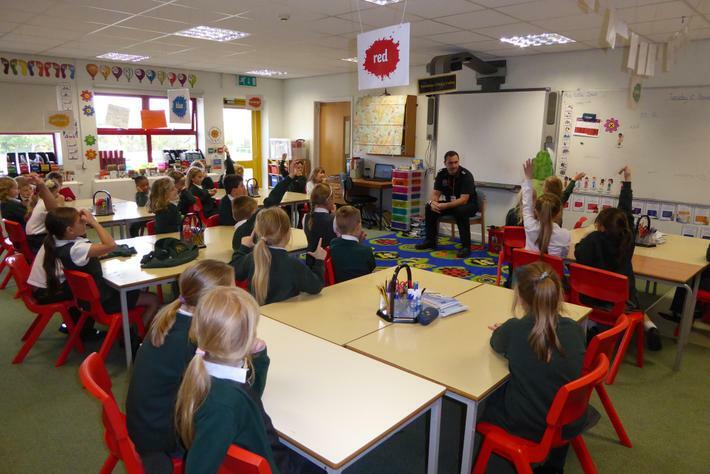 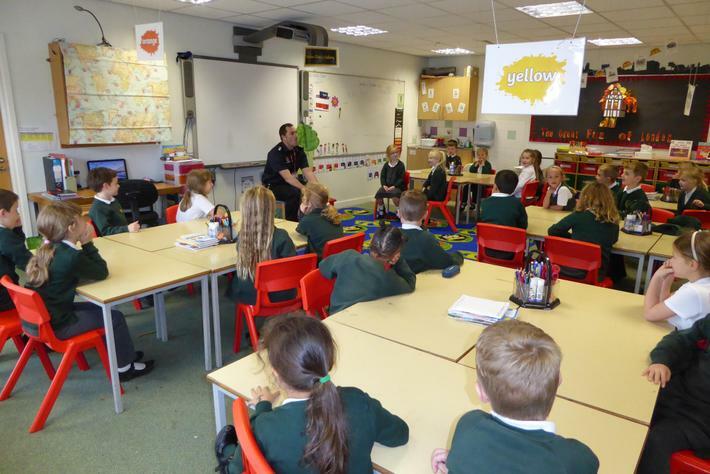 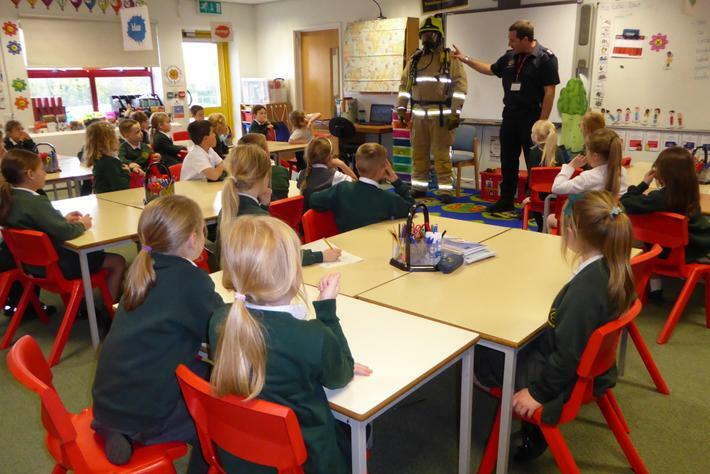 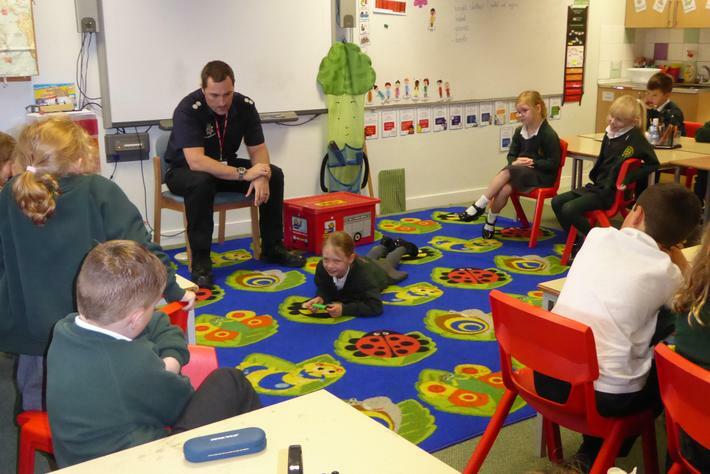 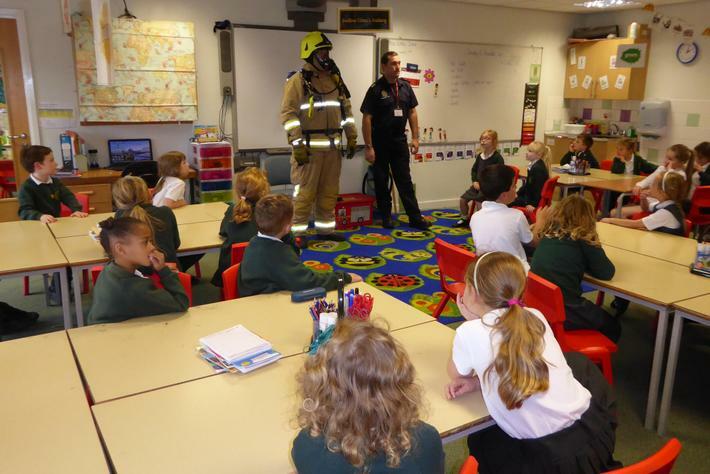 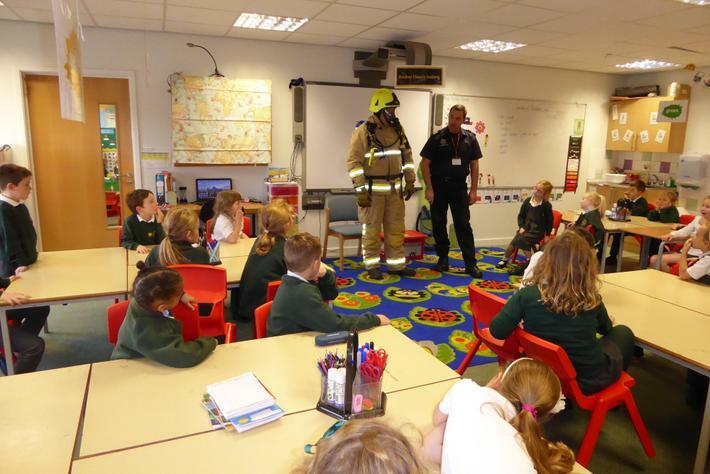 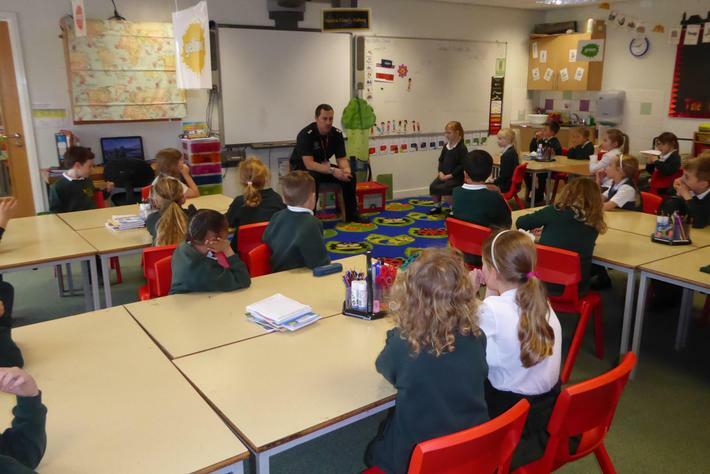 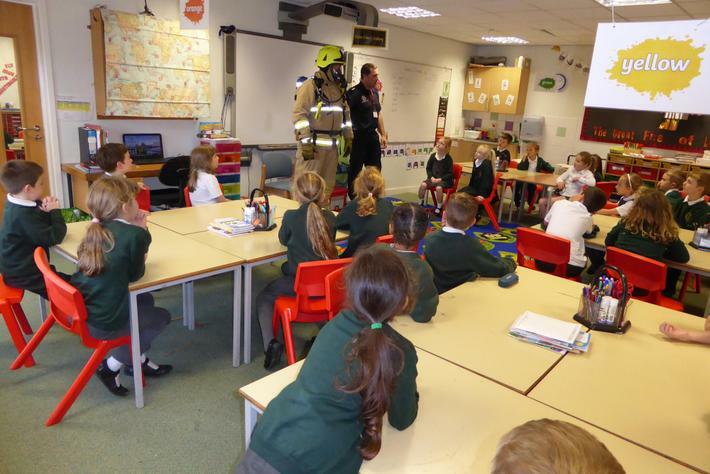 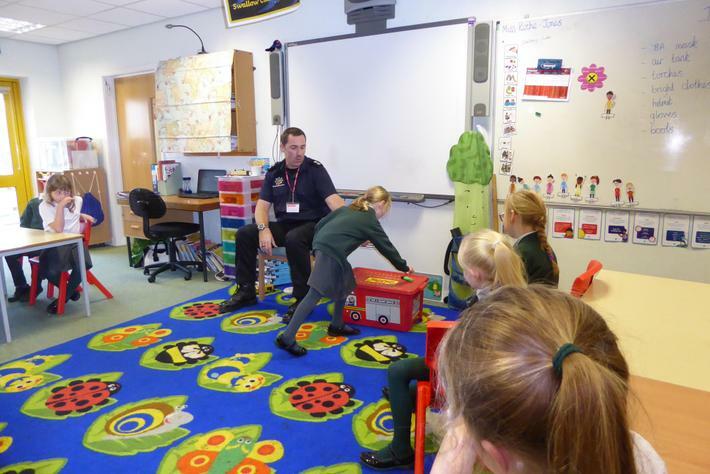 They spoke to use about fire safety and how to keep our homes safe. 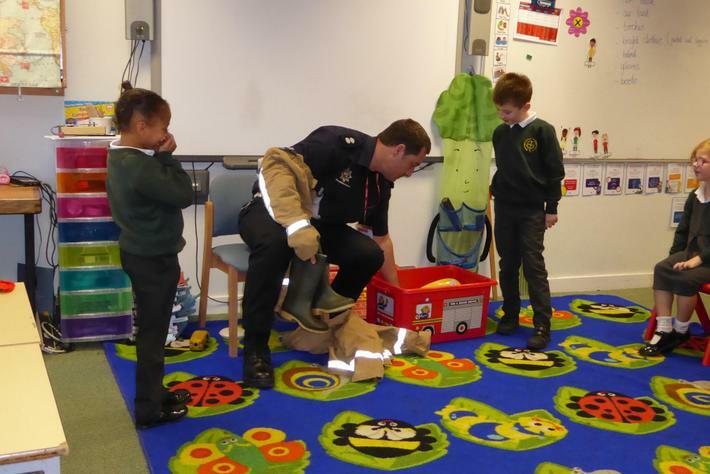 They also showed us a smoke alarm and their fire rescue uniform that they use when putting out fires or rescuing people in different situations. 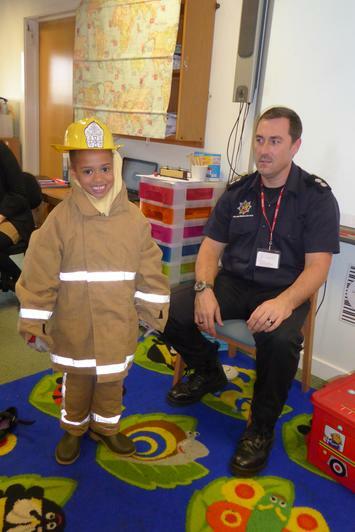 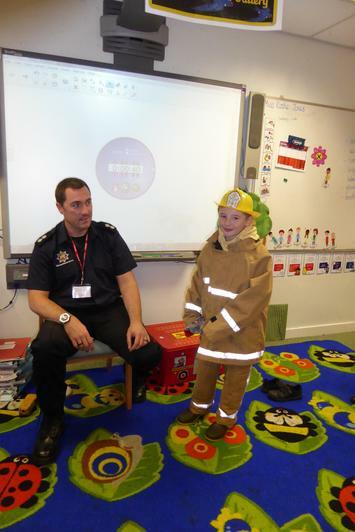 We also had a competition to see who could get dressed quickest into a fire fighters uniform - it was girls vs. boys. 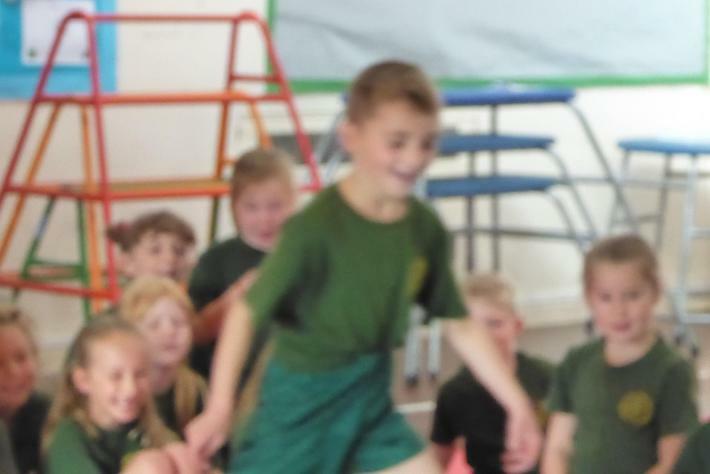 The girls won... but only by 1 second. 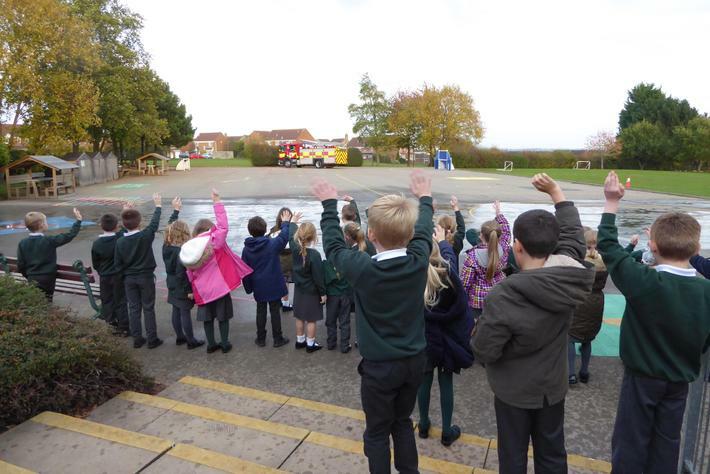 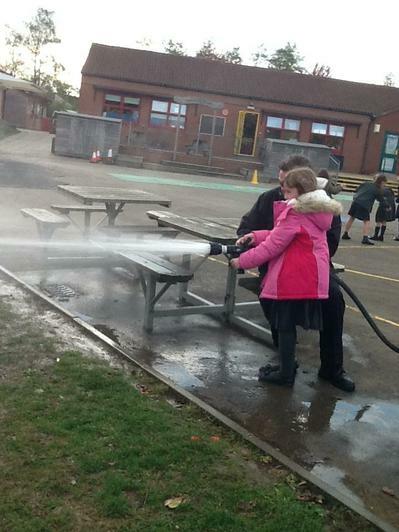 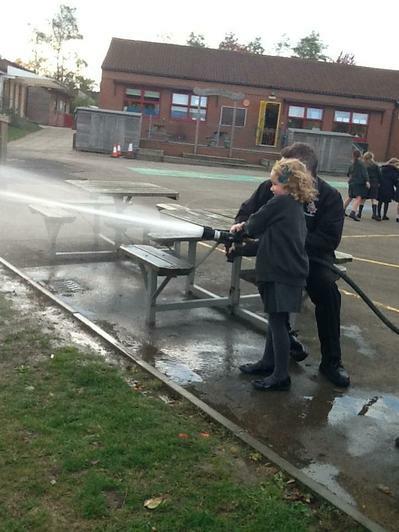 Before the Fire Service left we got to go outside and look at the fire engine and everybody had a turn at spraying the hose. 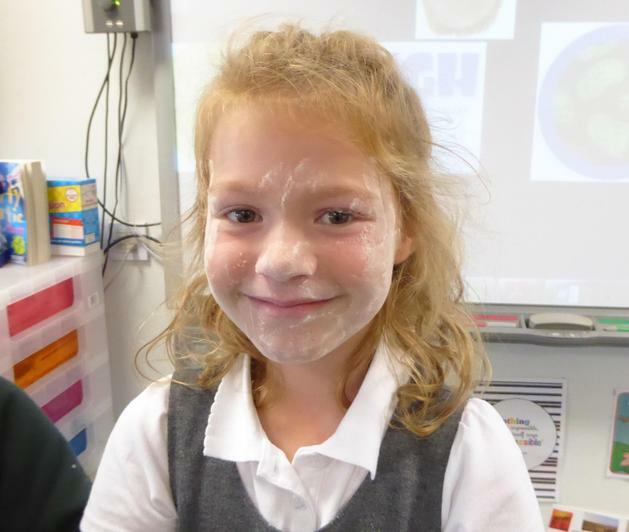 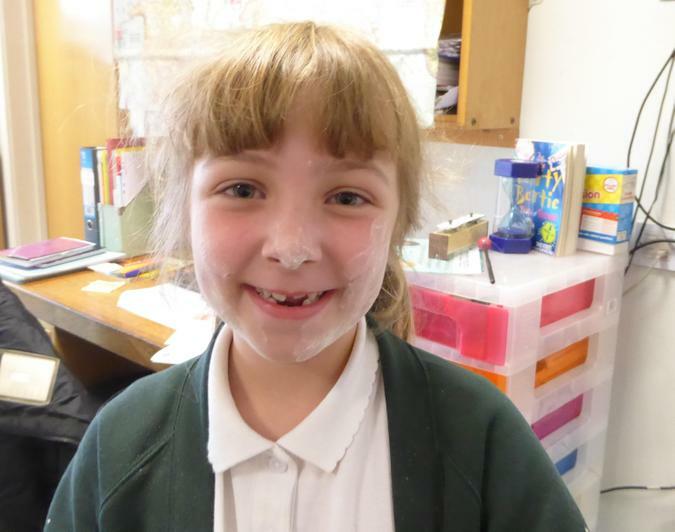 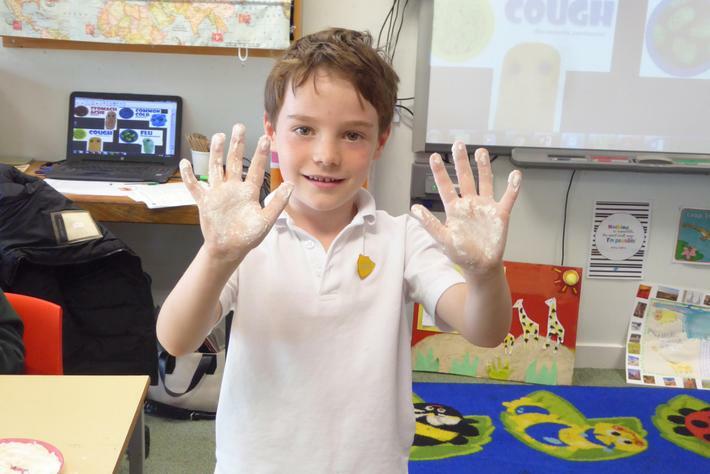 In Science we have been looking at how to wash our hands properly and have good hygiene so that germs do not spread and we don't get ill. Today we did an experiment where we used flour as the germs so we could see how easily they spread. 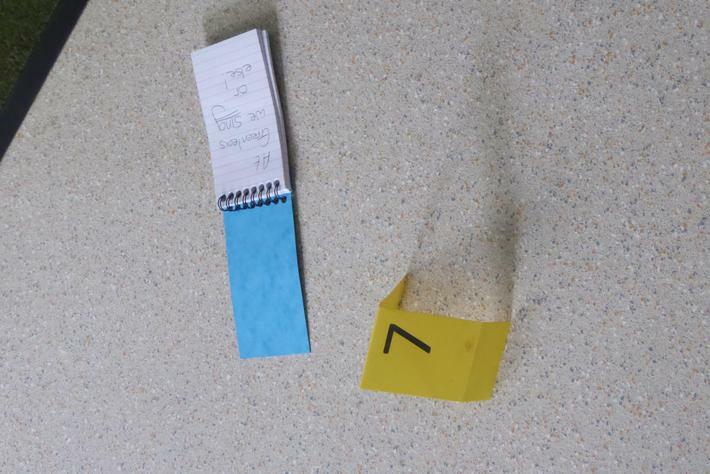 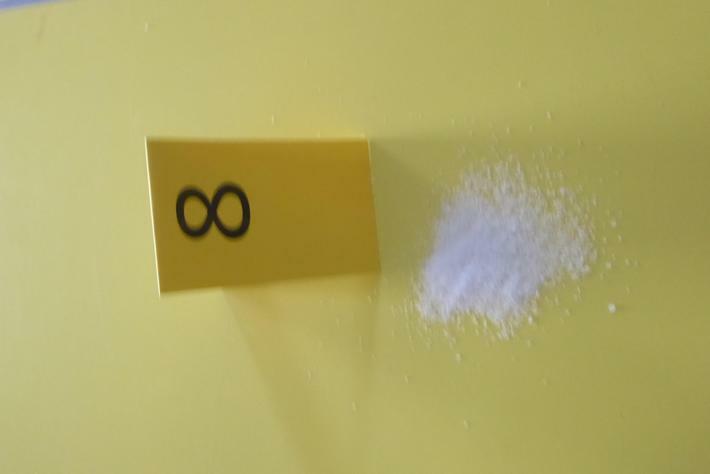 It ended up all over our books, on door handles, on other people and even we found them on our clothes. 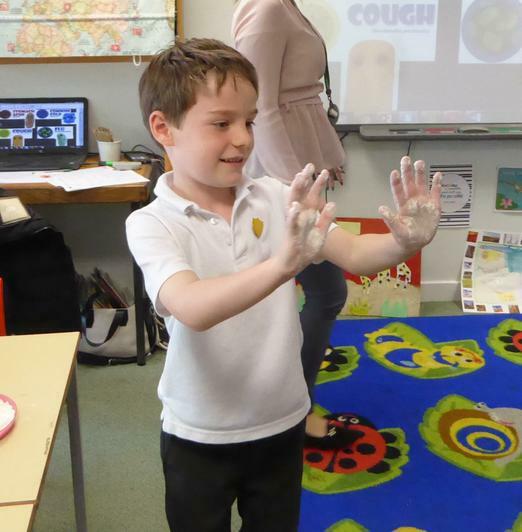 It showed us how easily germs can spread. 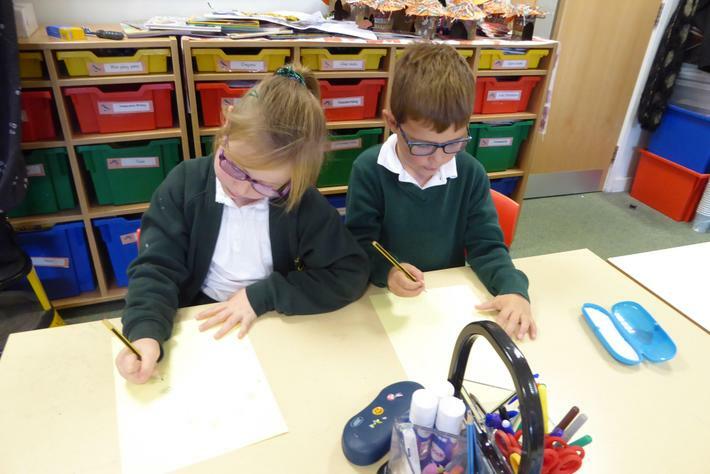 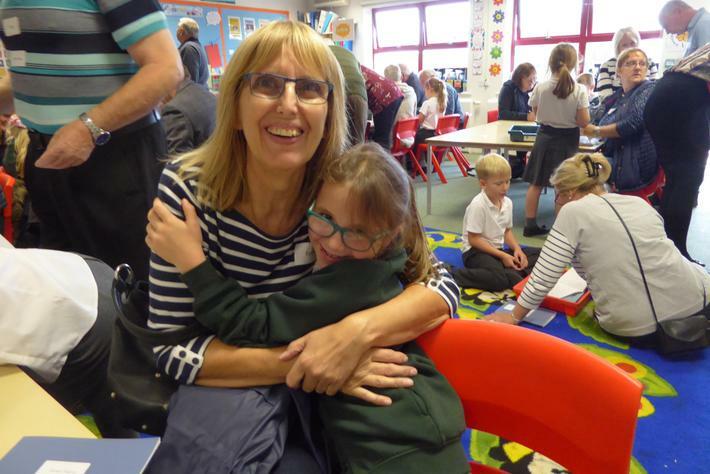 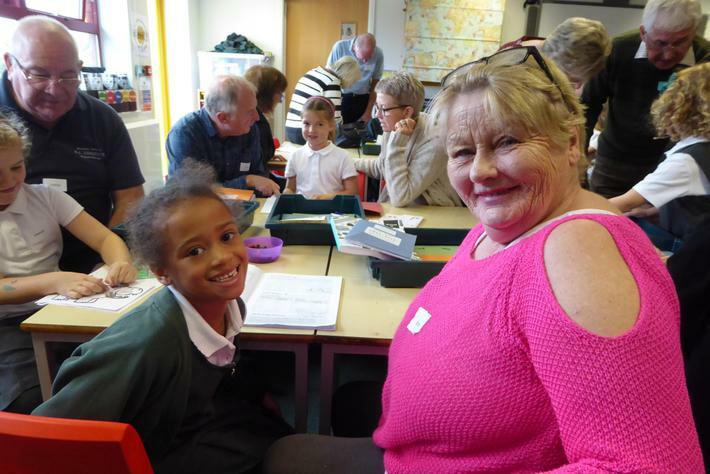 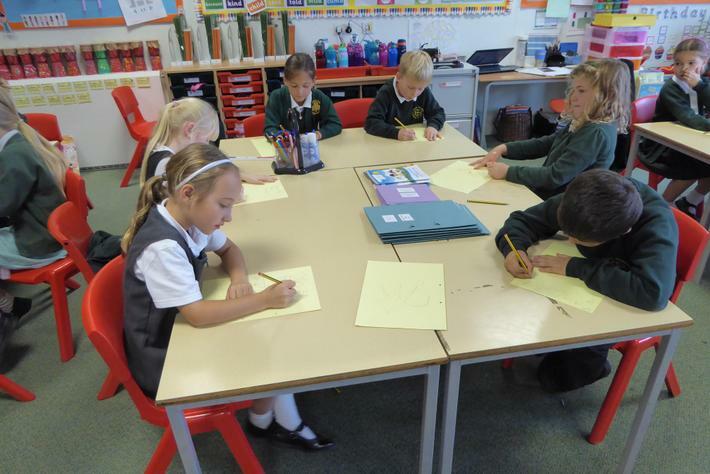 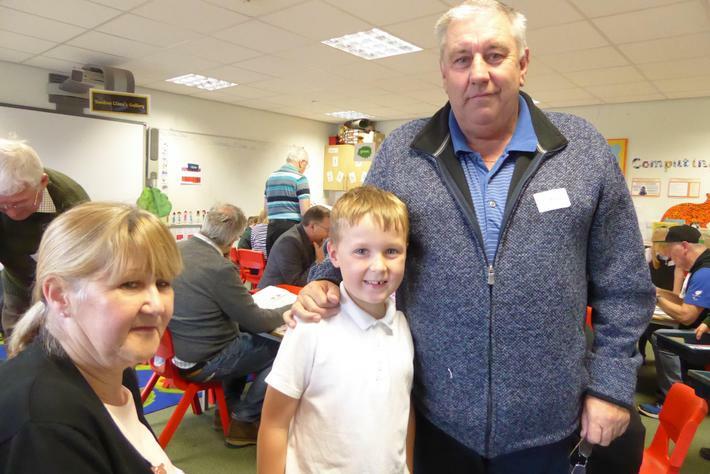 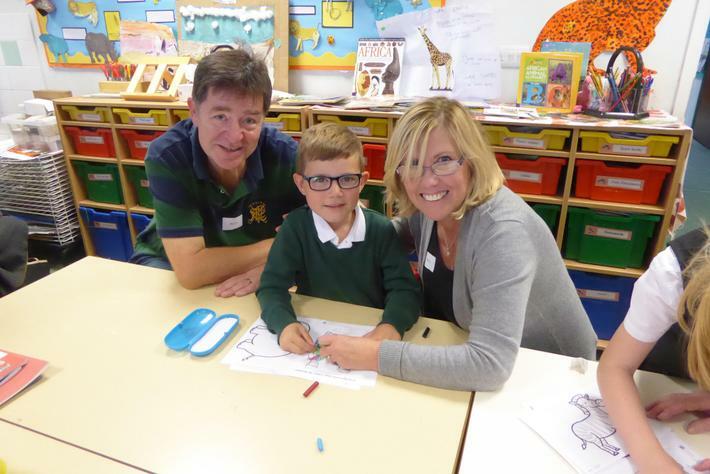 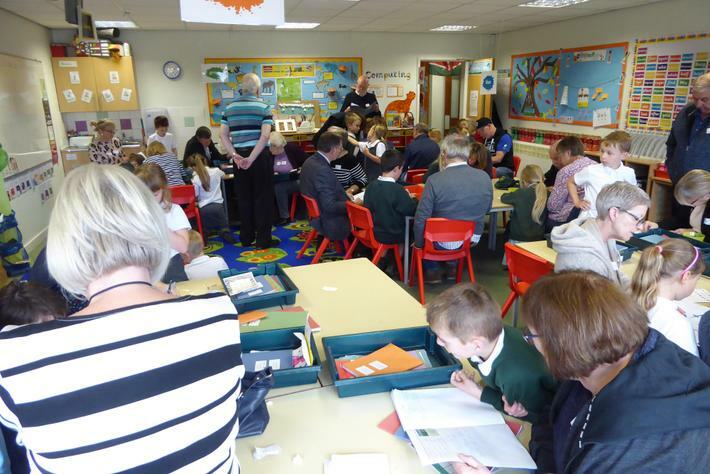 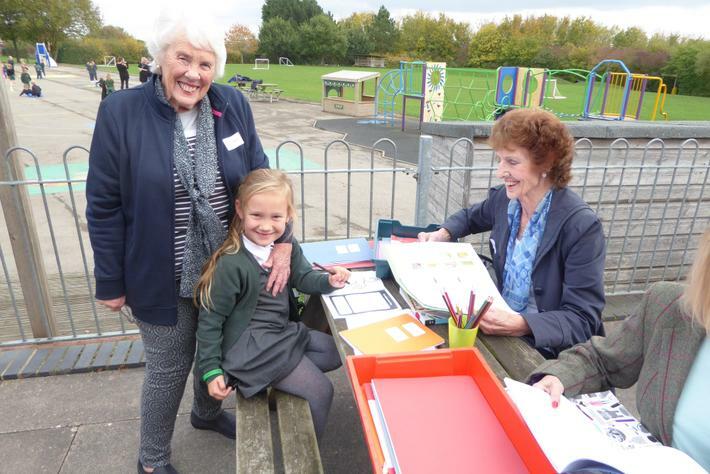 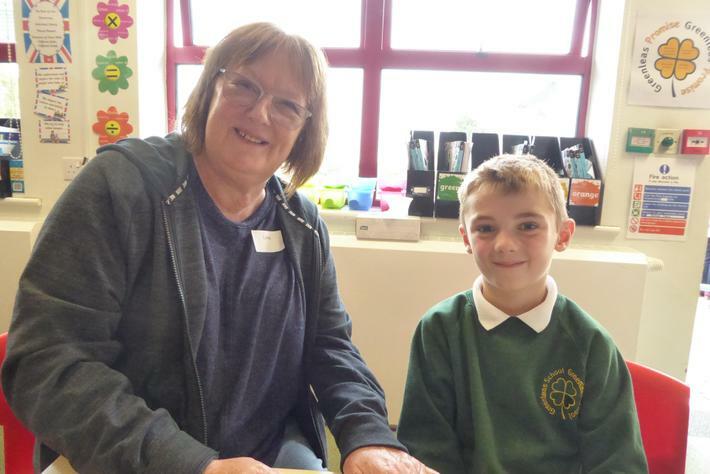 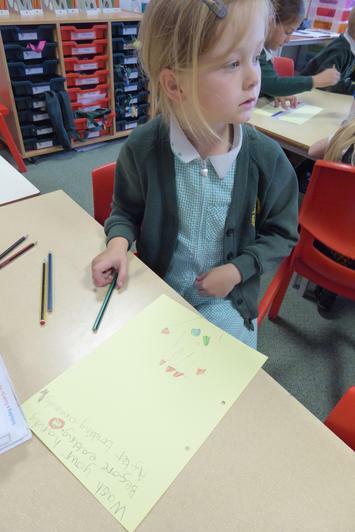 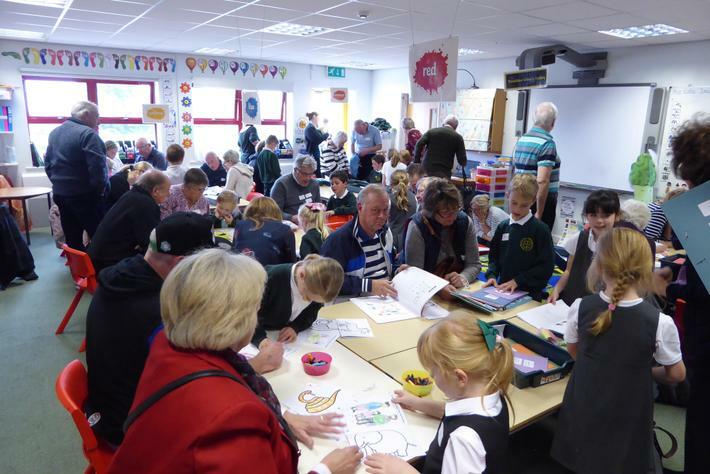 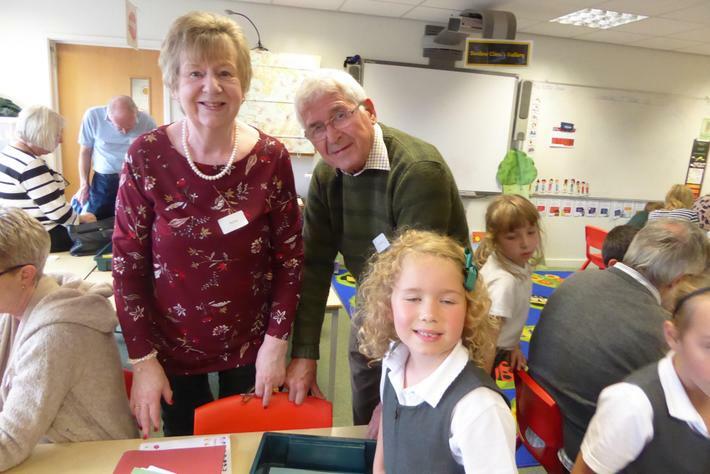 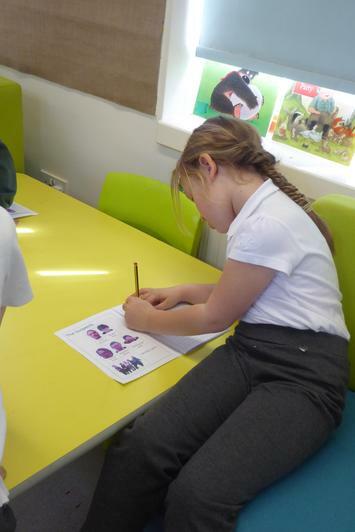 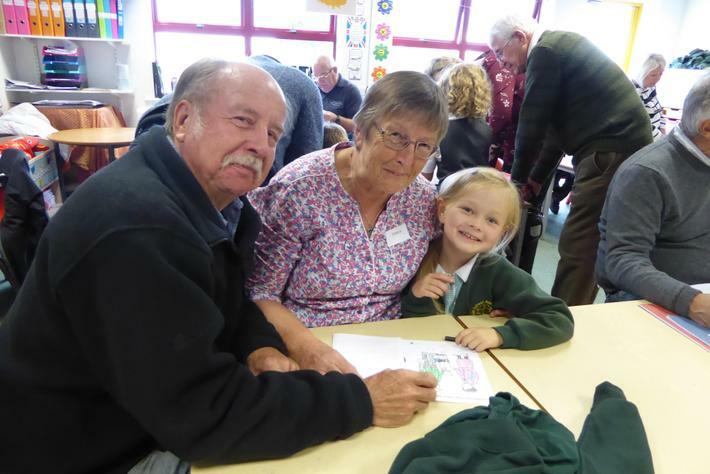 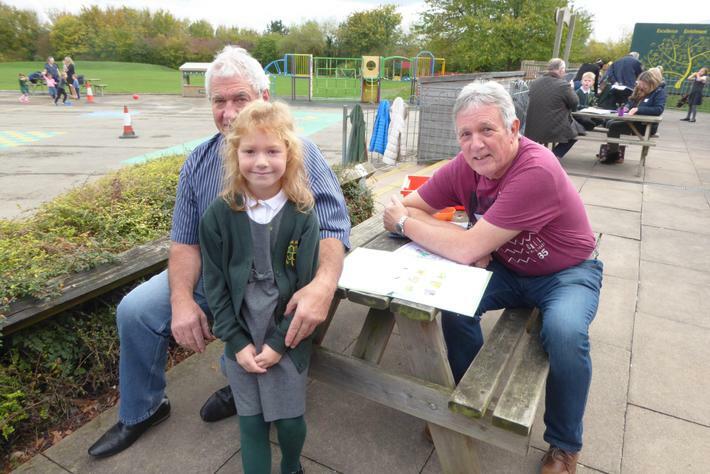 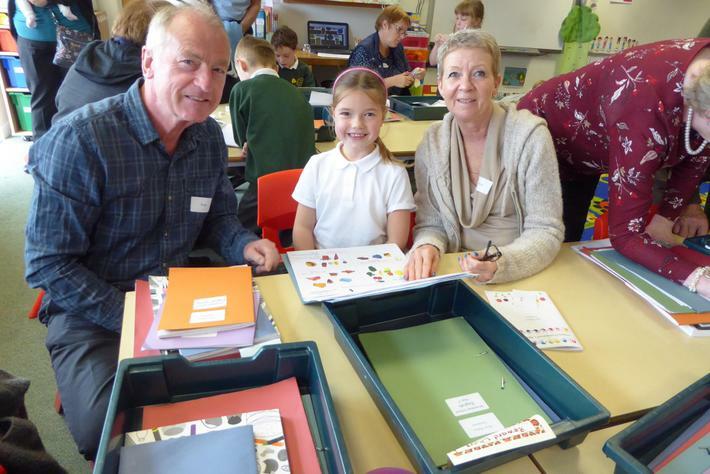 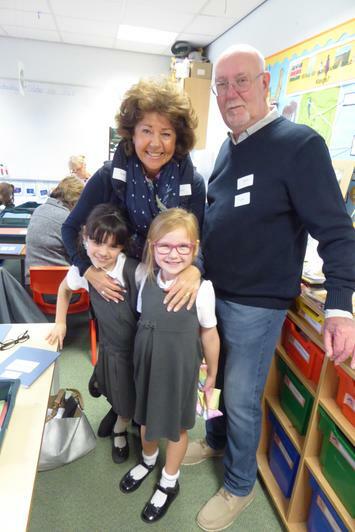 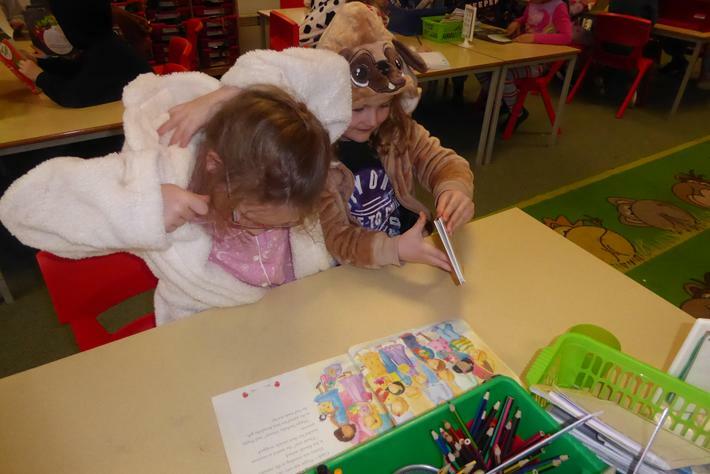 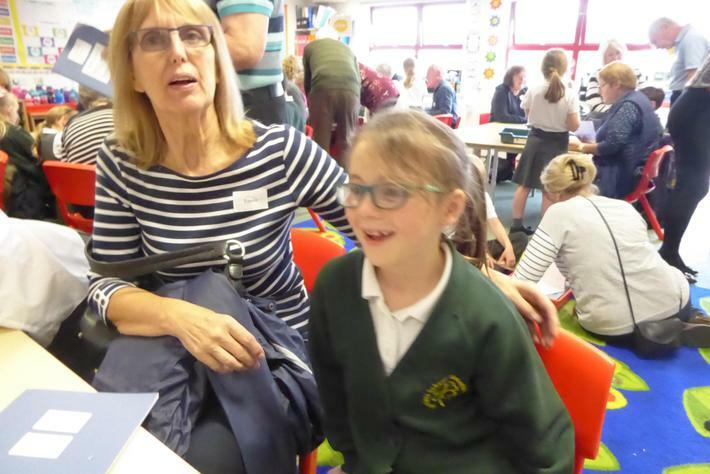 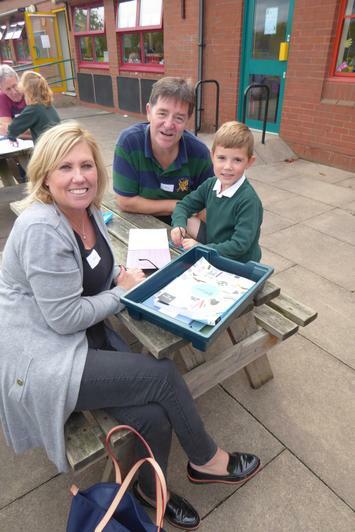 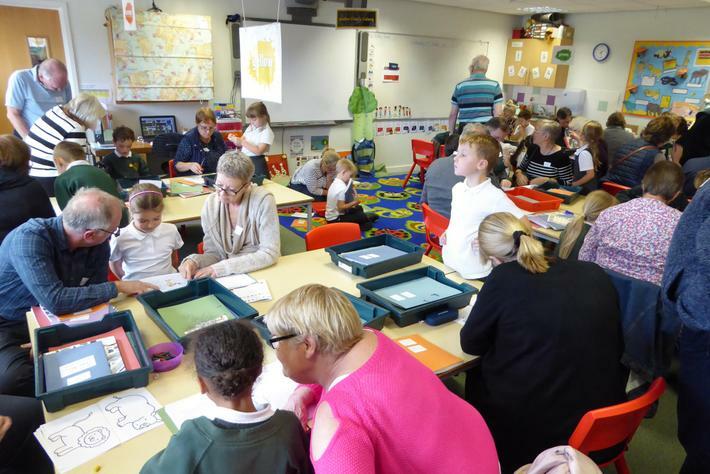 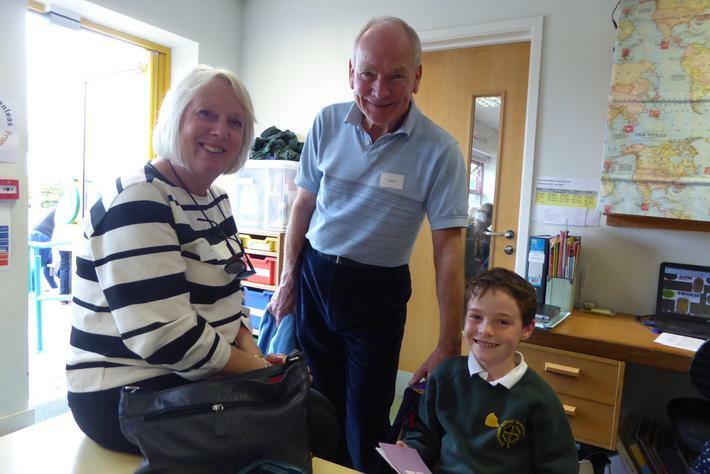 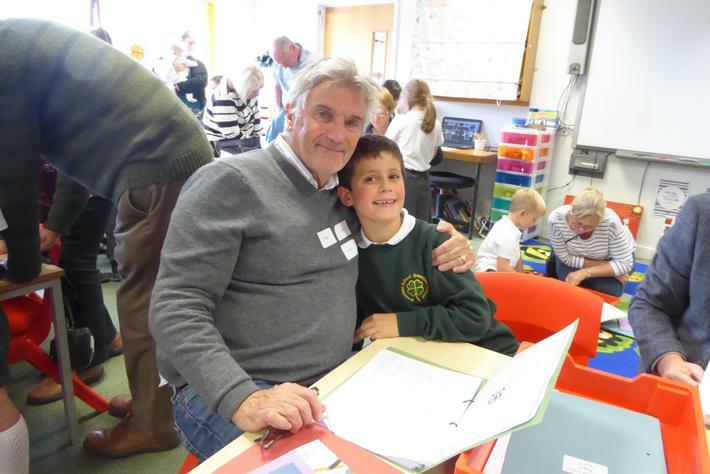 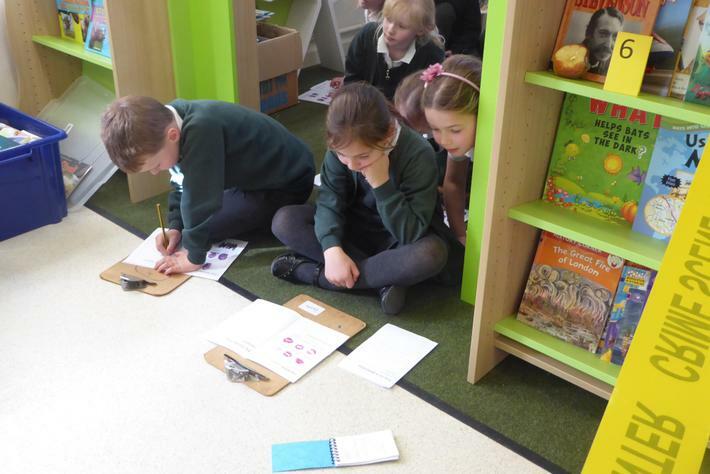 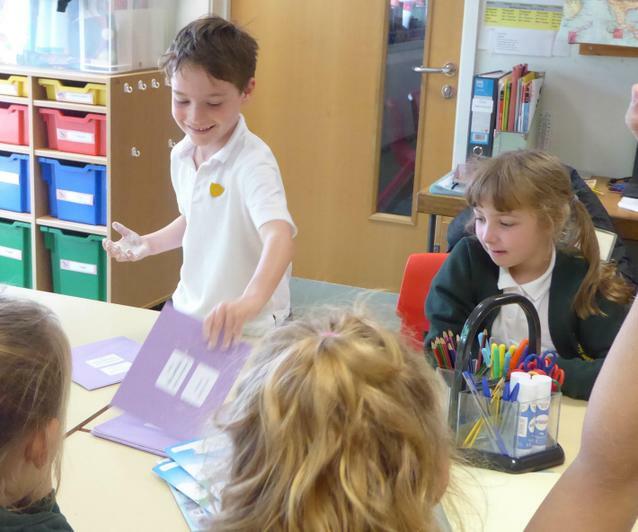 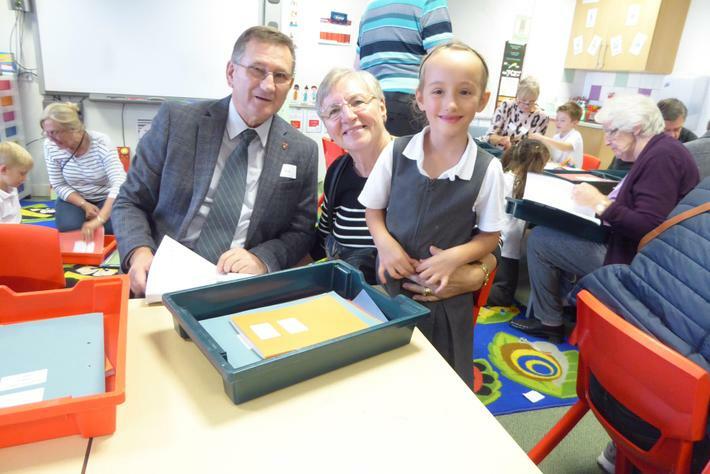 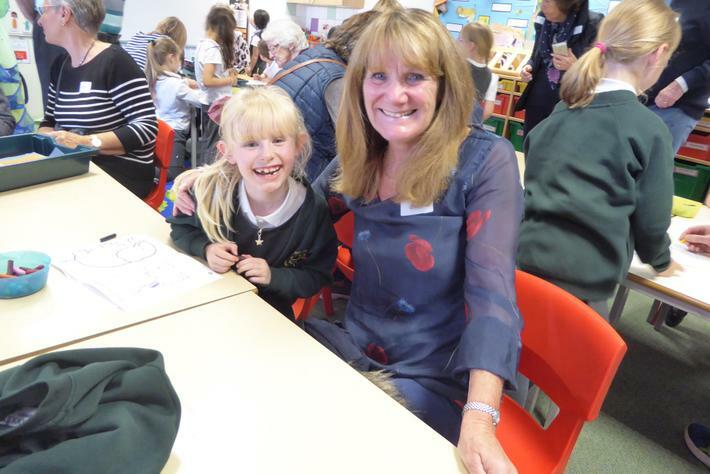 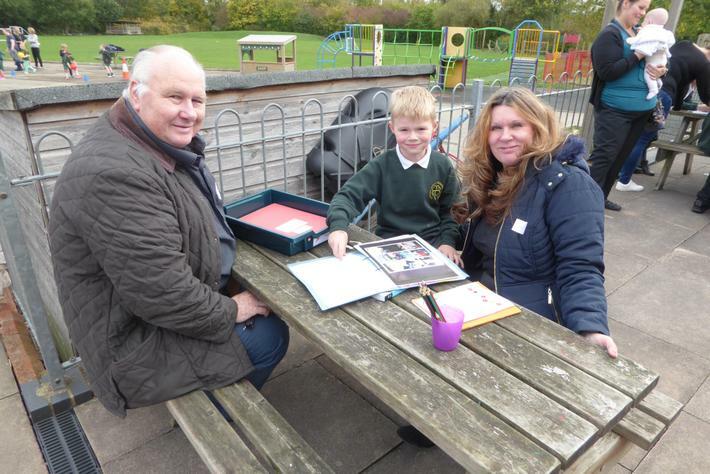 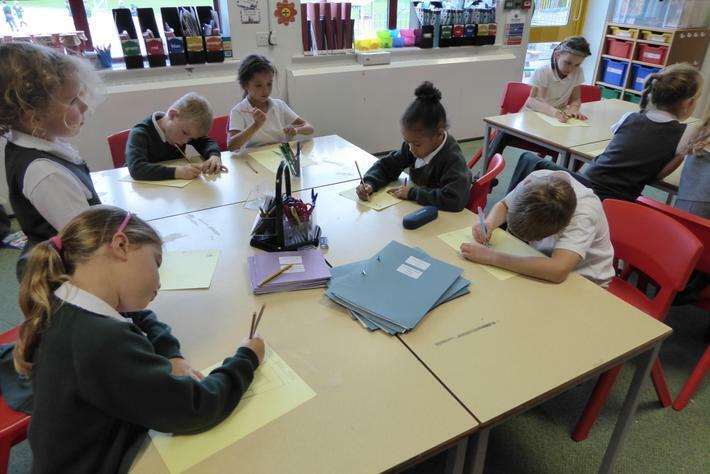 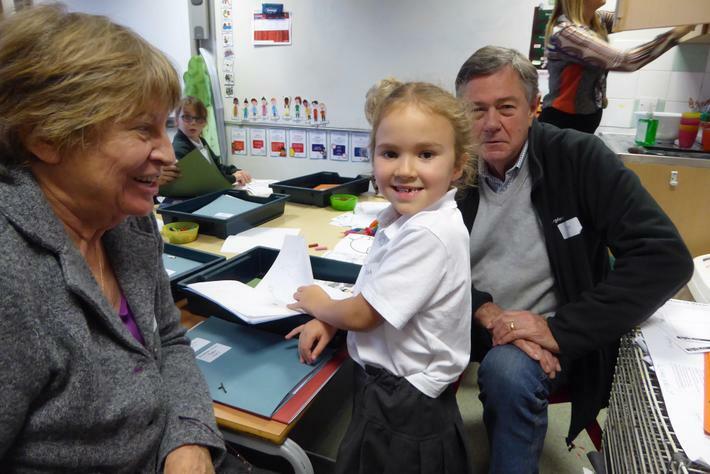 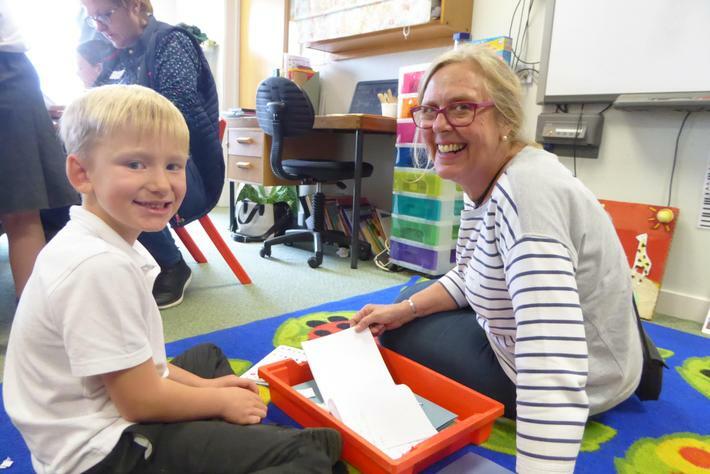 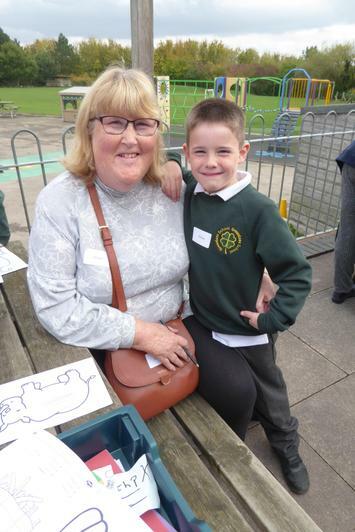 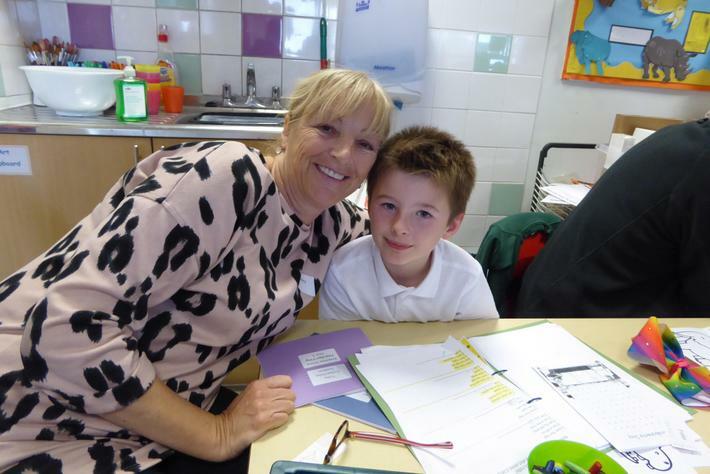 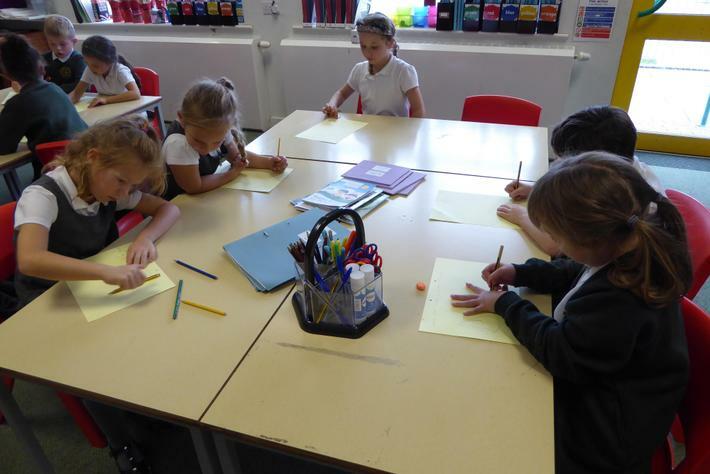 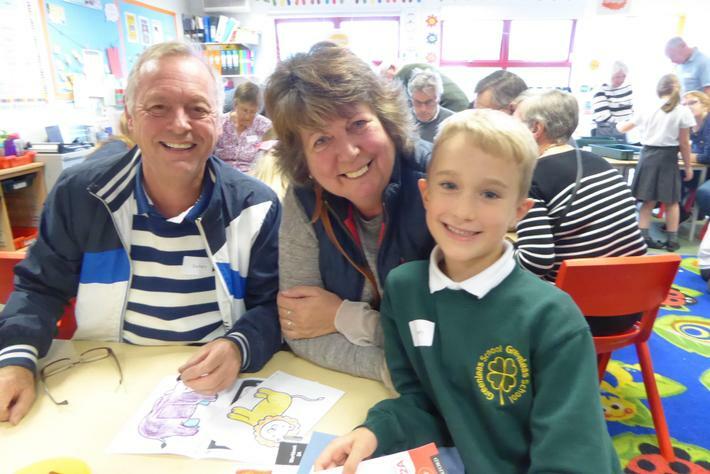 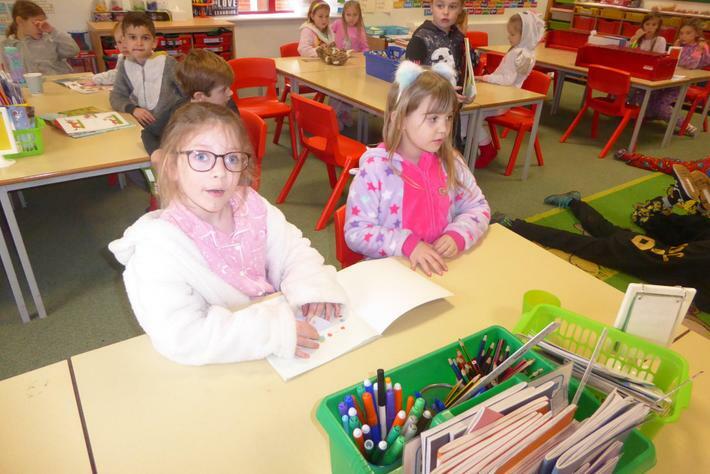 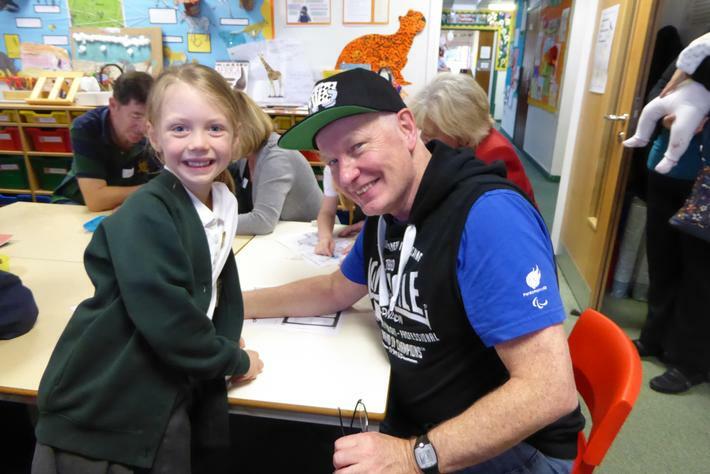 Swallows Class really enjoyed having their grandparents in the classroom. 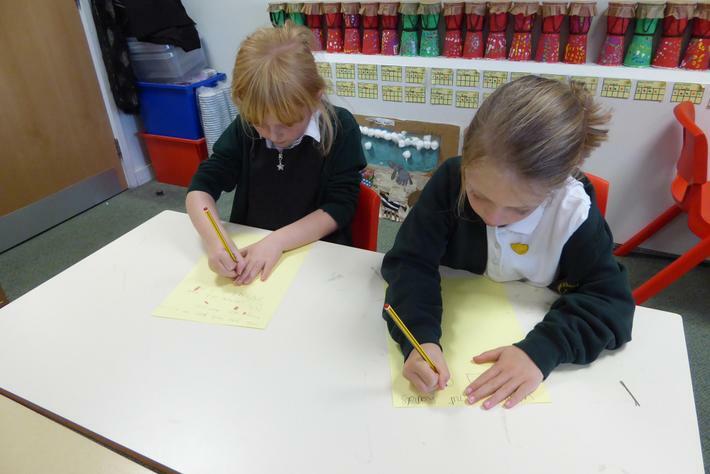 They shared all their work and did some activities together. 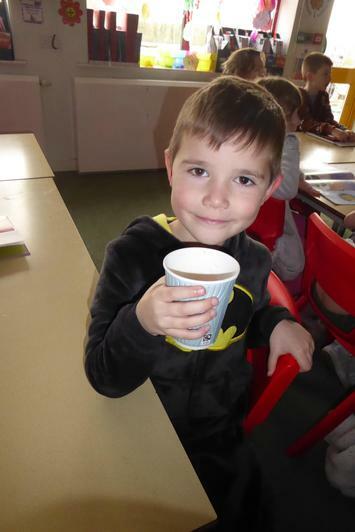 To finish the afternoon, grandparents were treated to a cup of tea, a biscuit and some songs performed to them by the children. 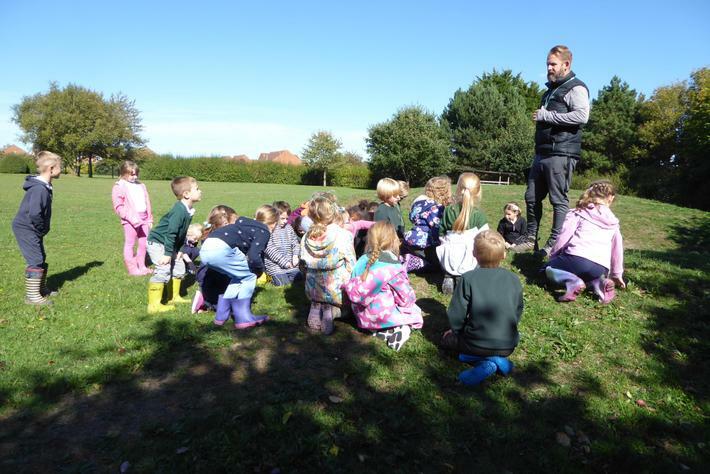 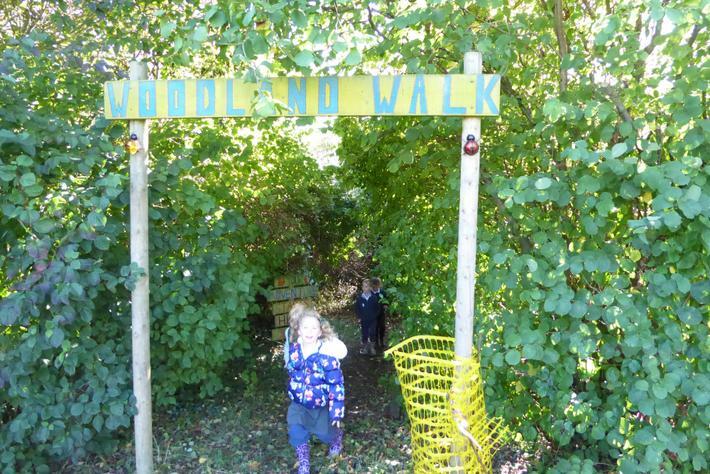 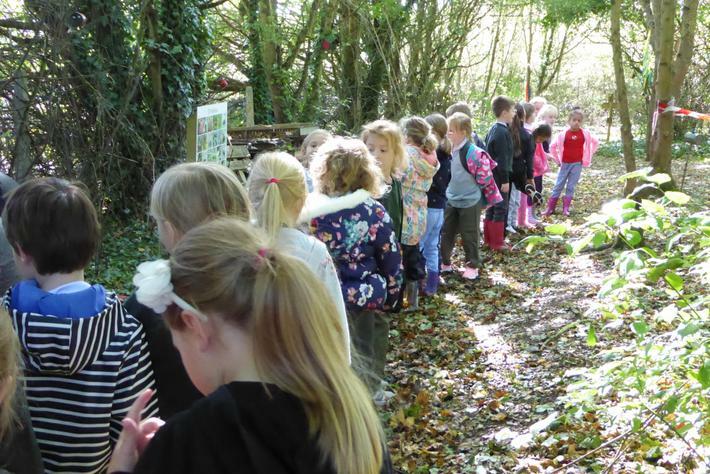 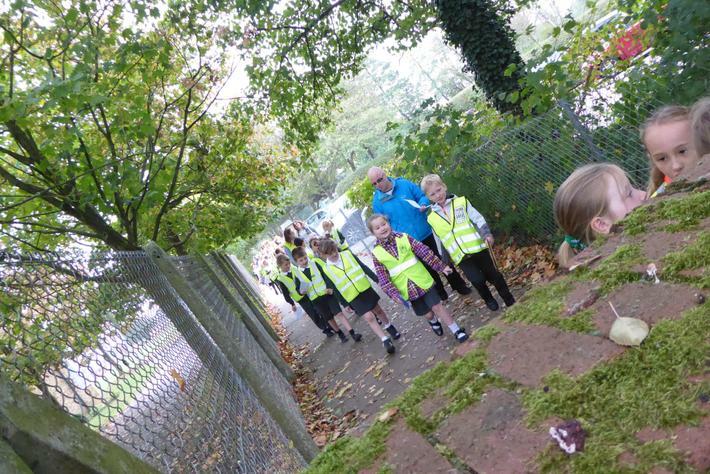 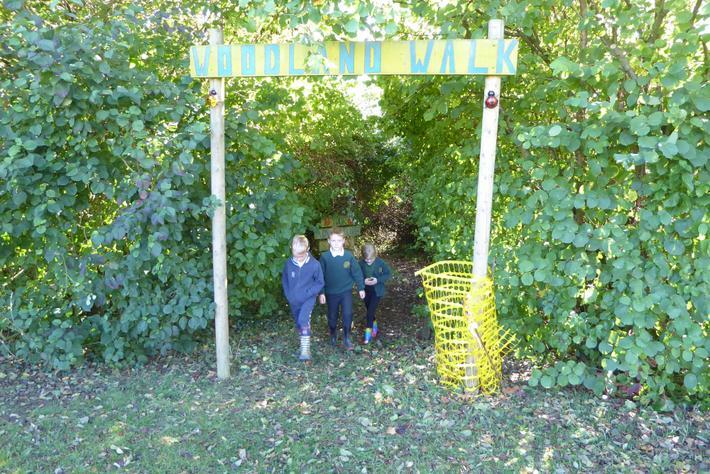 We had a really exciting time in the Forest School learning all about what things we can find in our School grounds. 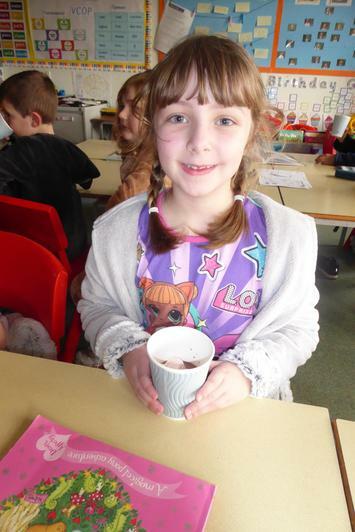 We spoke about Forest School safety and then got to make a bangle which we had to stick things we could find on to. 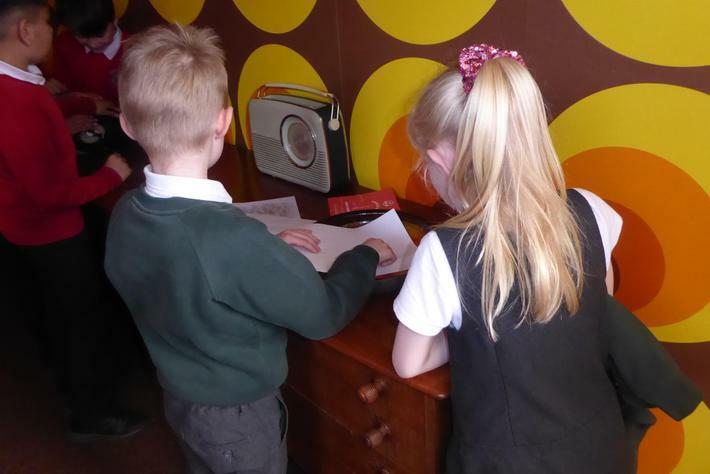 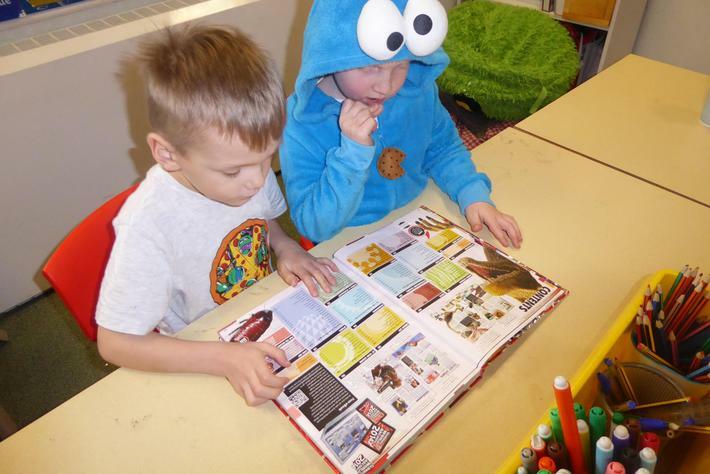 We looked for objects that we different colours, different textures and had different patterns on. 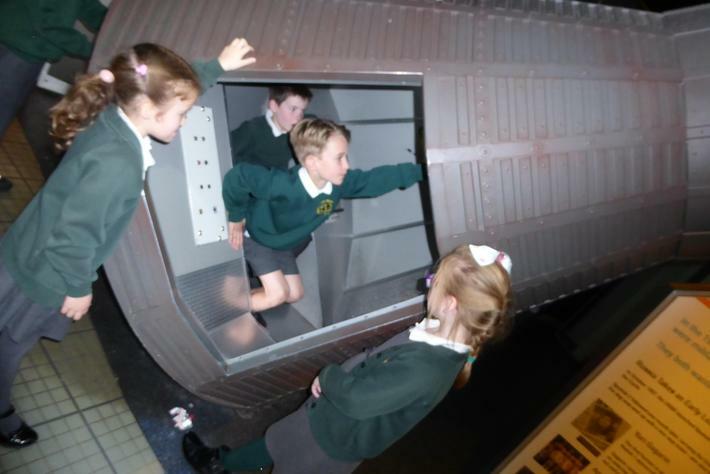 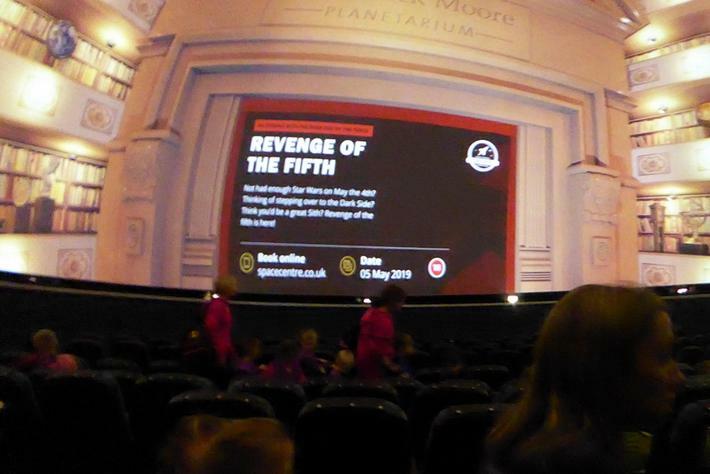 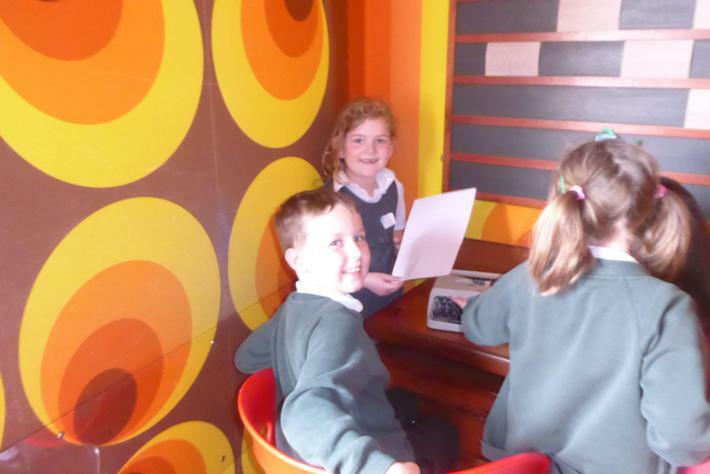 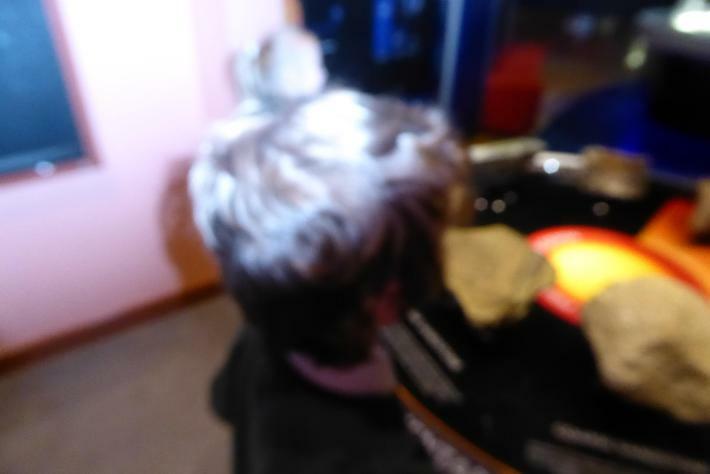 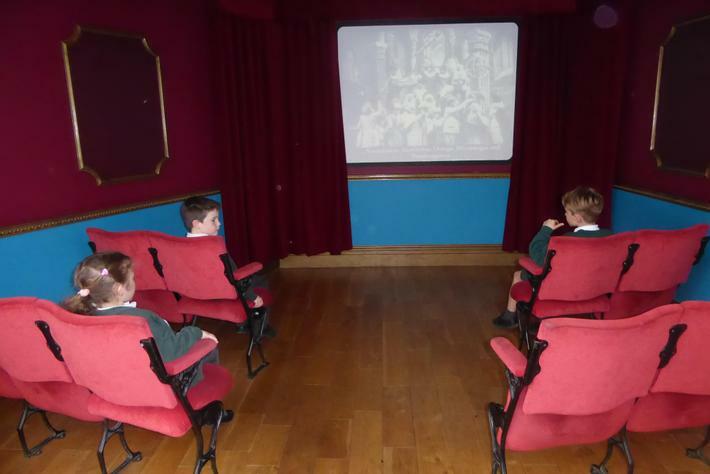 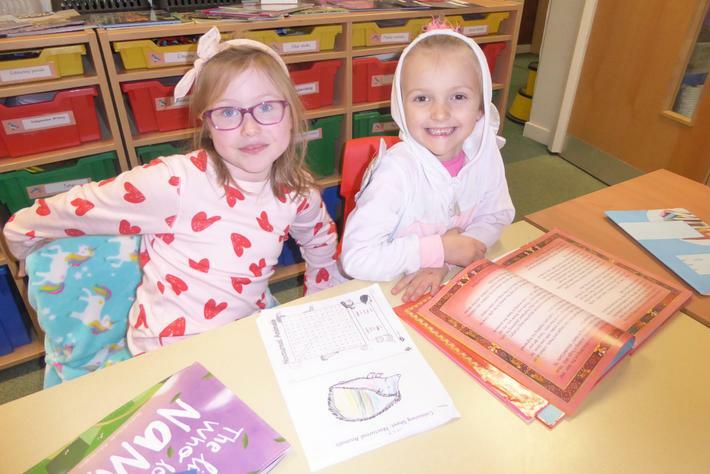 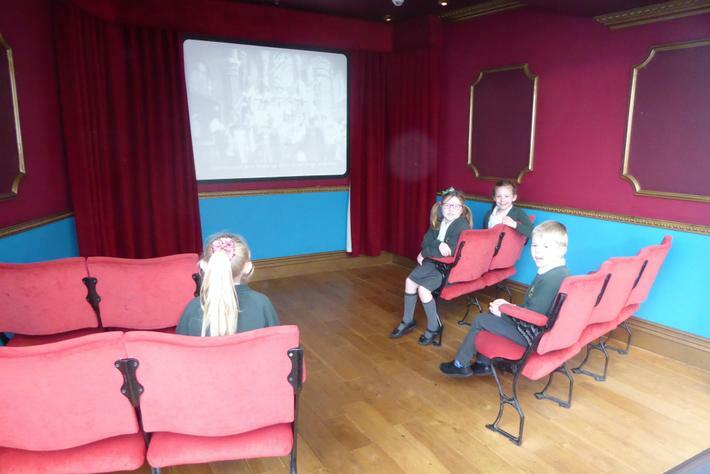 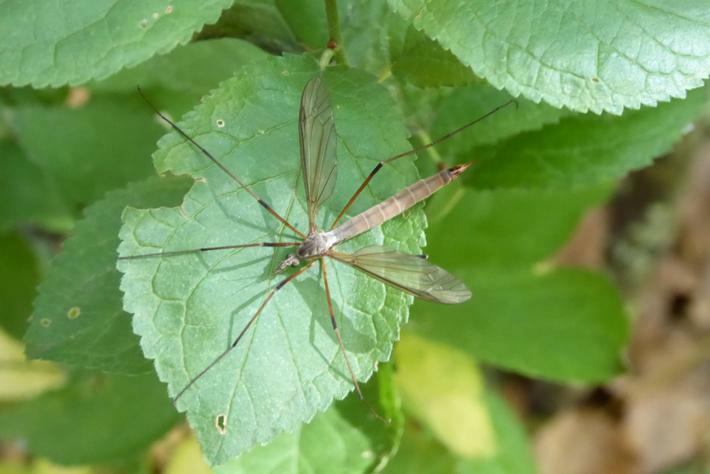 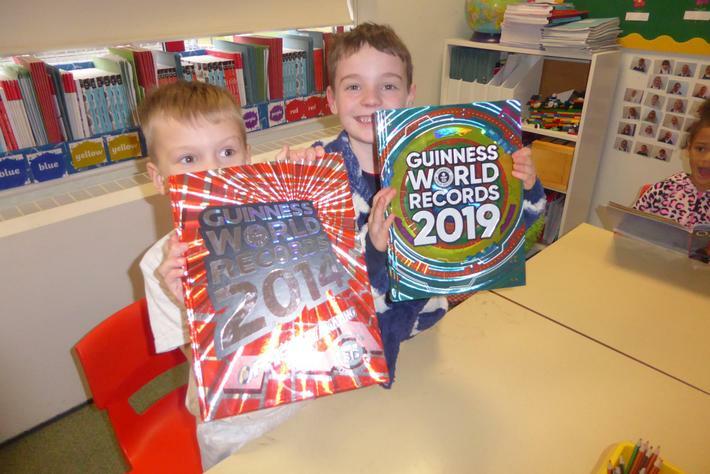 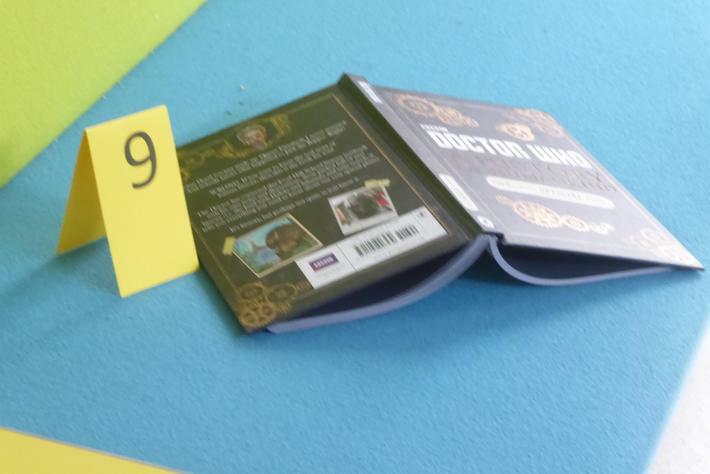 Look at our exciting photos below to see what we got up to. 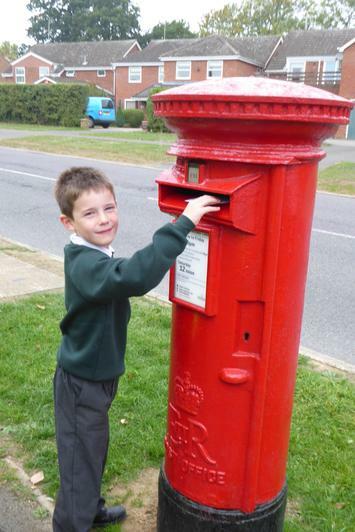 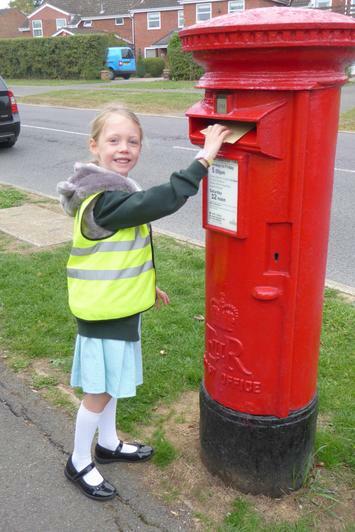 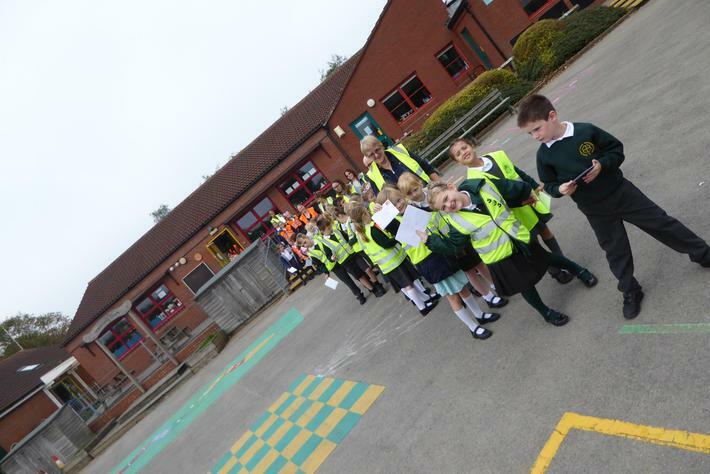 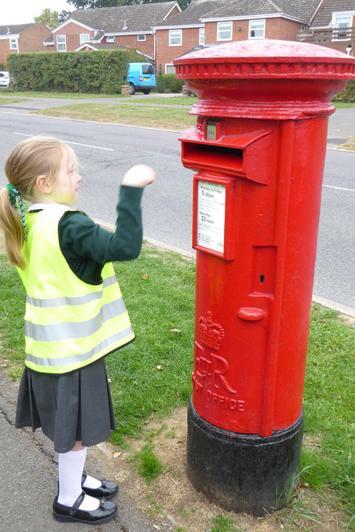 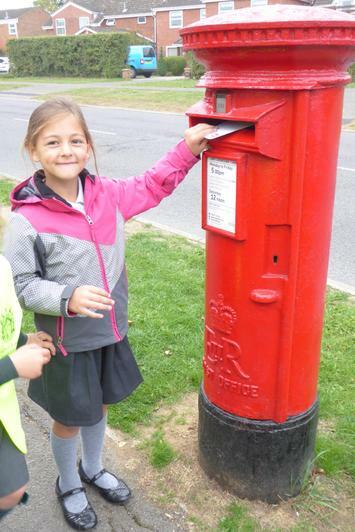 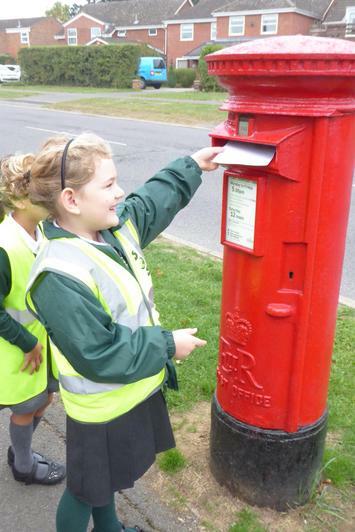 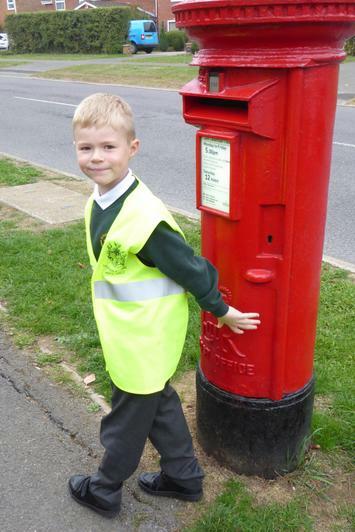 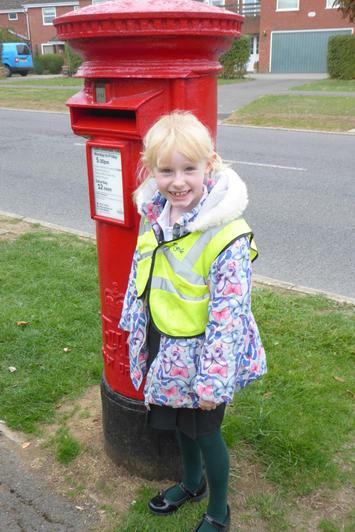 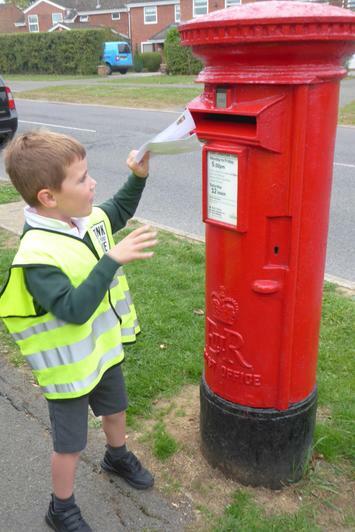 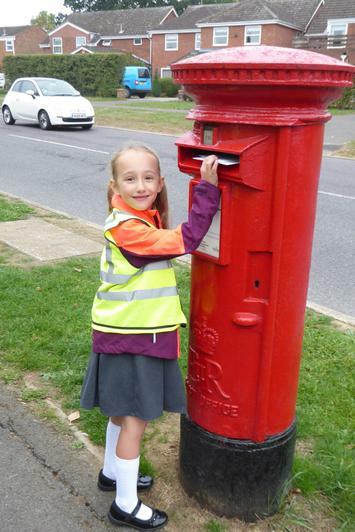 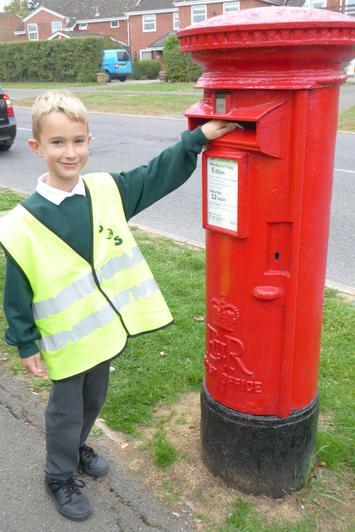 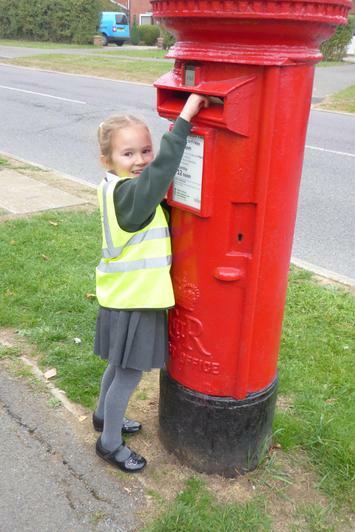 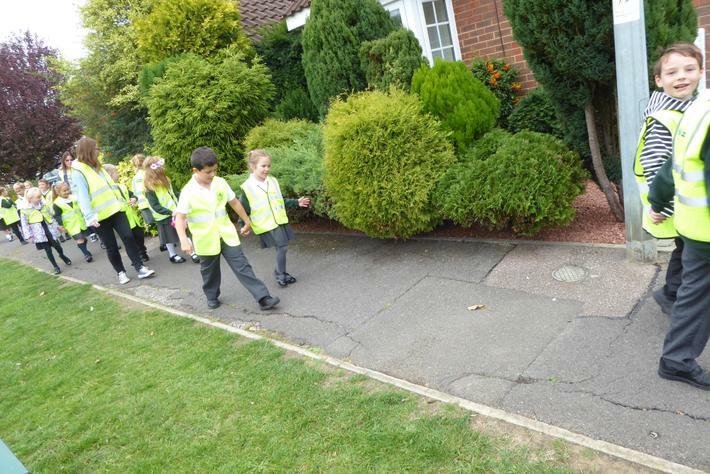 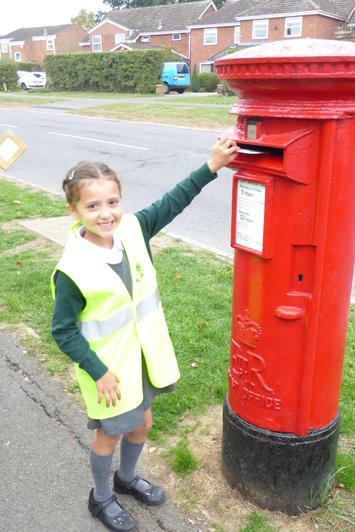 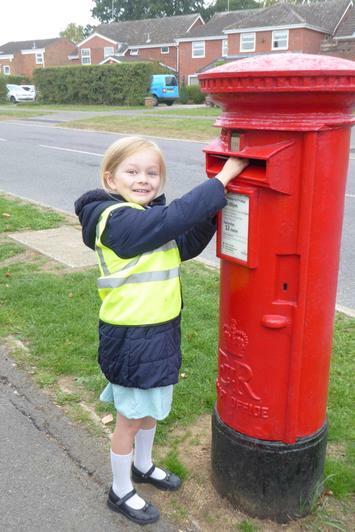 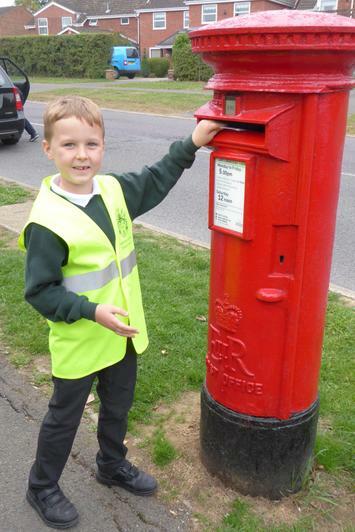 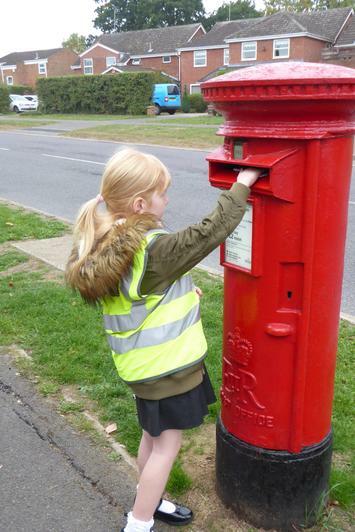 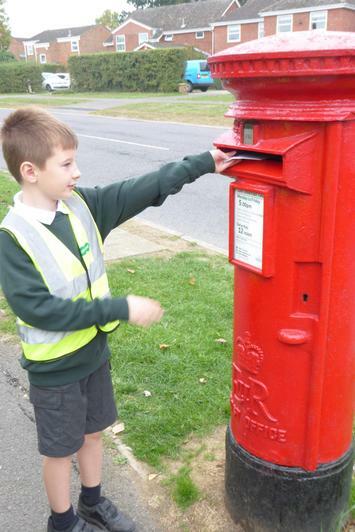 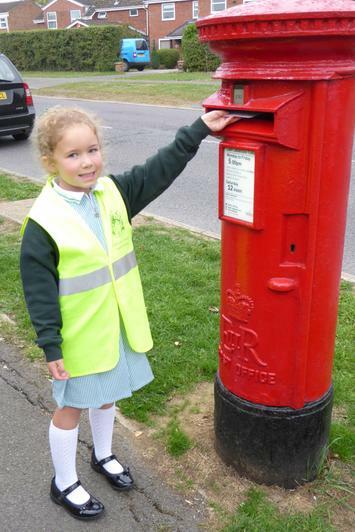 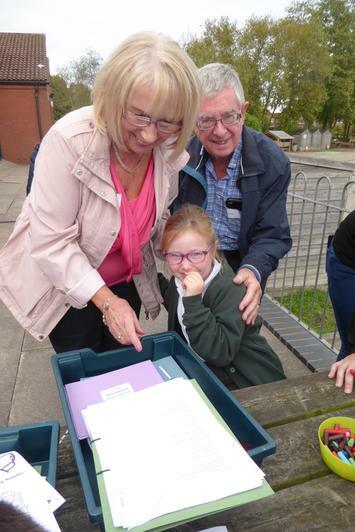 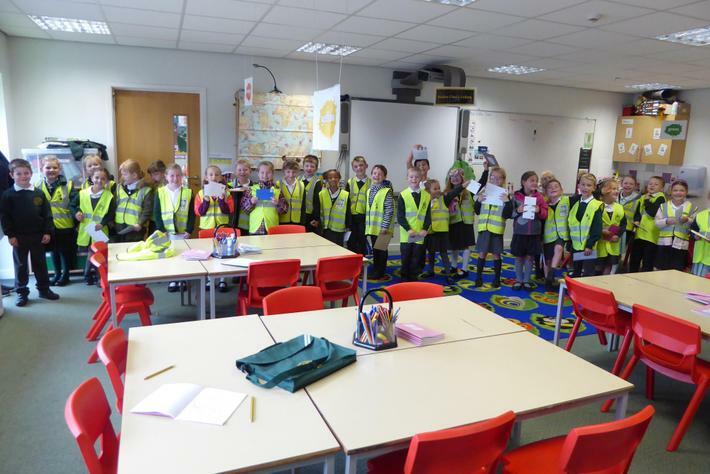 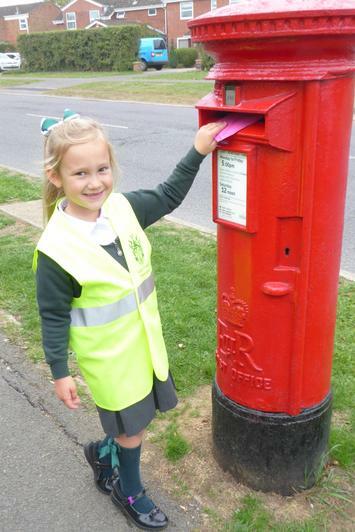 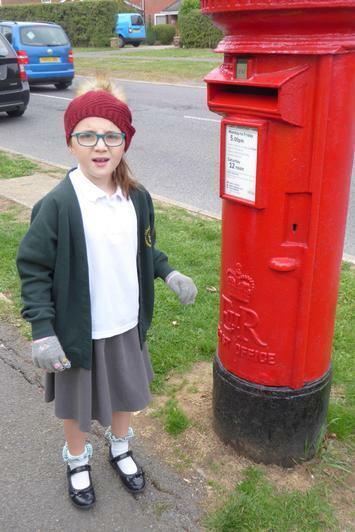 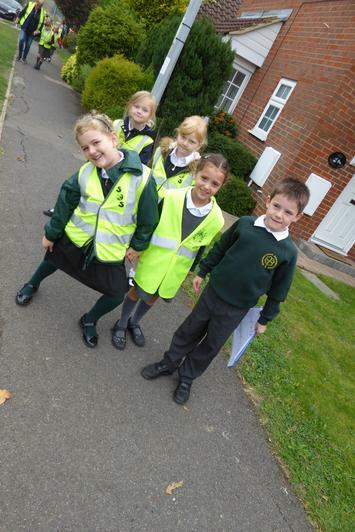 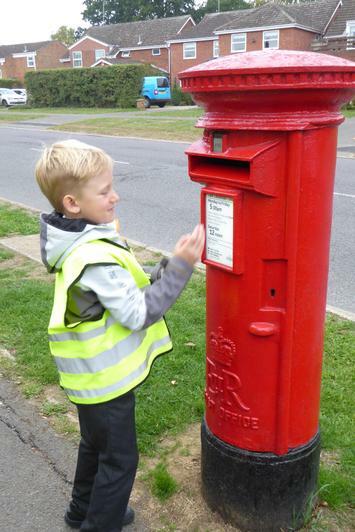 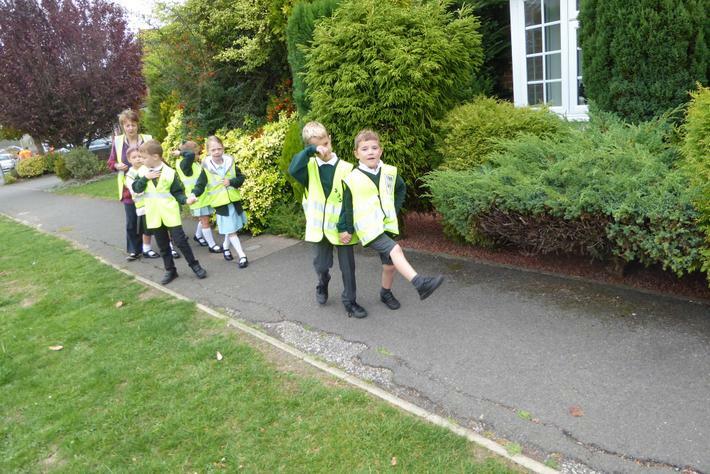 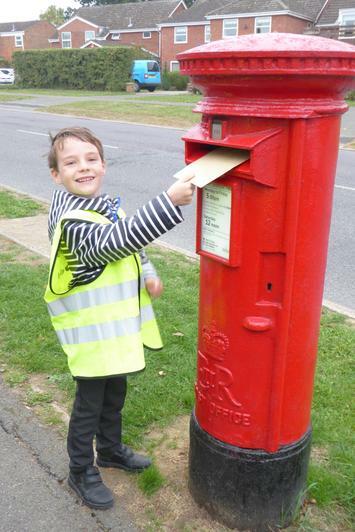 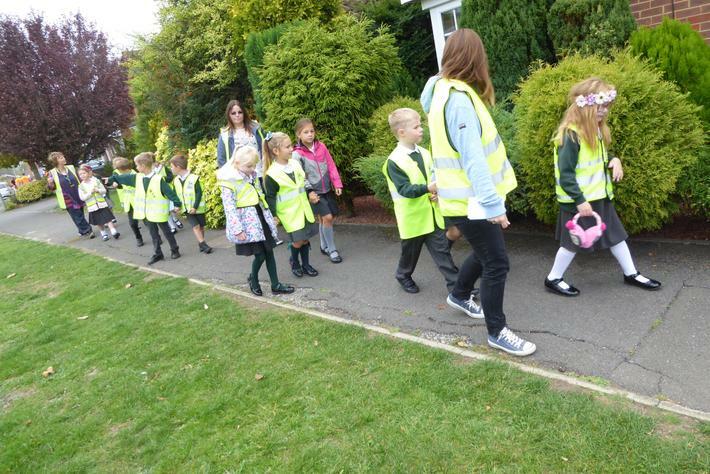 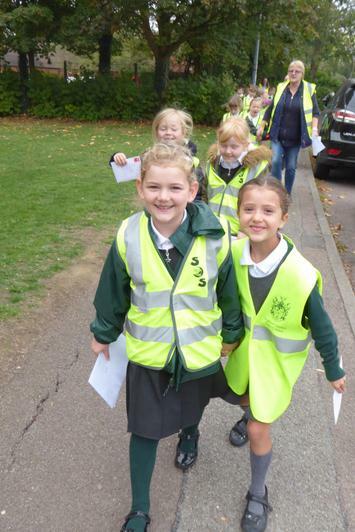 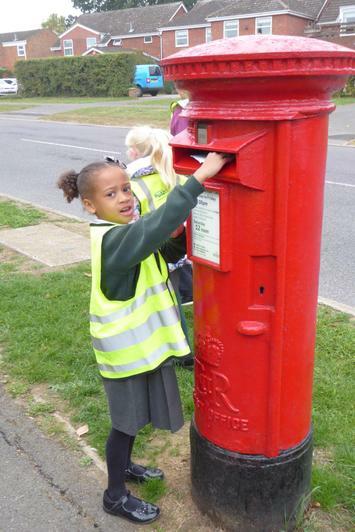 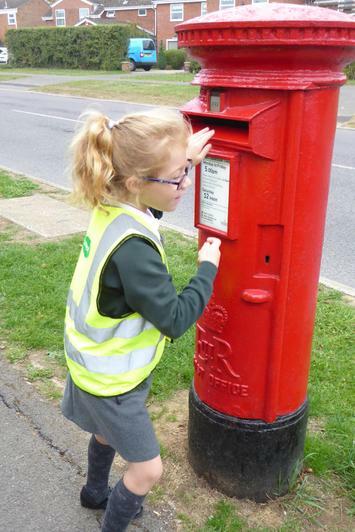 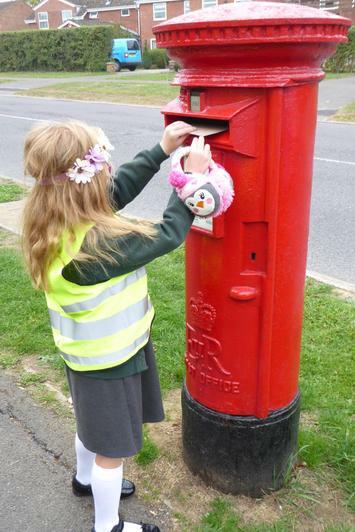 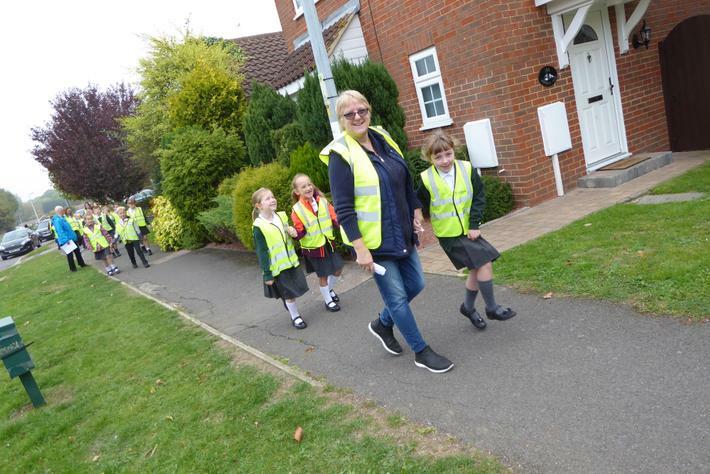 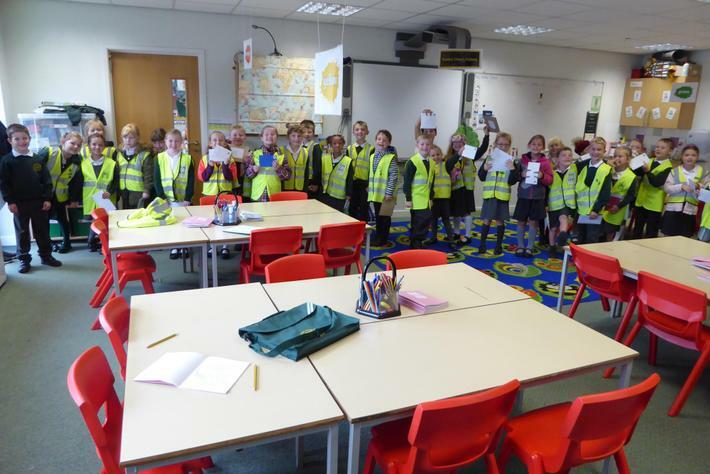 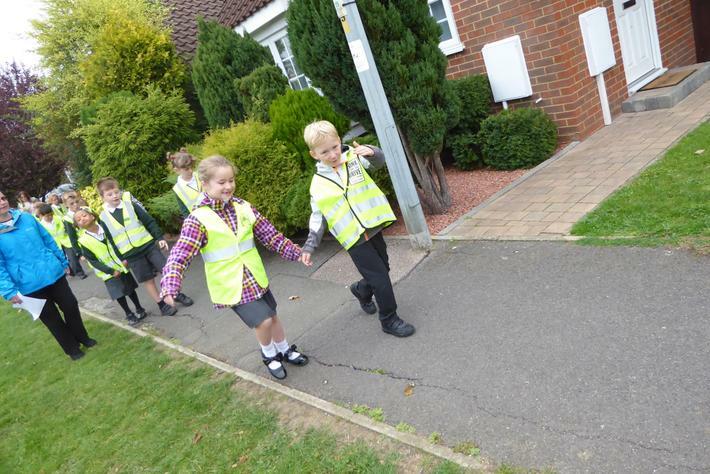 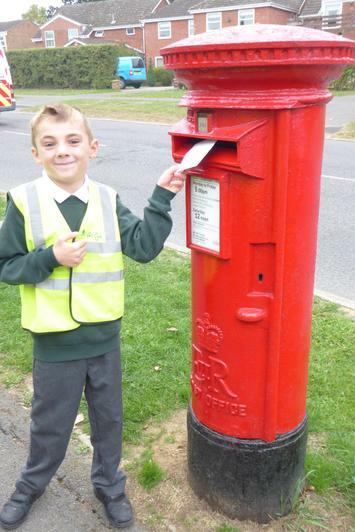 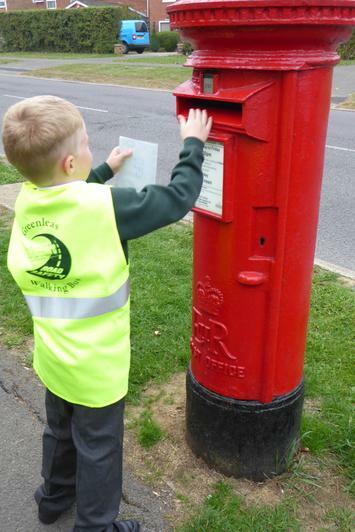 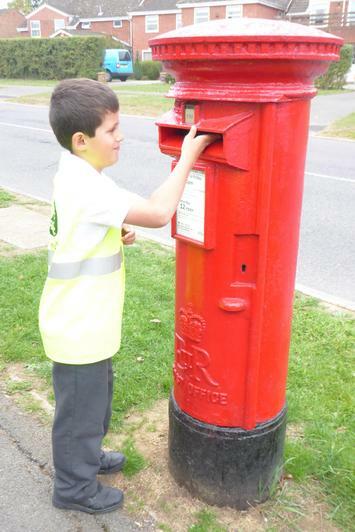 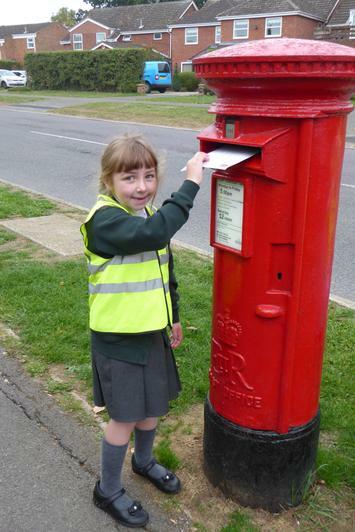 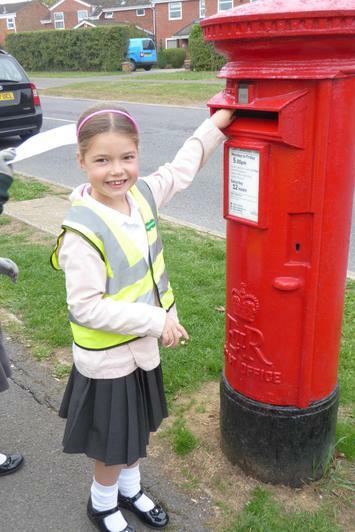 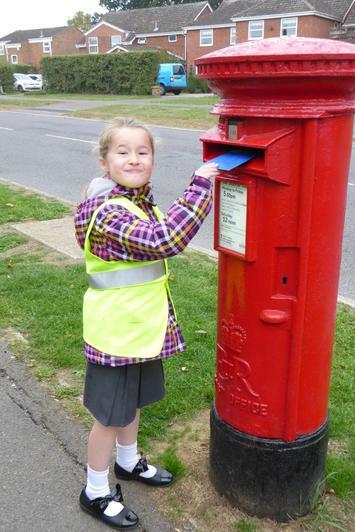 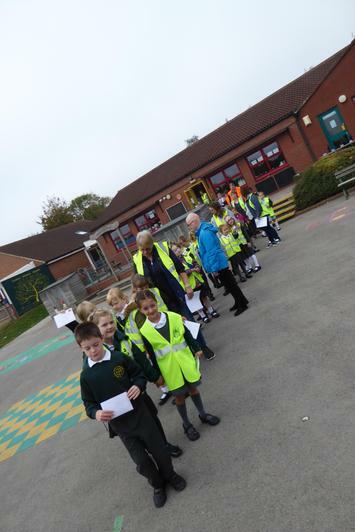 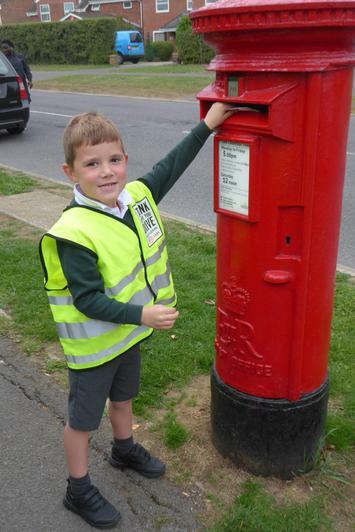 We had great fun on Friday walking to the postbox to post our Grandparent's Invitations. 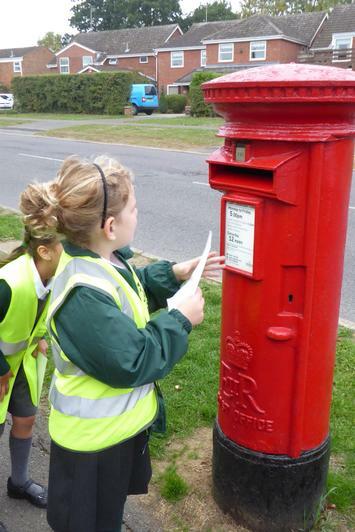 We made sure that we had a stamp on our letters otherwise the Postman wouldn't collect our letter. 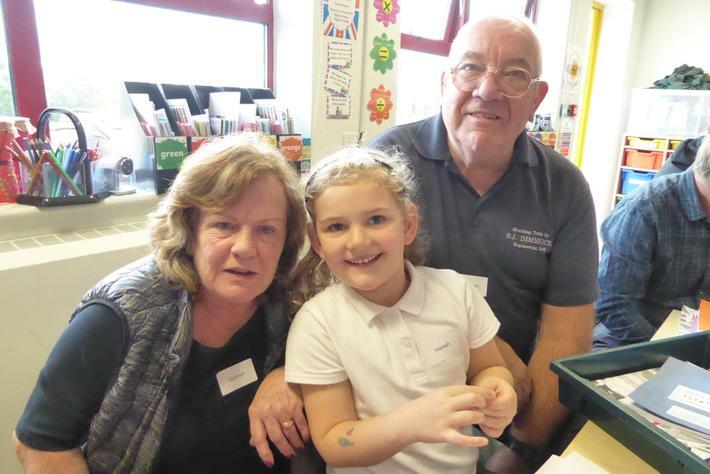 We are very excited to welcome our Grandparents into School on Wednesday 17th October at 2pm to look around our School and see what we get up to. 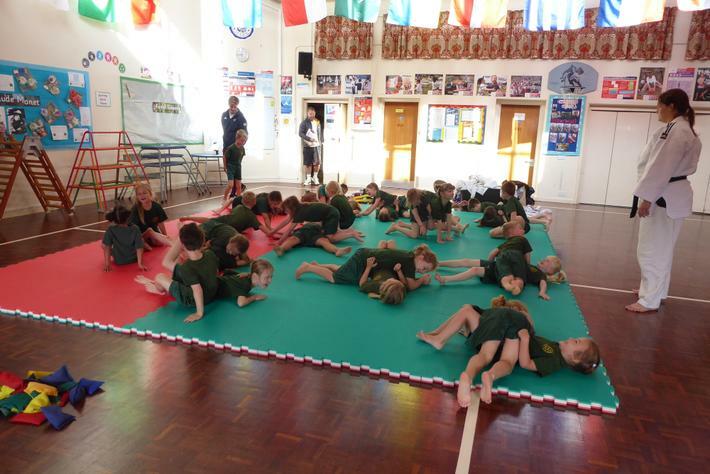 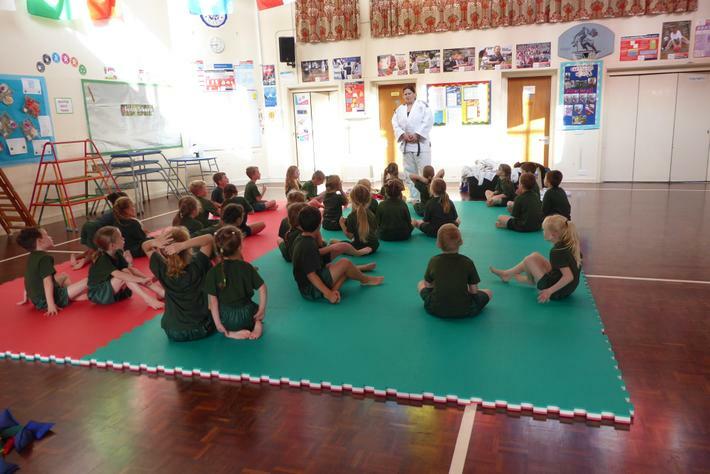 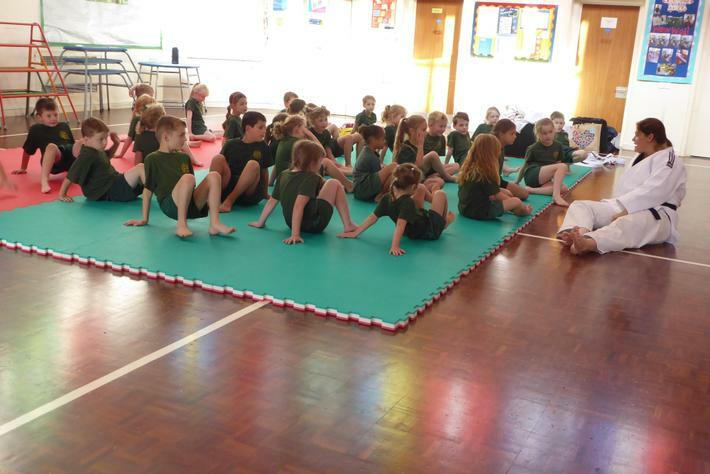 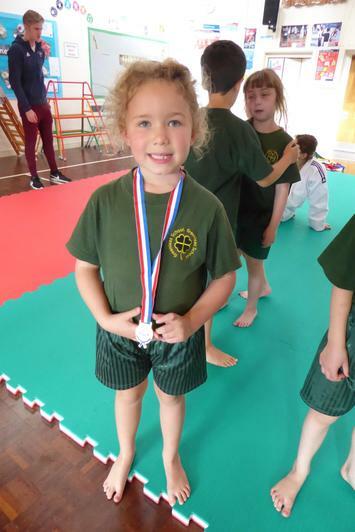 Swallow Class were very excited to take part in a judo taster session. 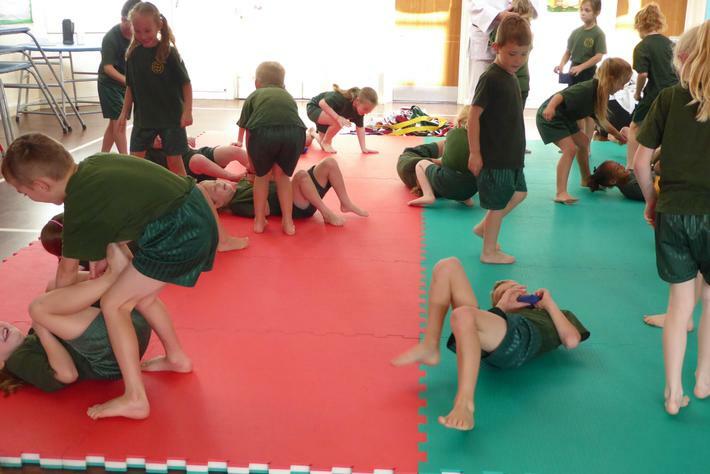 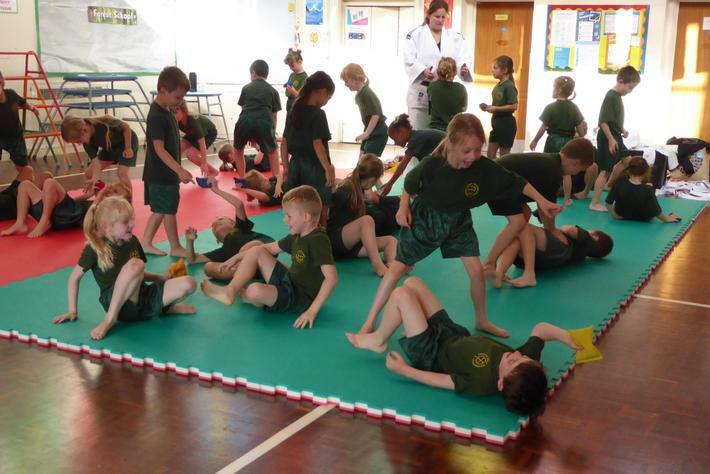 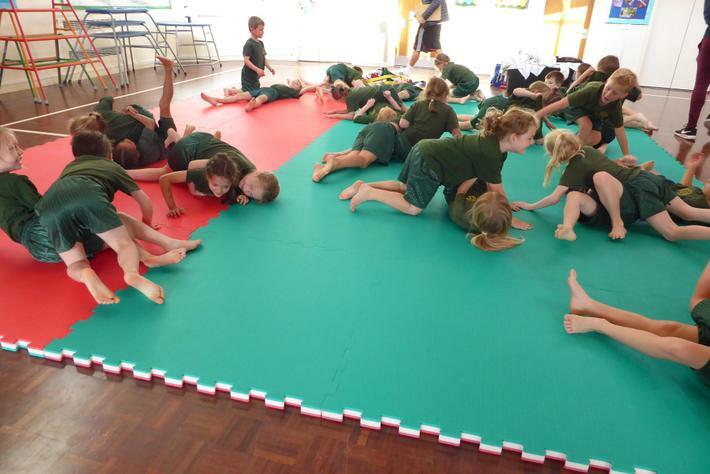 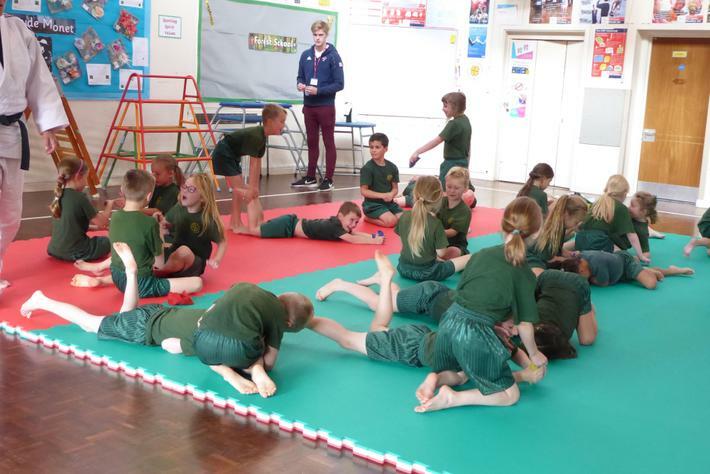 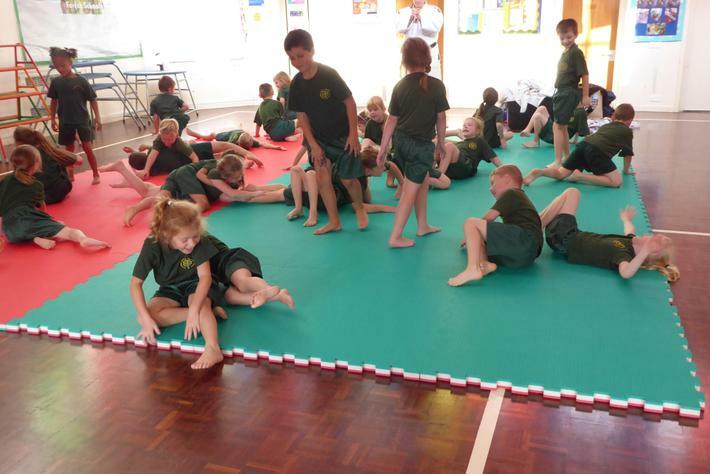 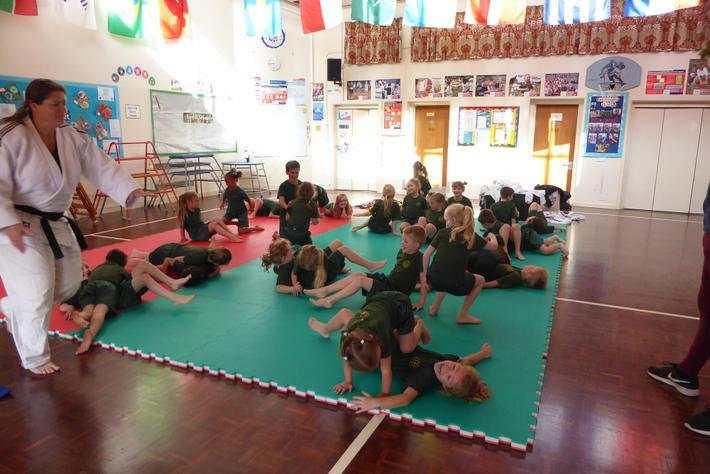 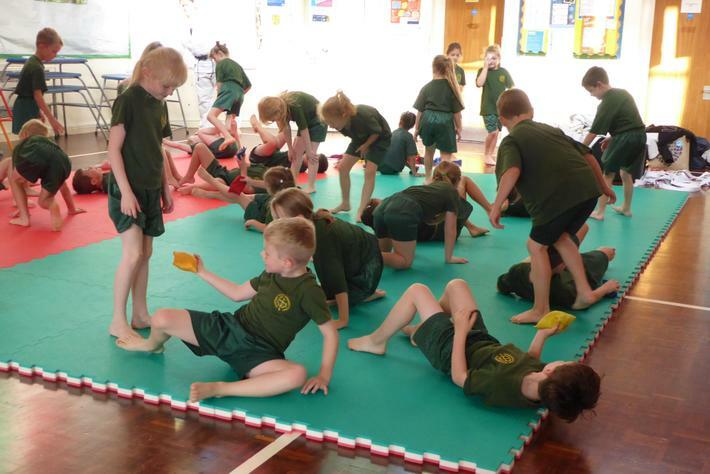 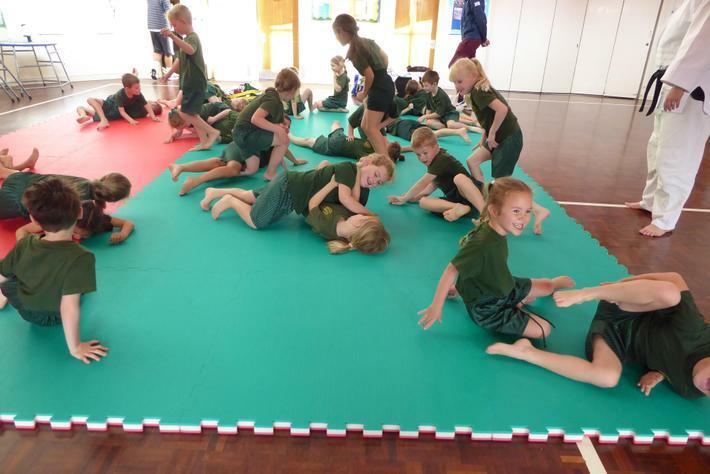 The children had lots of fun trying out some judo moves. 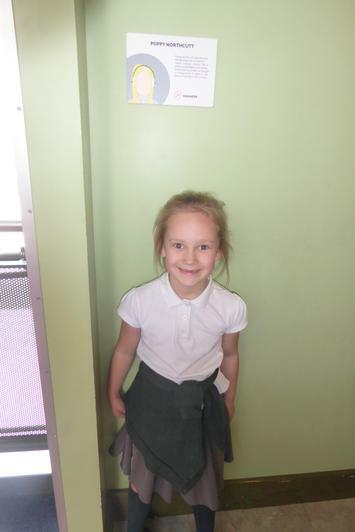 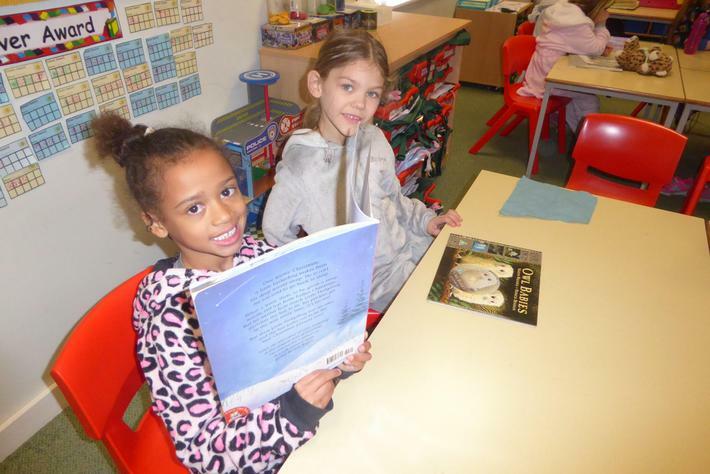 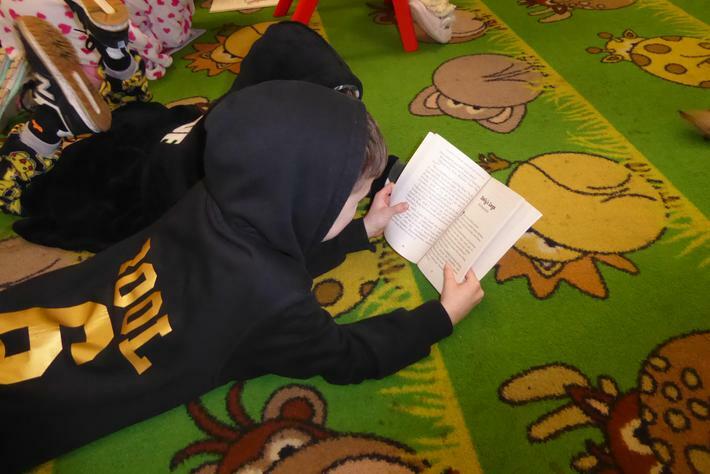 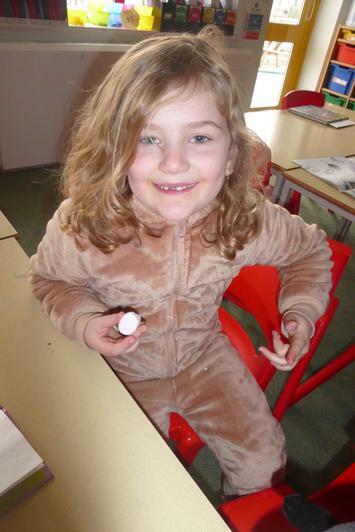 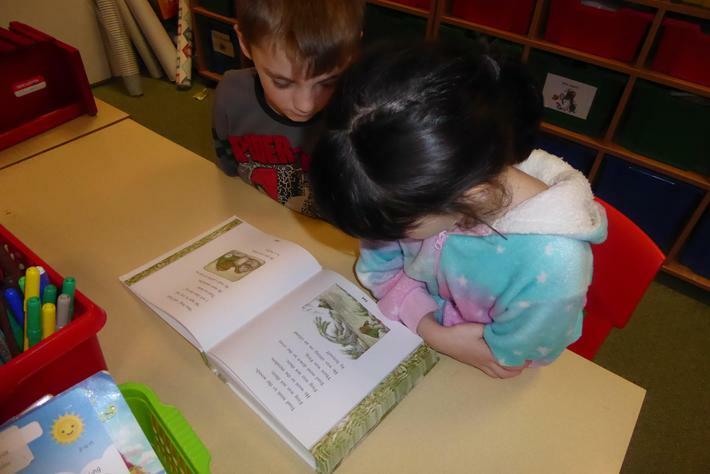 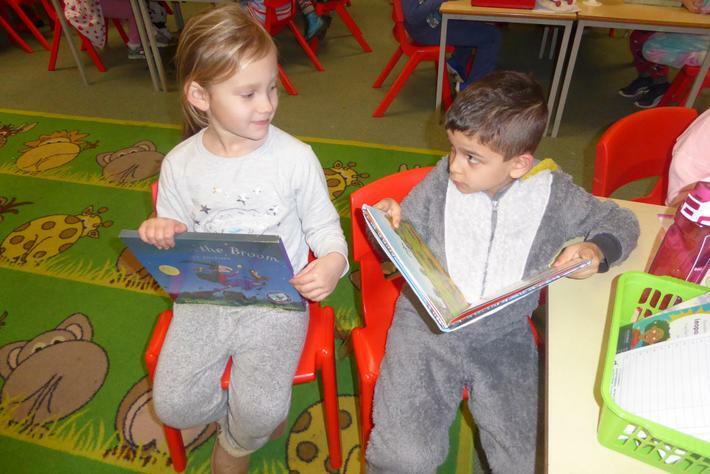 Take a look at photos to see the children in action!